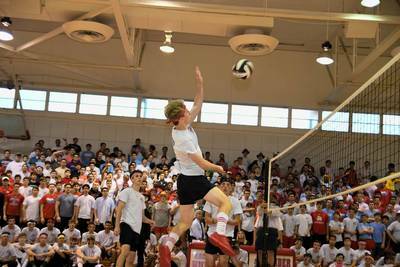 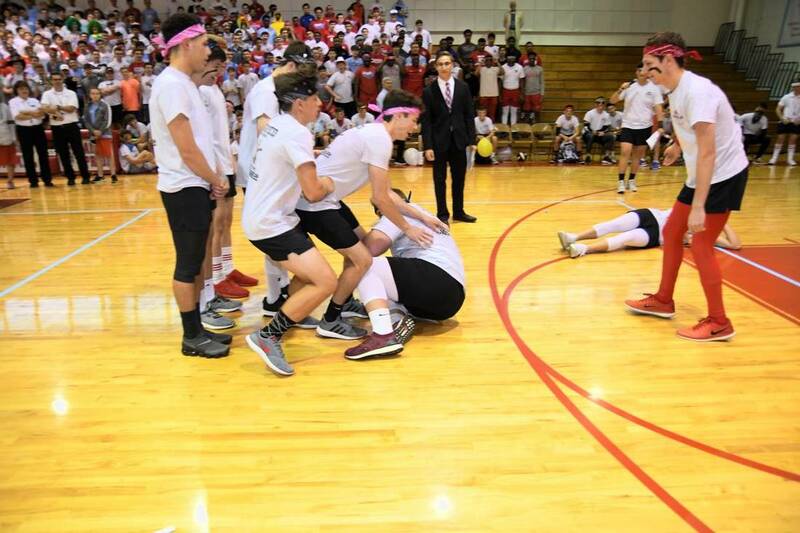 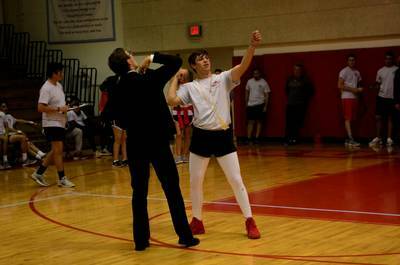 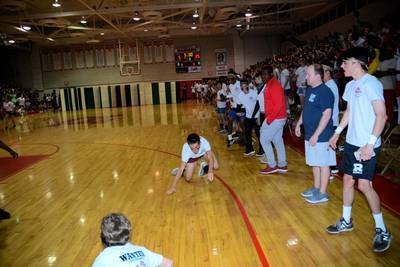 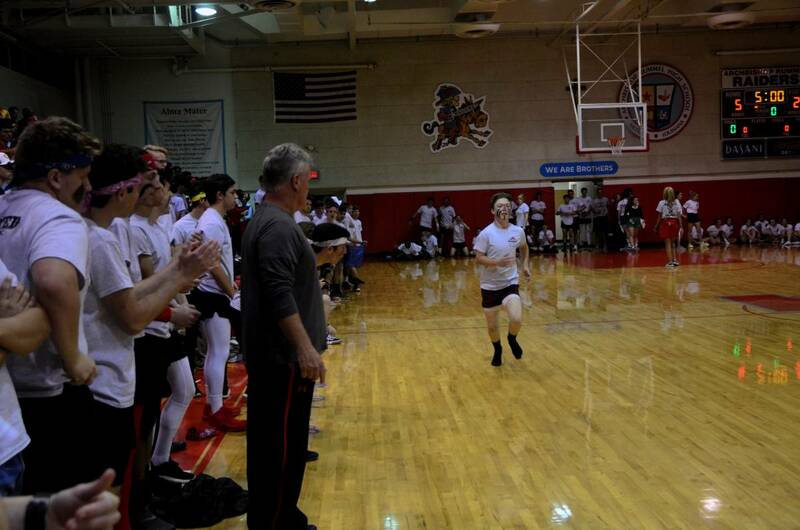 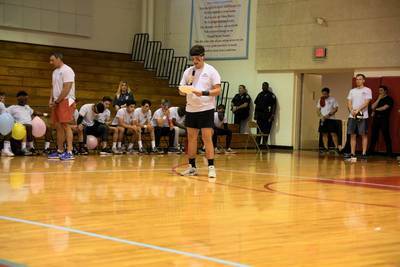 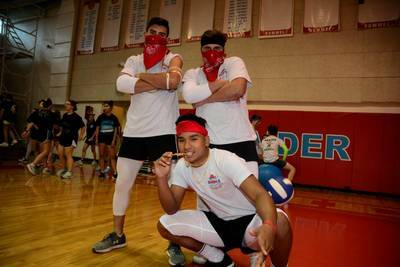 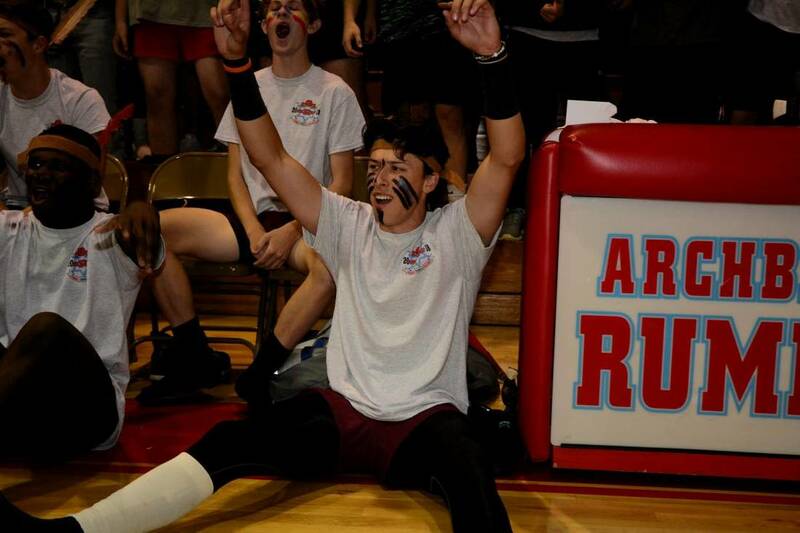 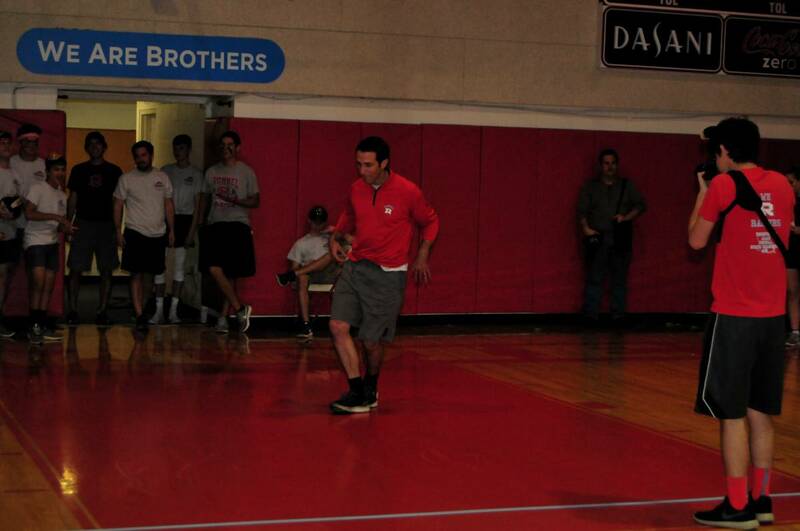 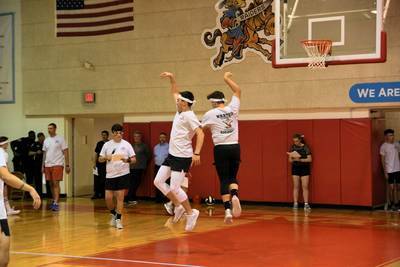 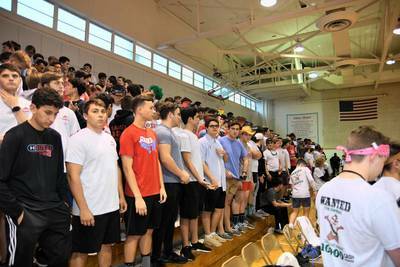 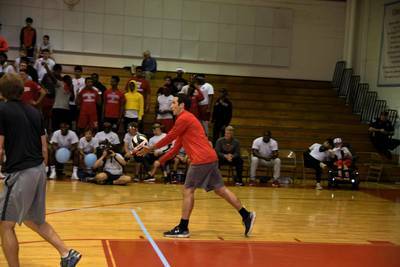 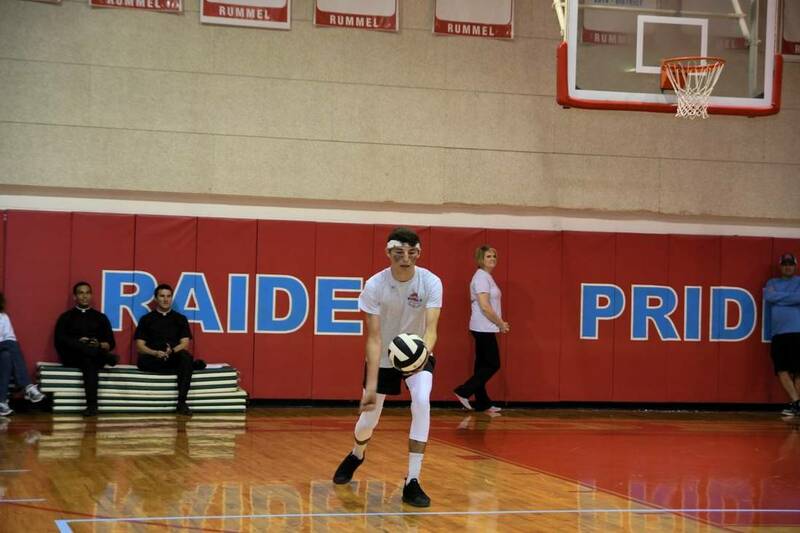 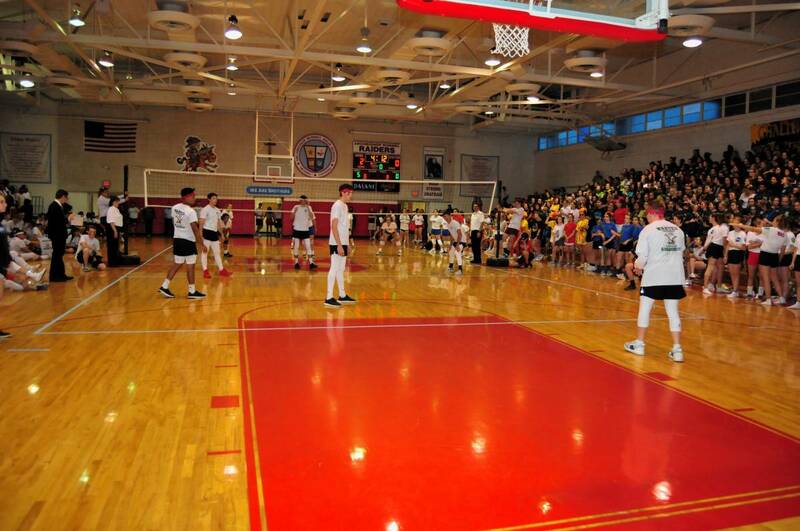 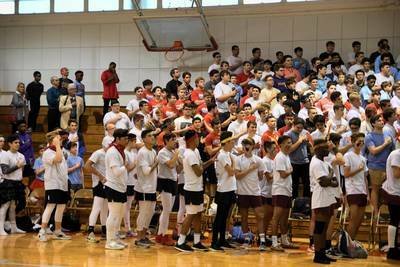 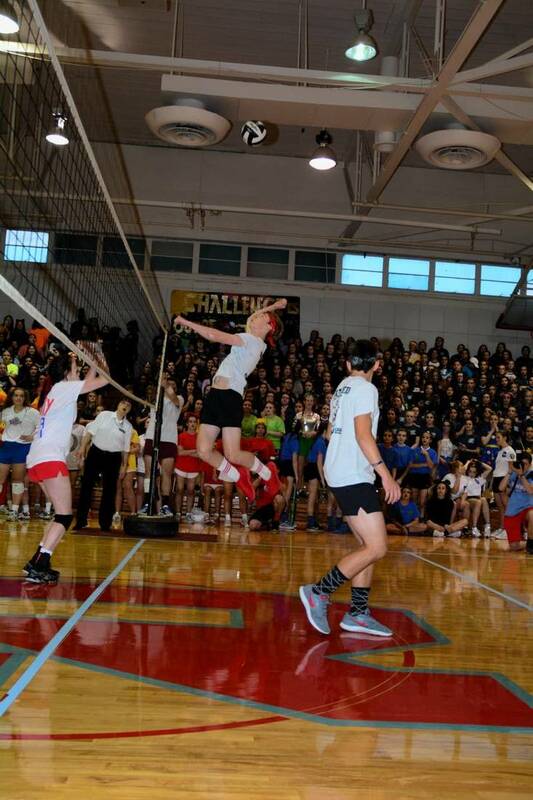 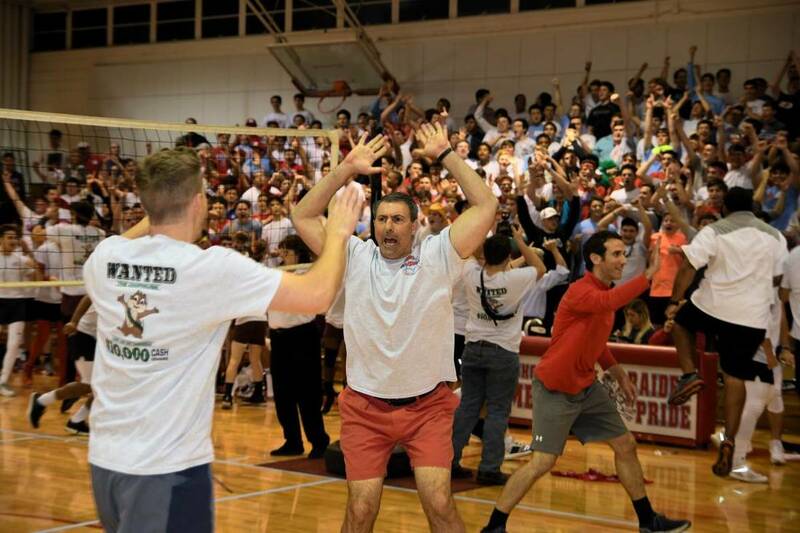 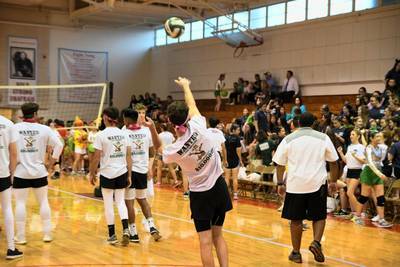 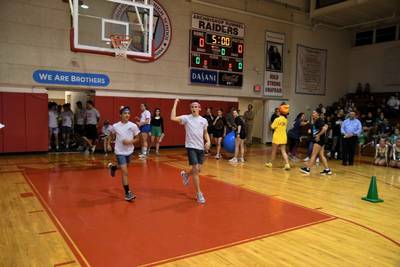 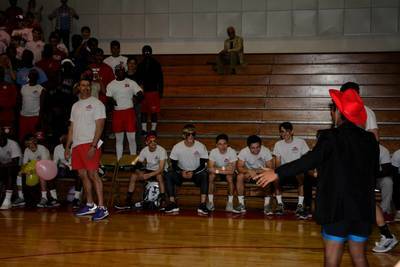 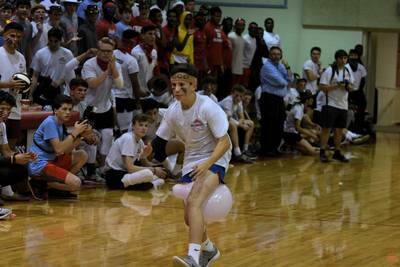 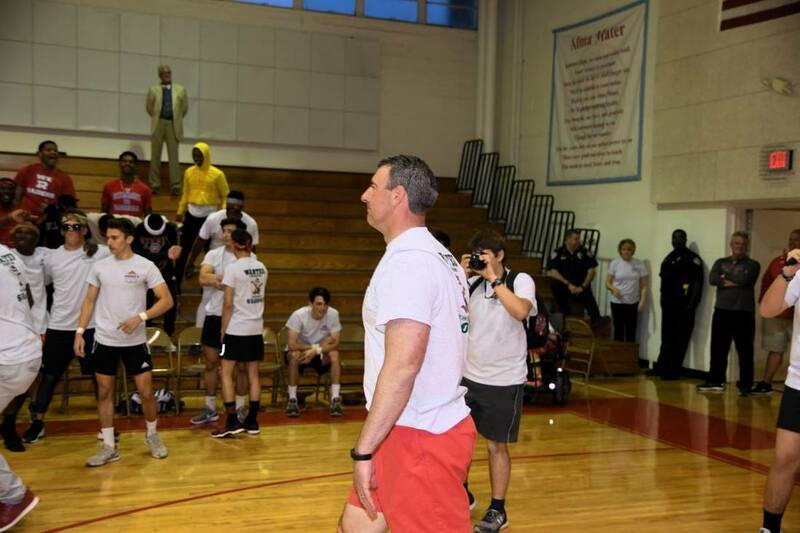 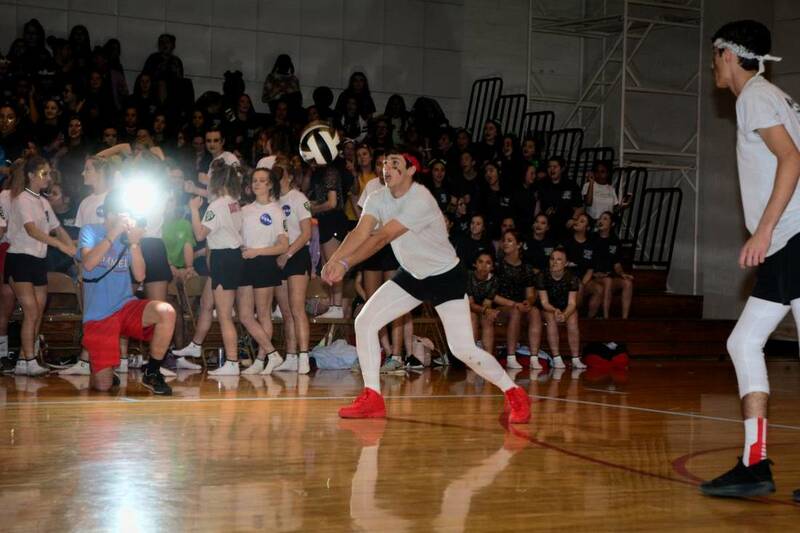 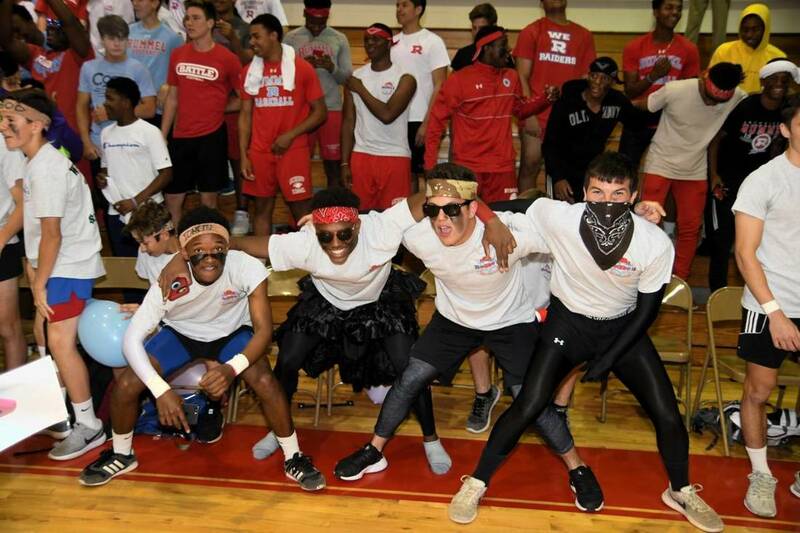 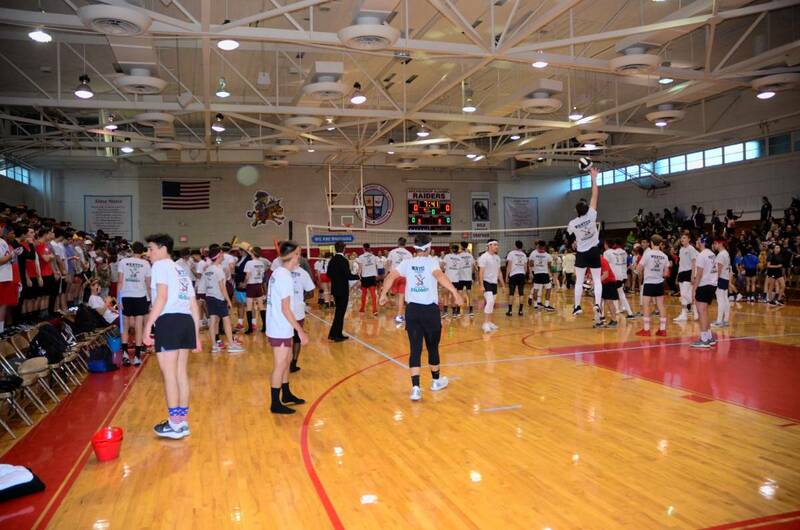 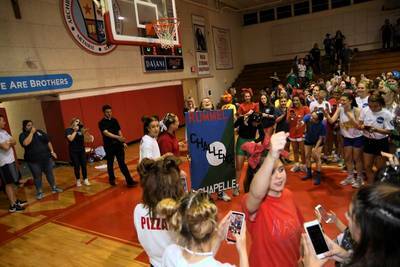 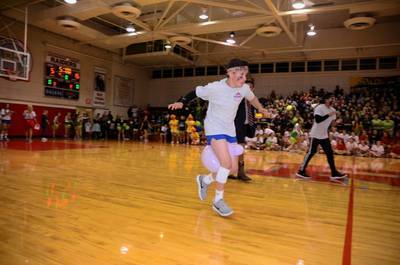 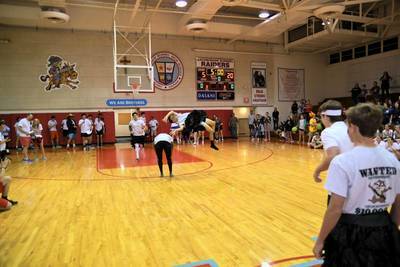 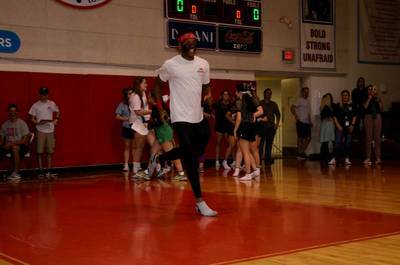 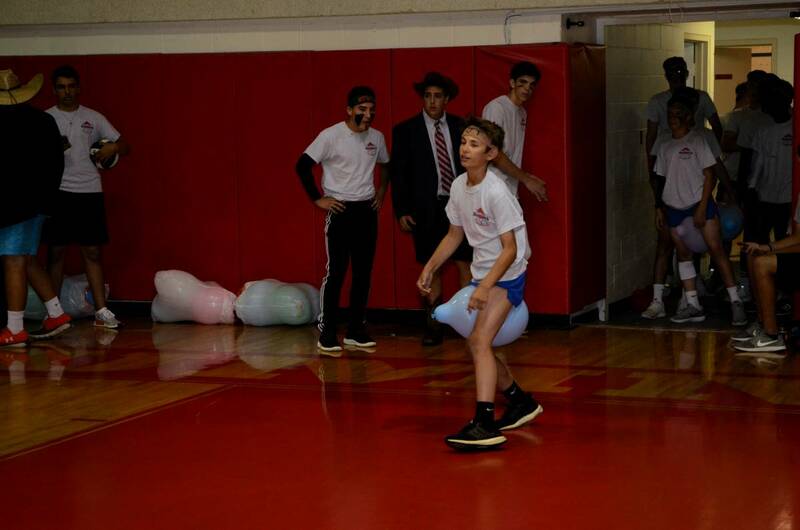 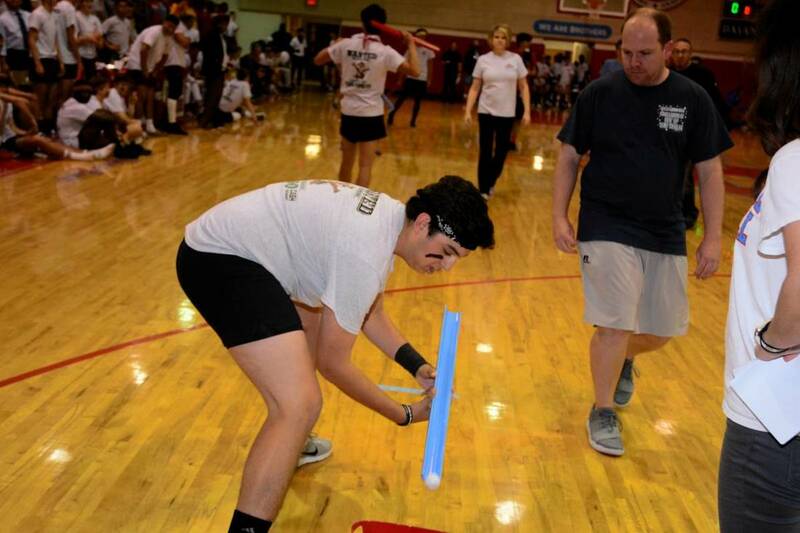 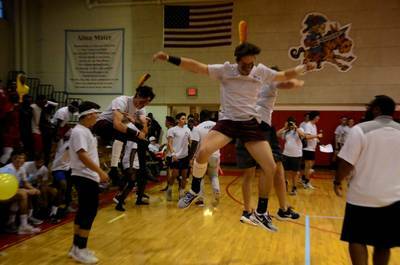 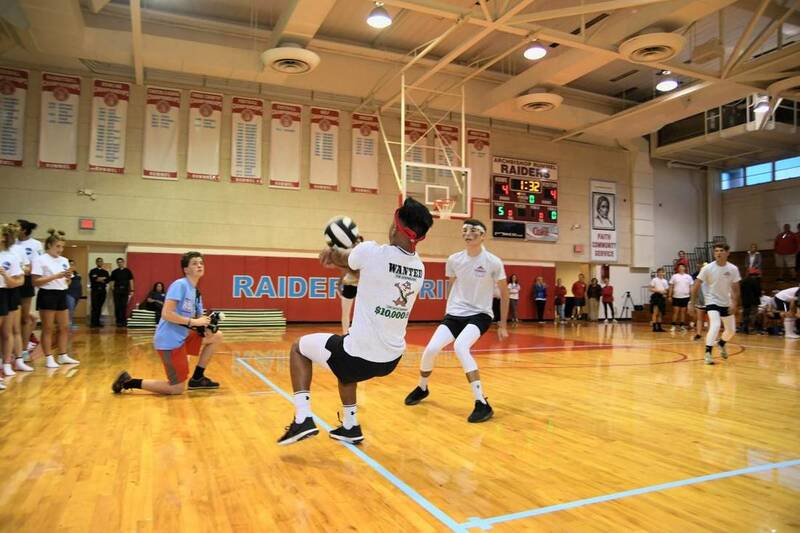 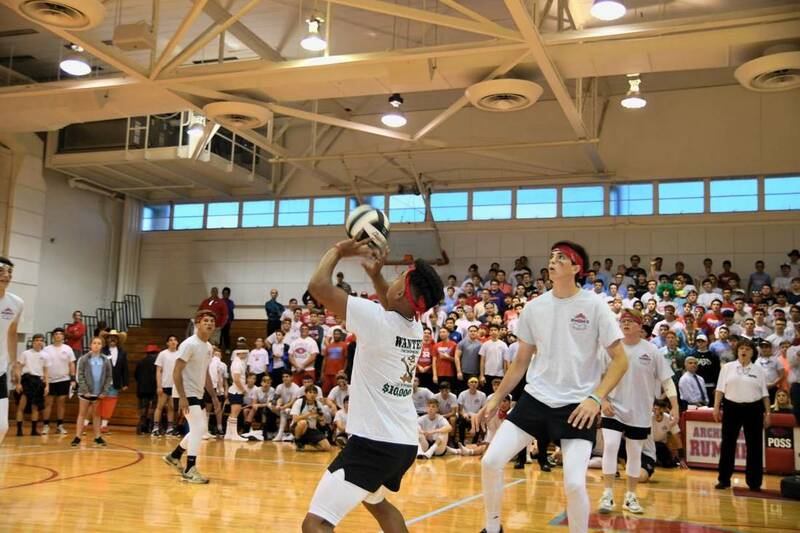 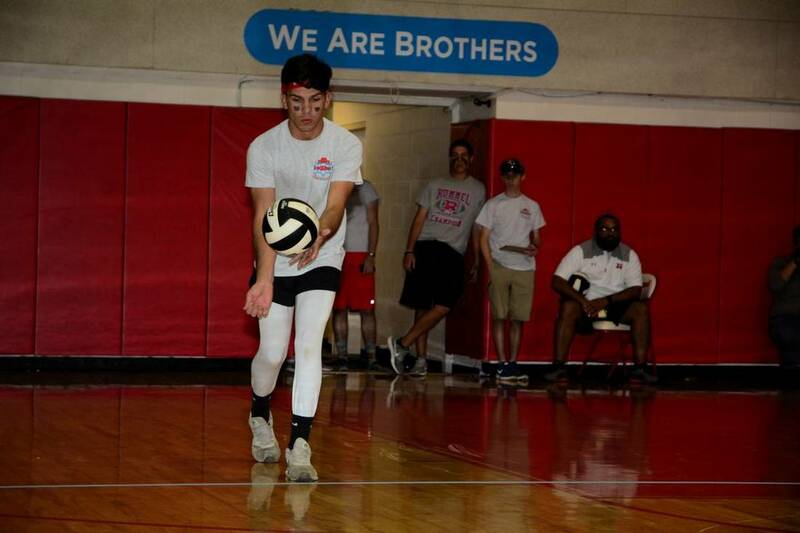 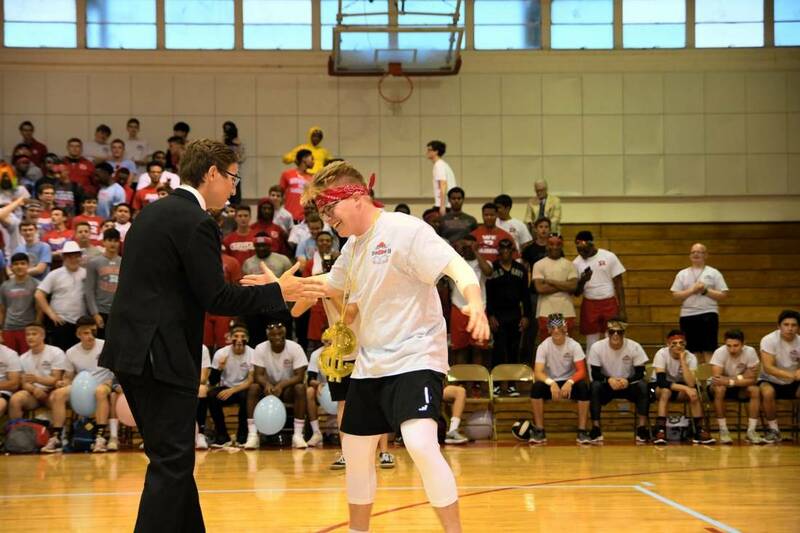 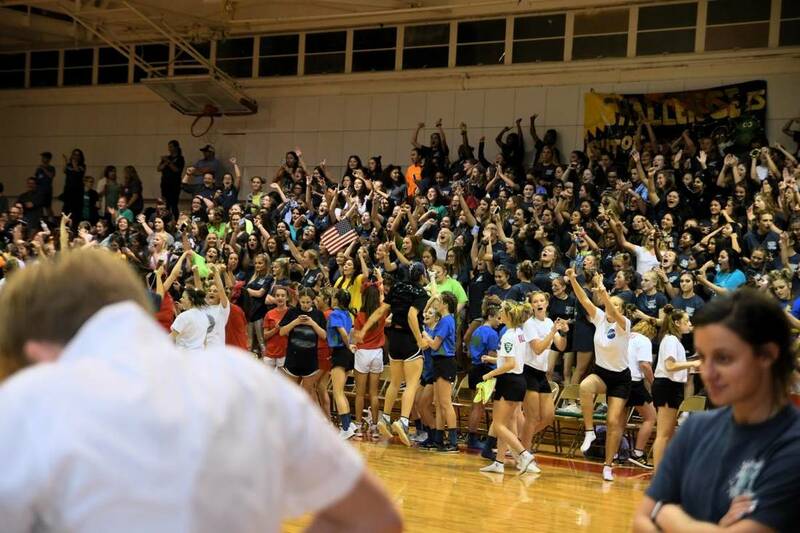 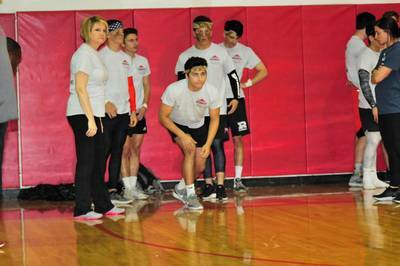 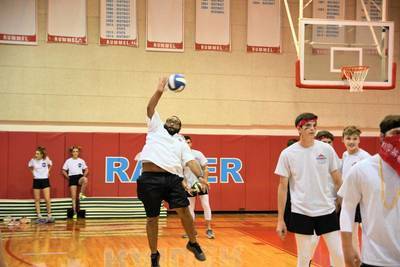 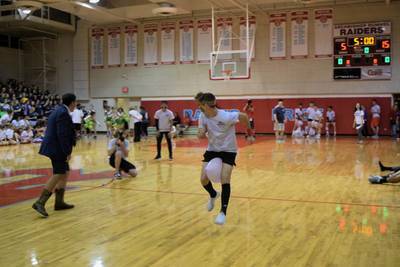 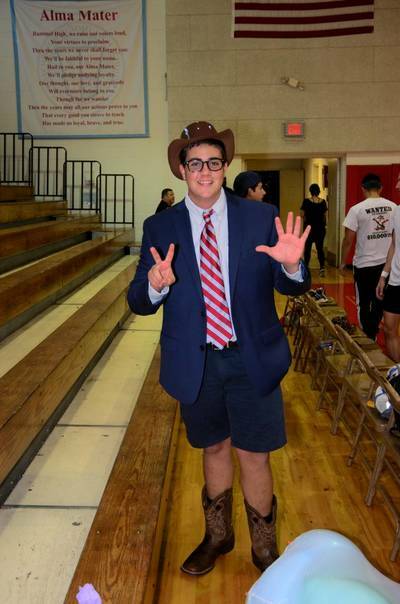 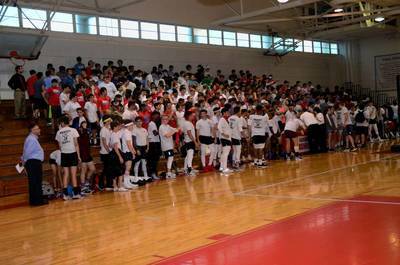 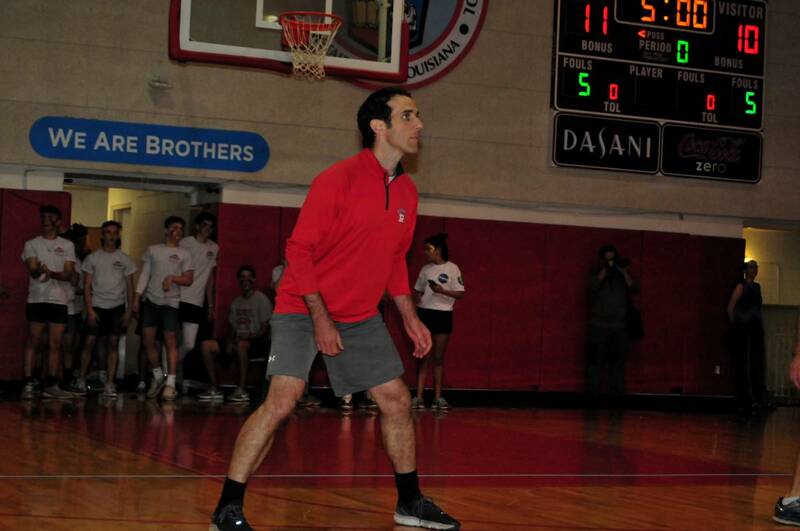 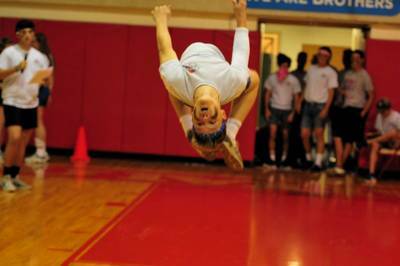 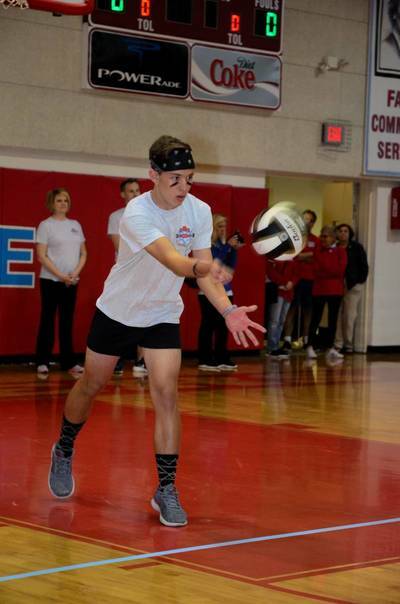 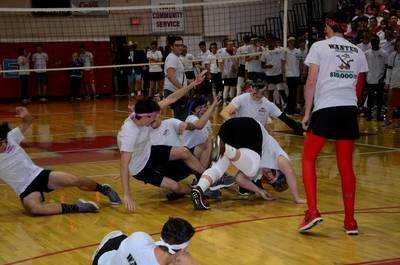 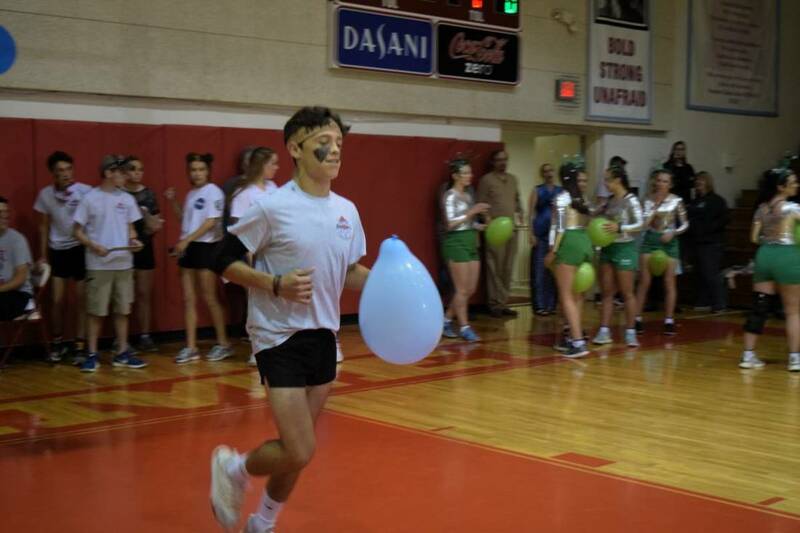 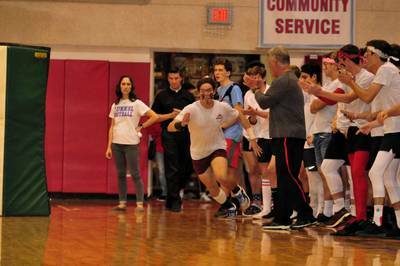 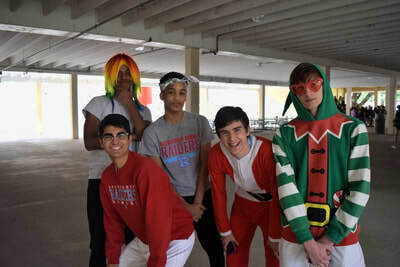 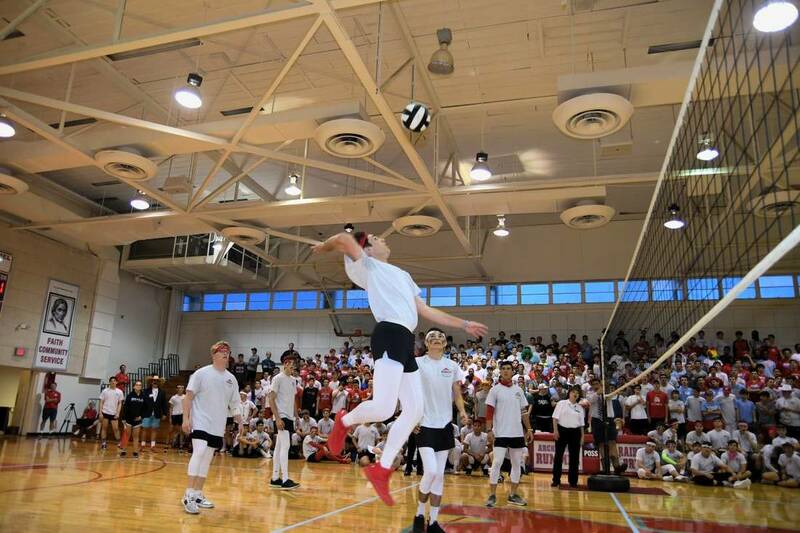 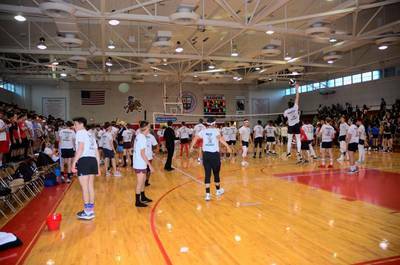 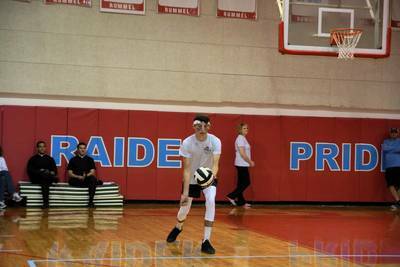 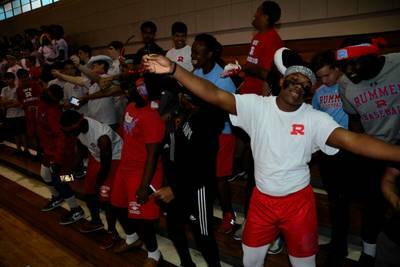 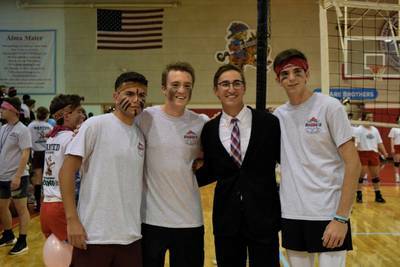 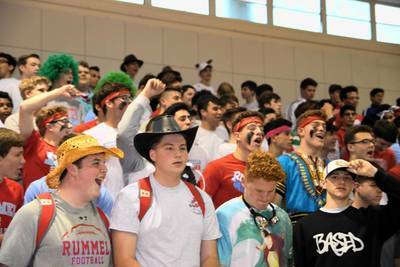 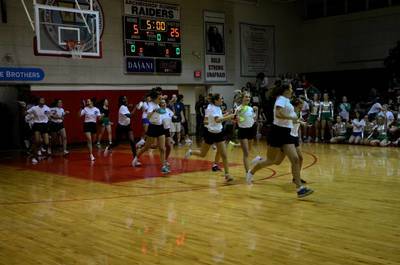 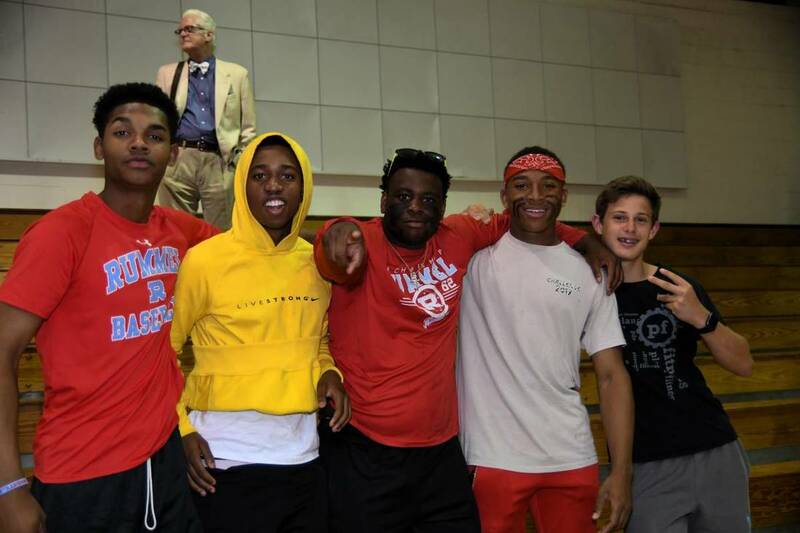 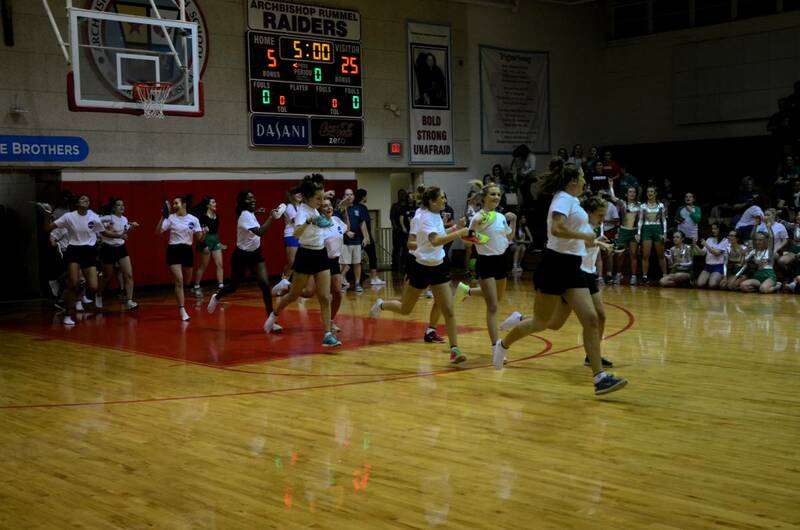 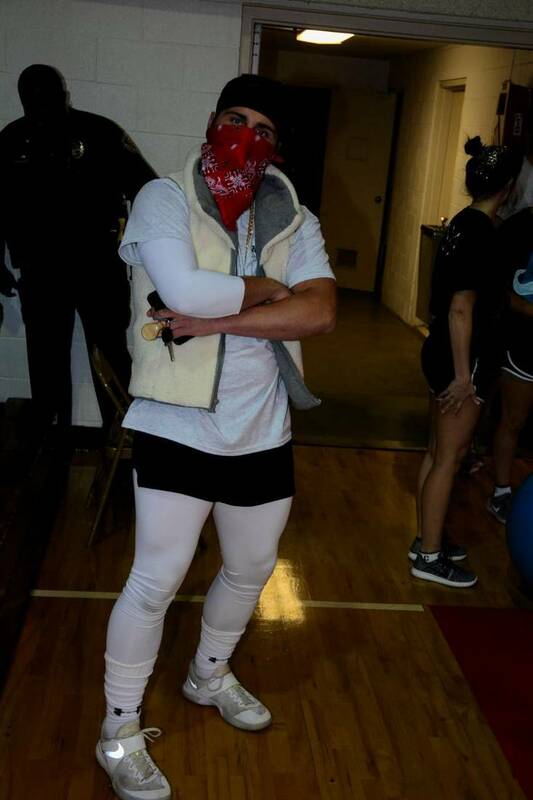 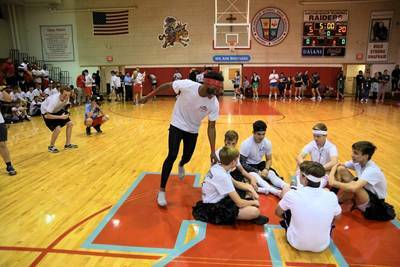 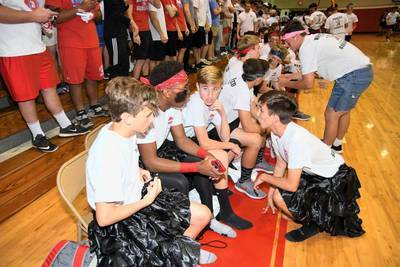 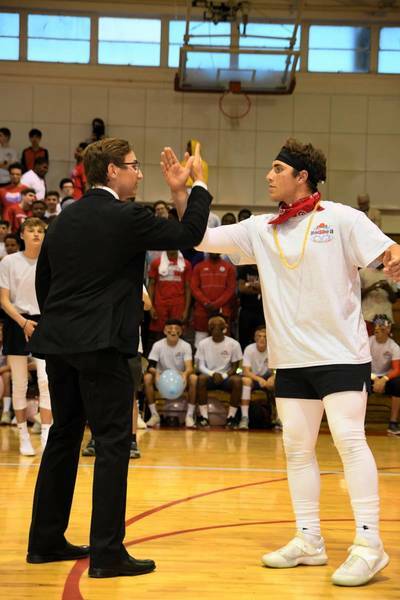 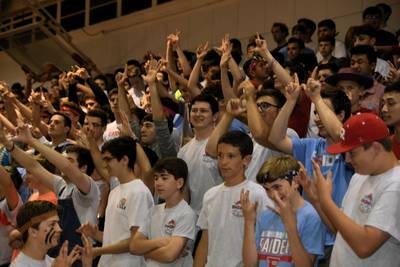 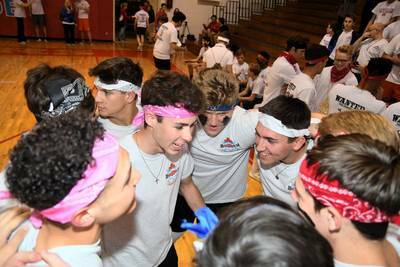 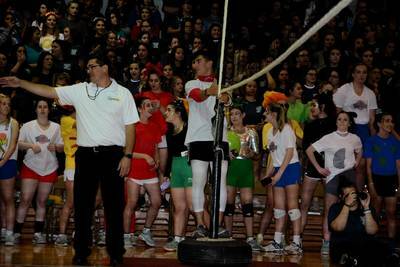 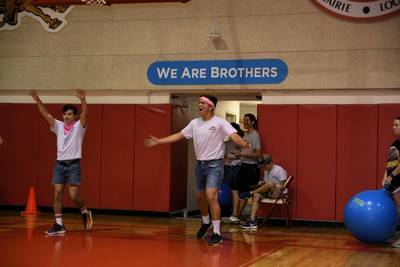 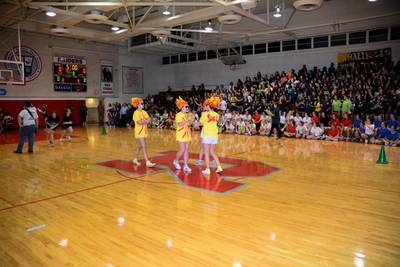 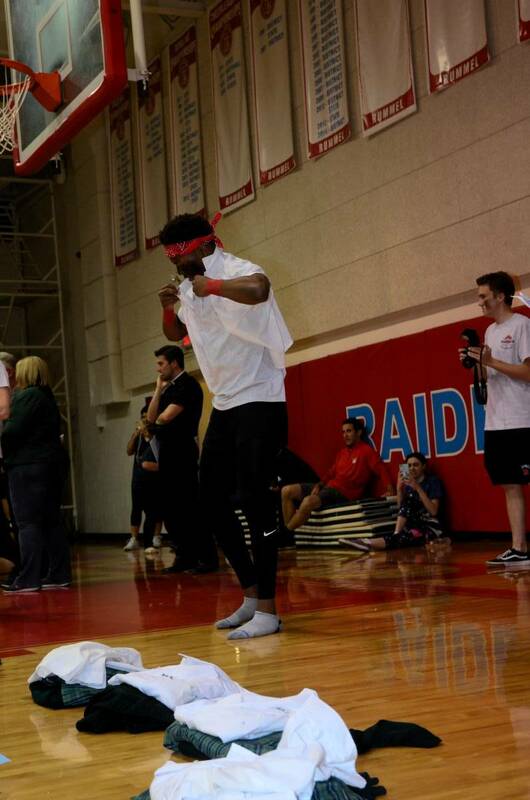 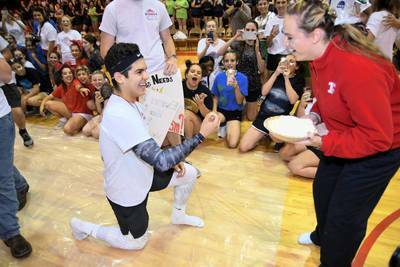 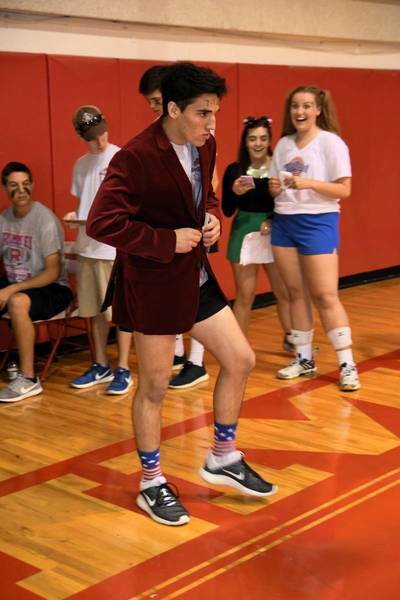 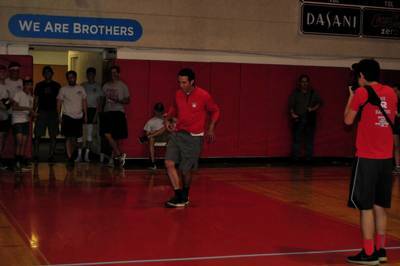 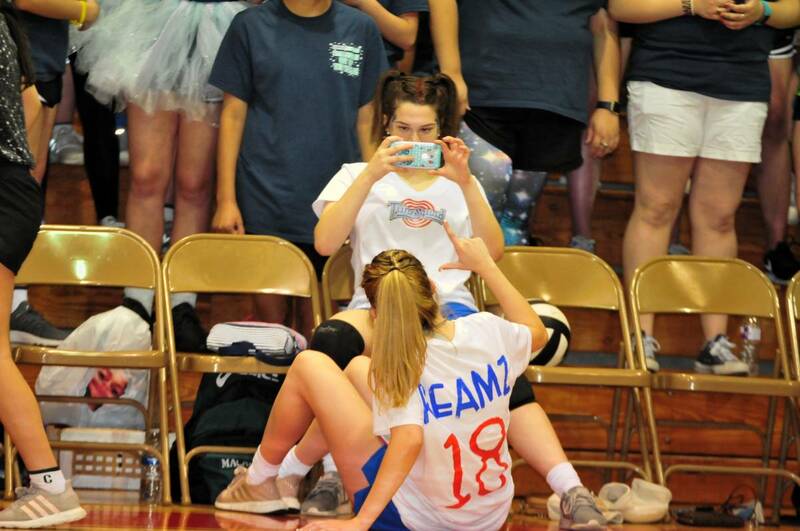 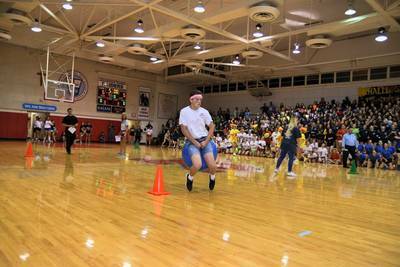 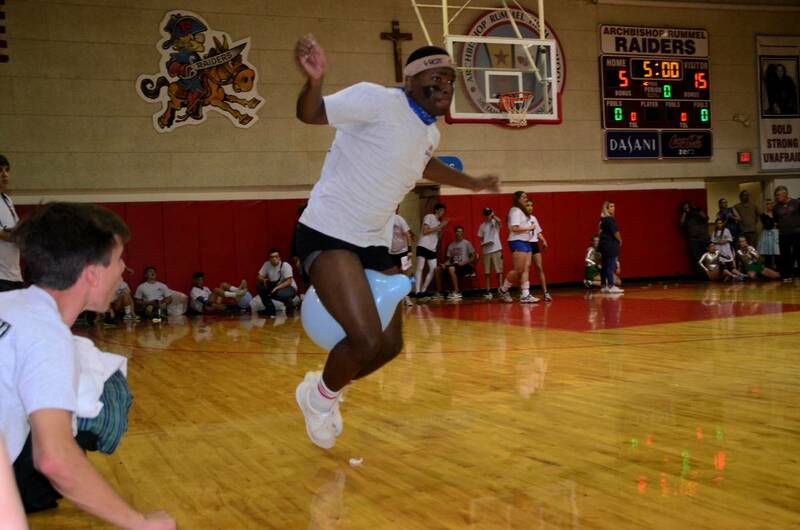 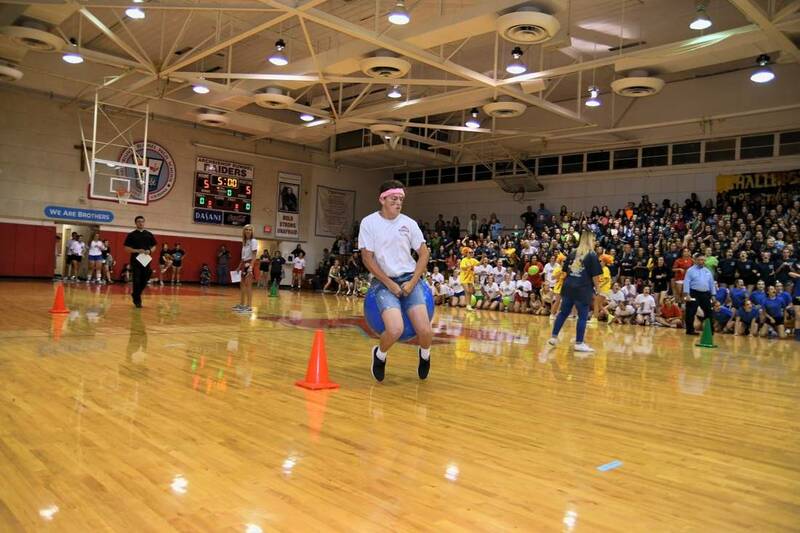 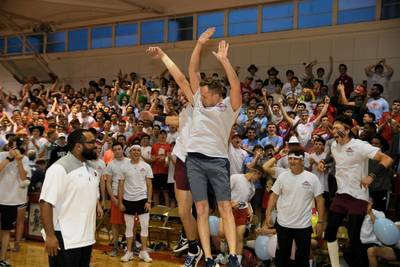 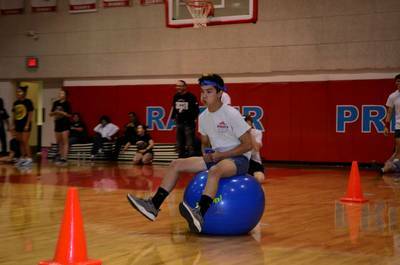 Thursday evening, the annual Rummel/Chapelle Challenge was held in the Raider Gym with the Chipmunks taking the victory for the first time in seven years. 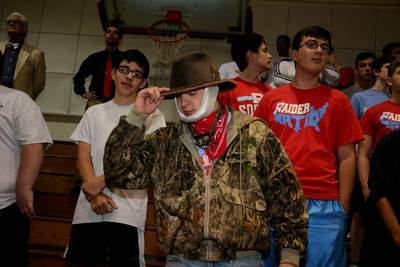 With the theme "Wild Wild West," the Raider teams and fans dressed as cowboys and bandits. 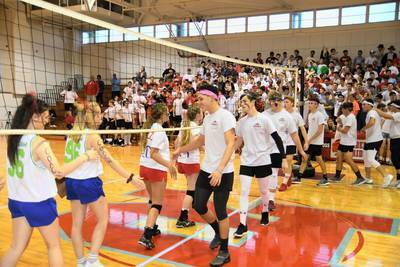 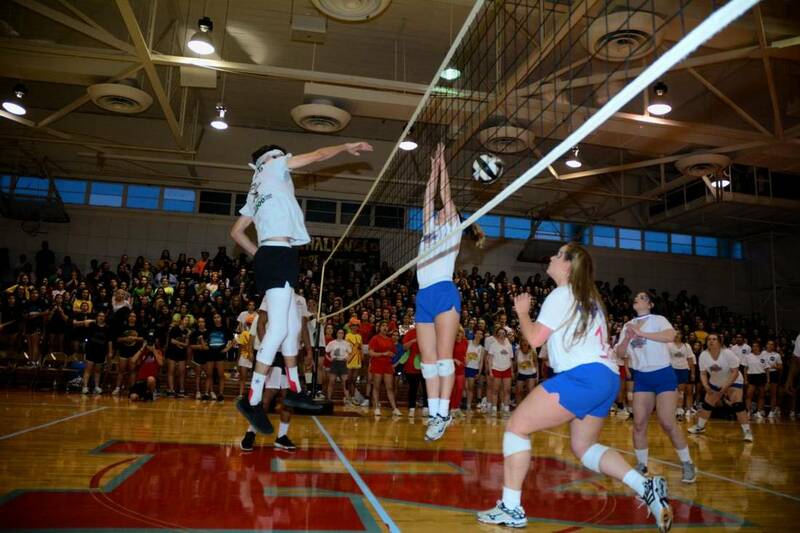 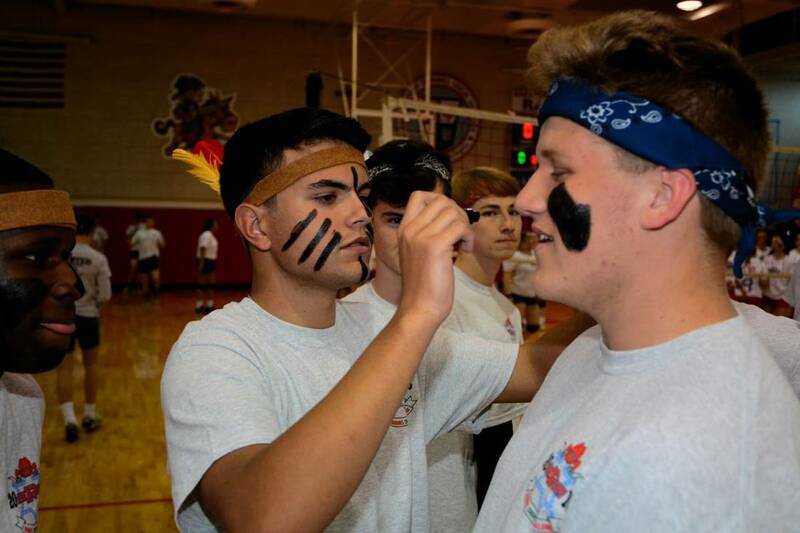 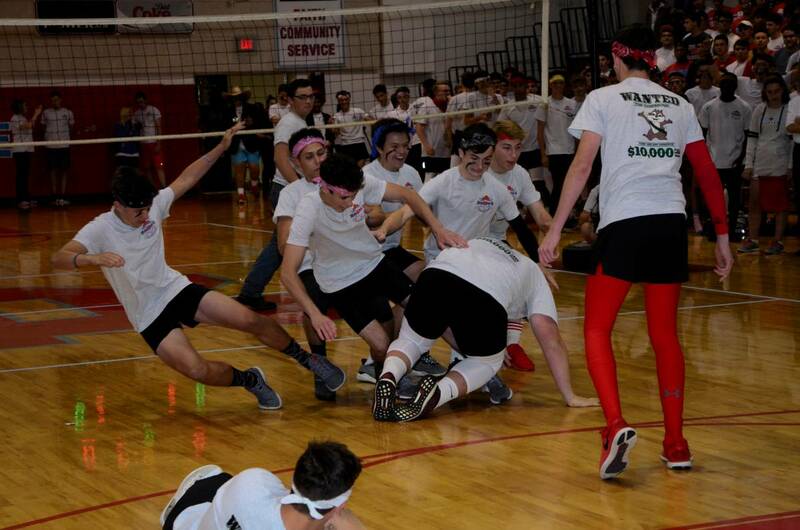 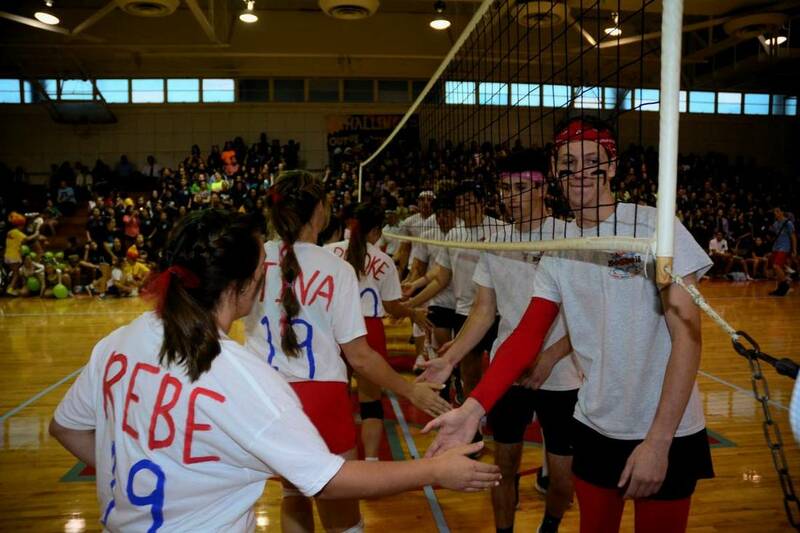 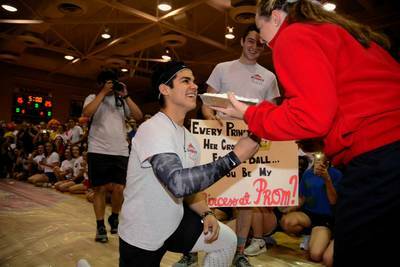 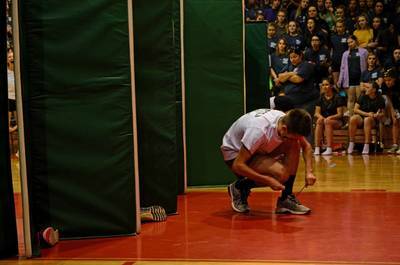 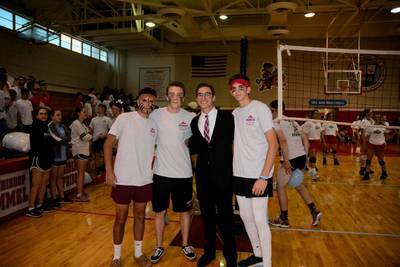 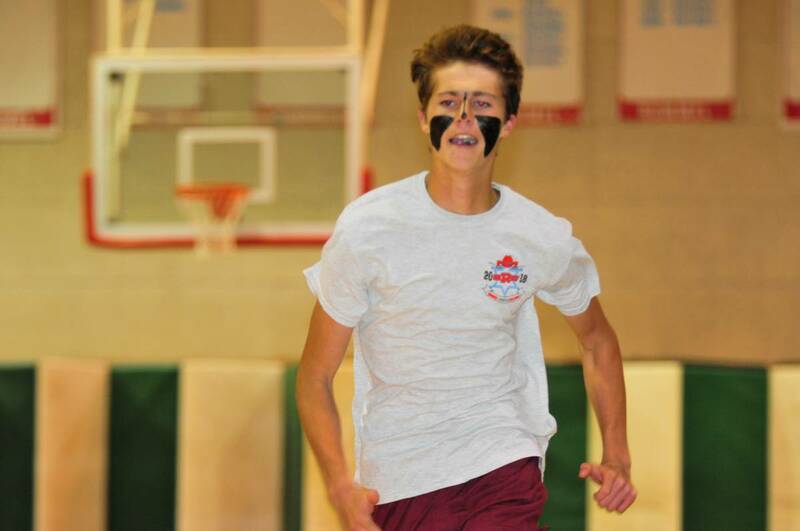 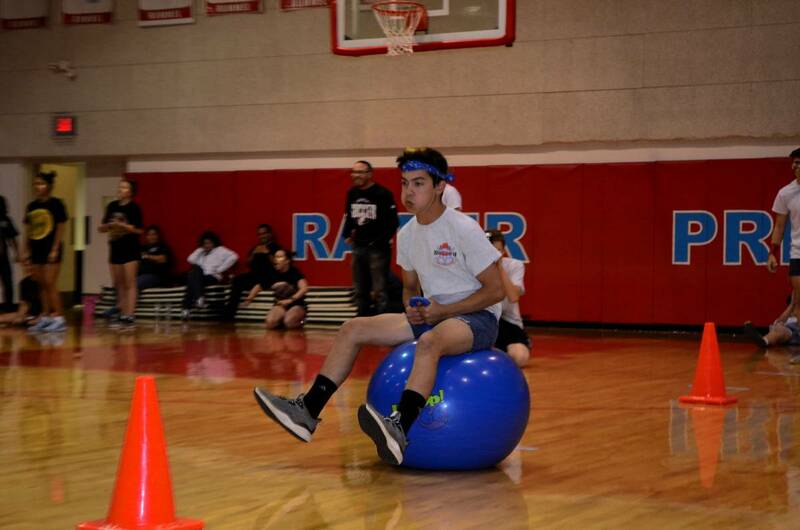 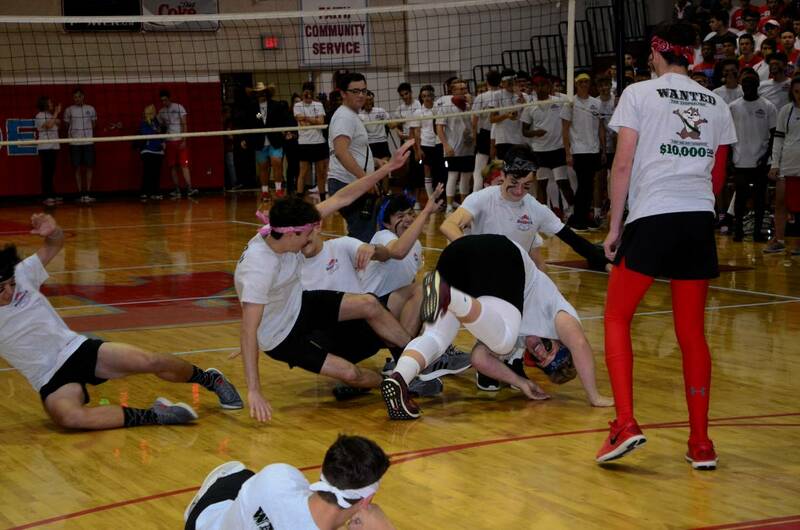 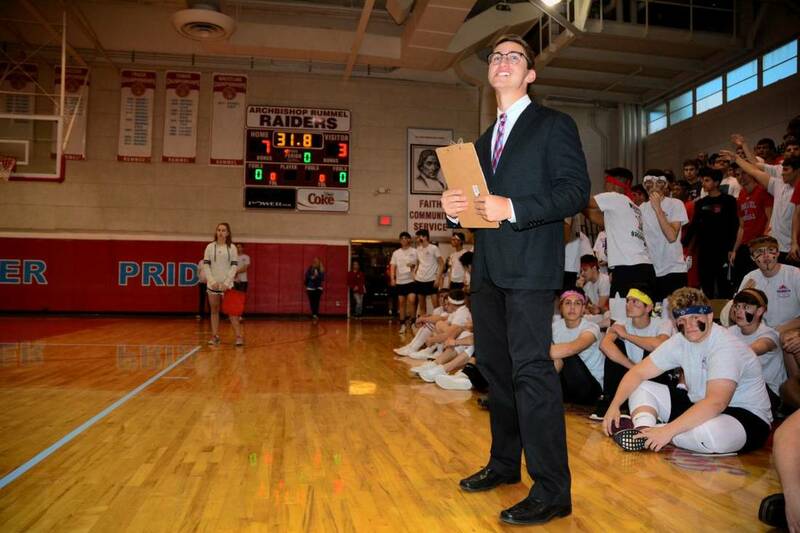 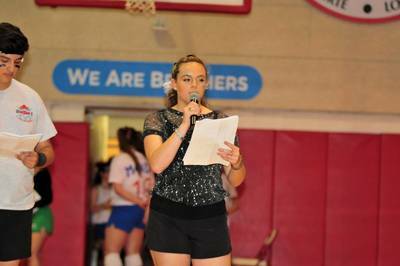 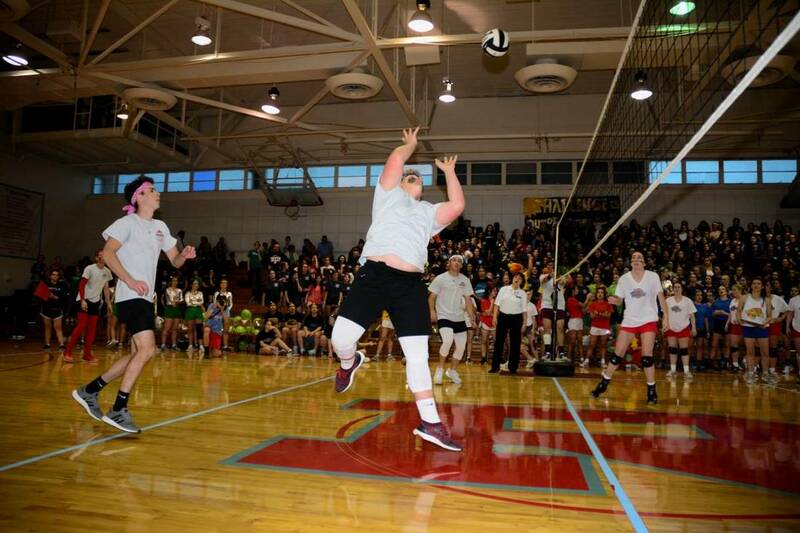 The games began with a tie with the Raiders winning JV Volleyball and the Chipmunks winning Varsity Volleyball. 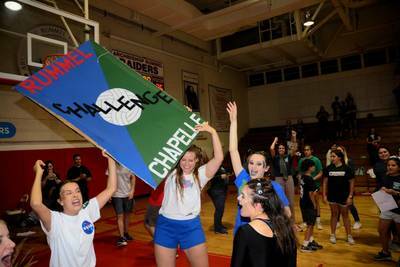 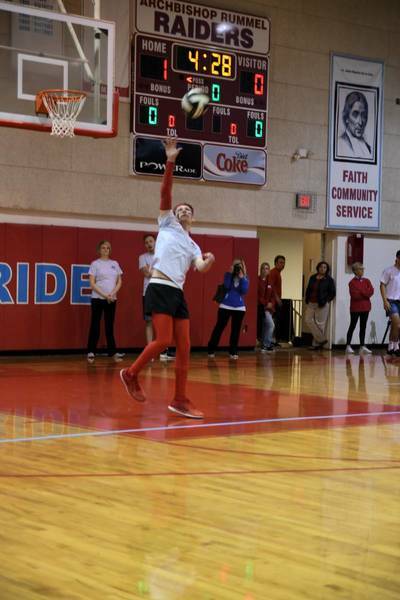 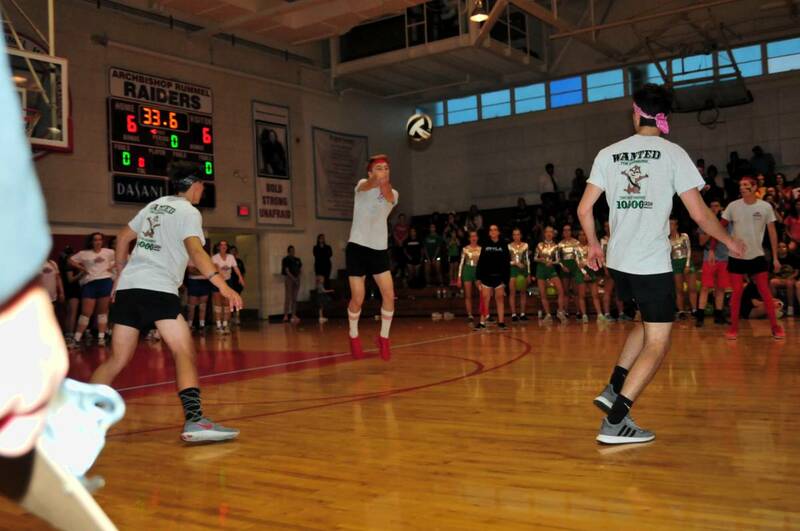 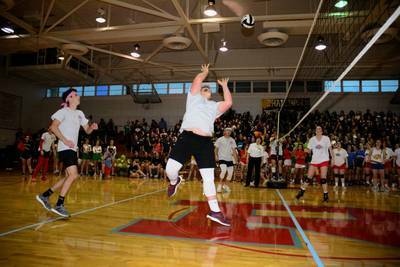 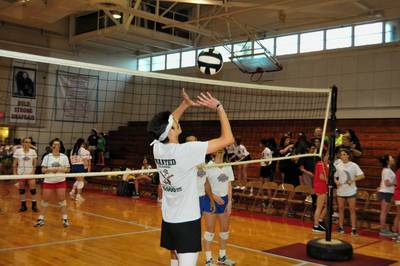 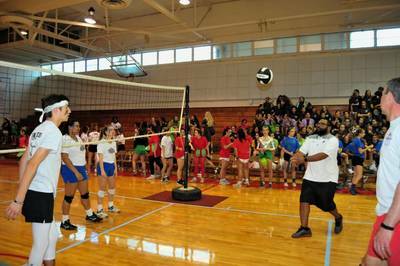 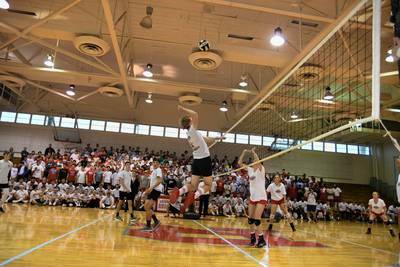 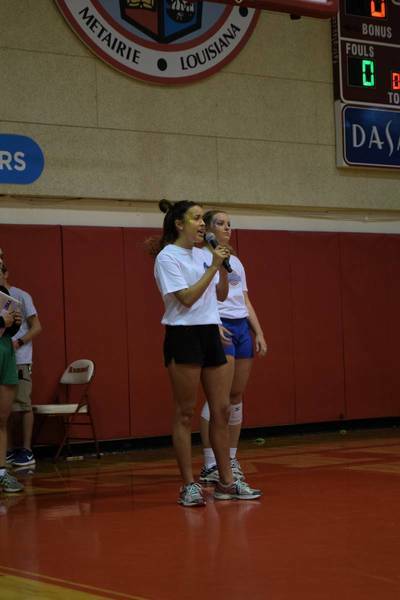 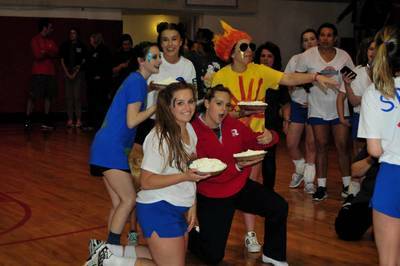 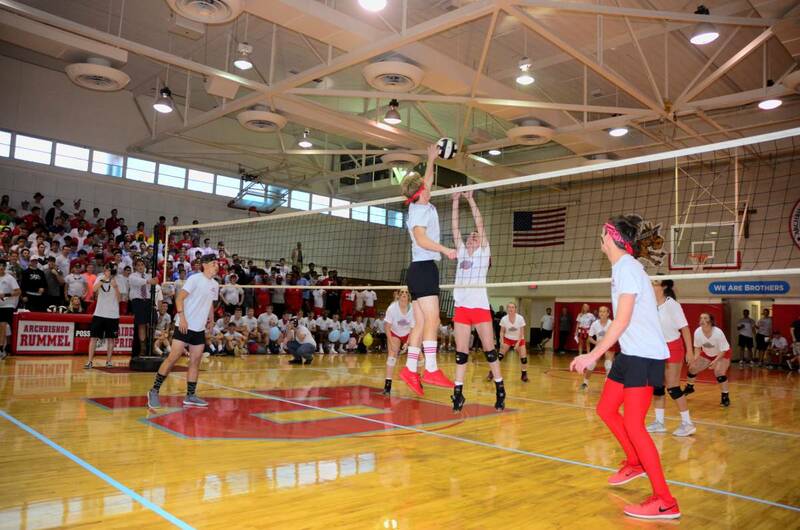 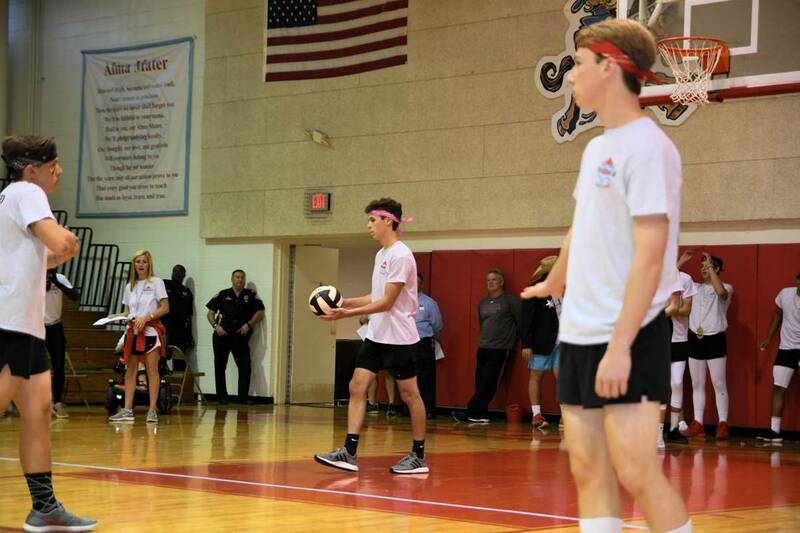 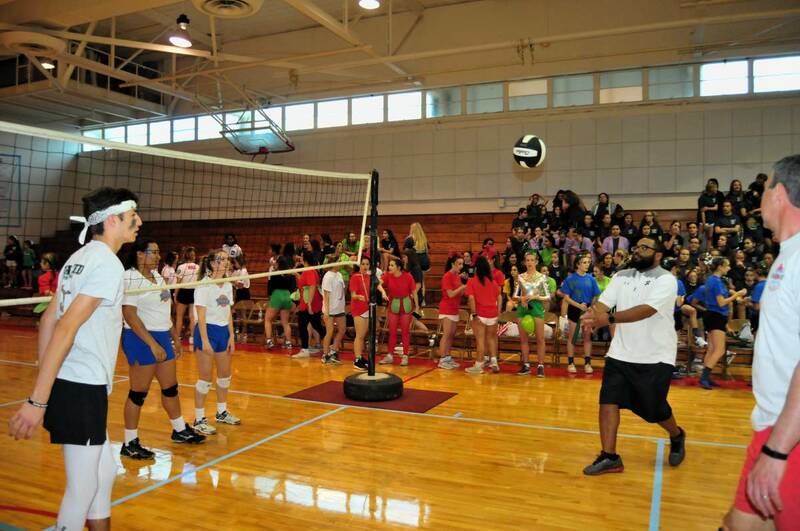 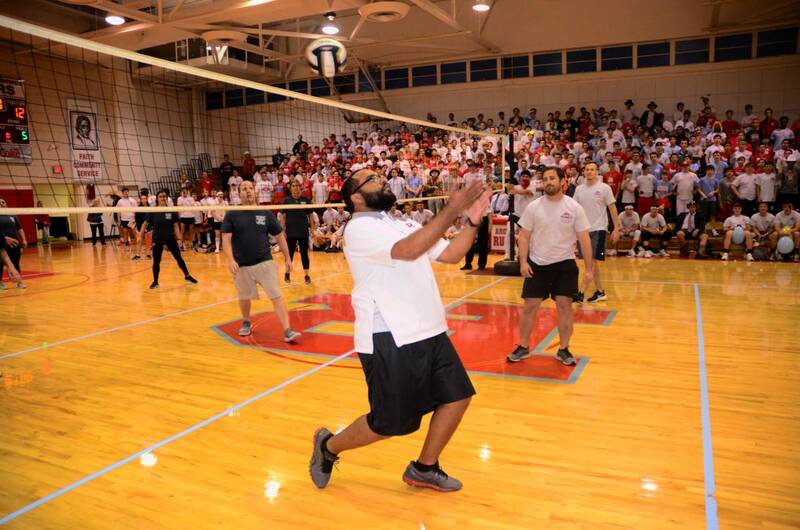 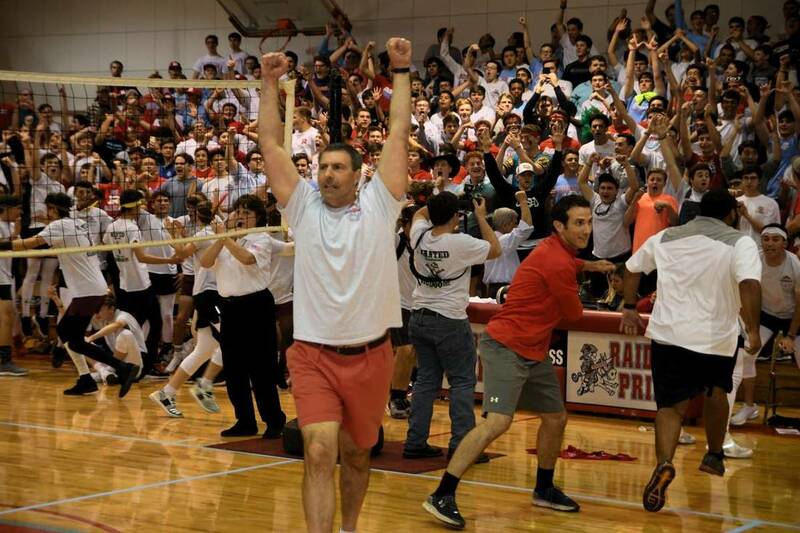 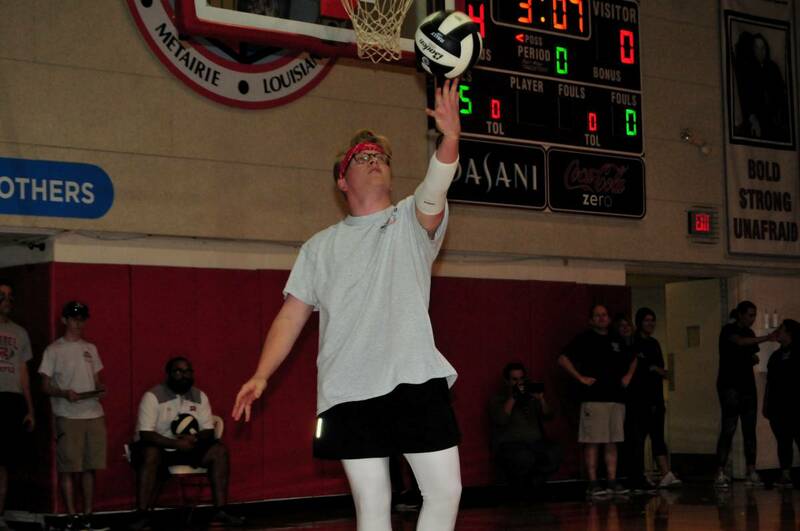 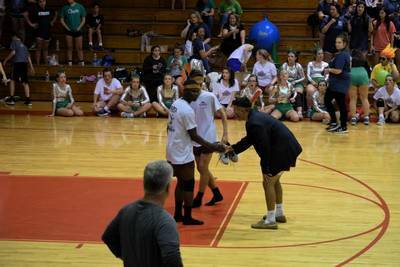 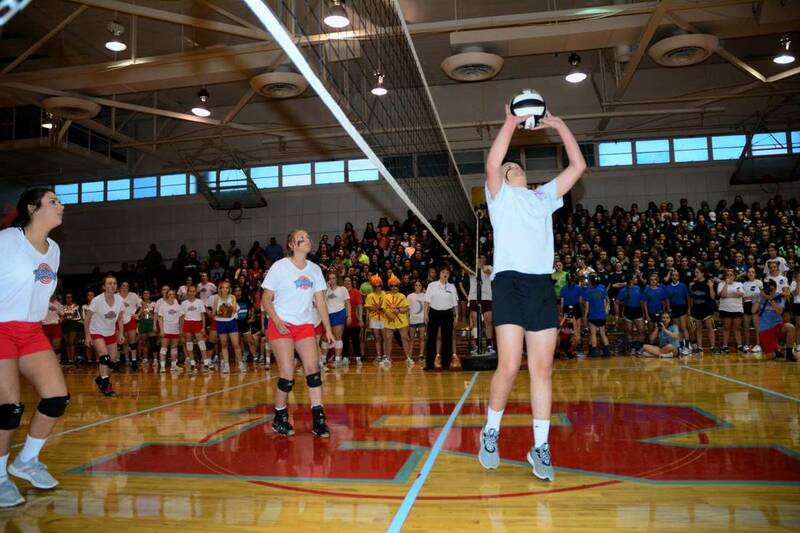 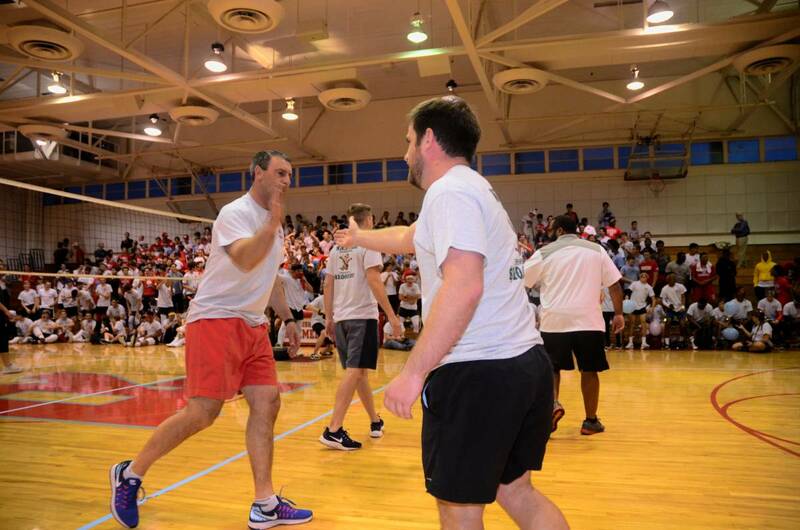 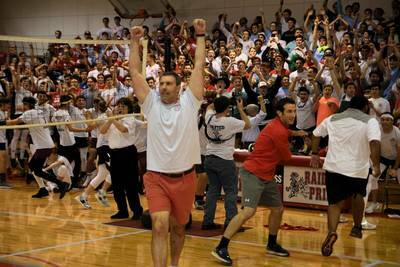 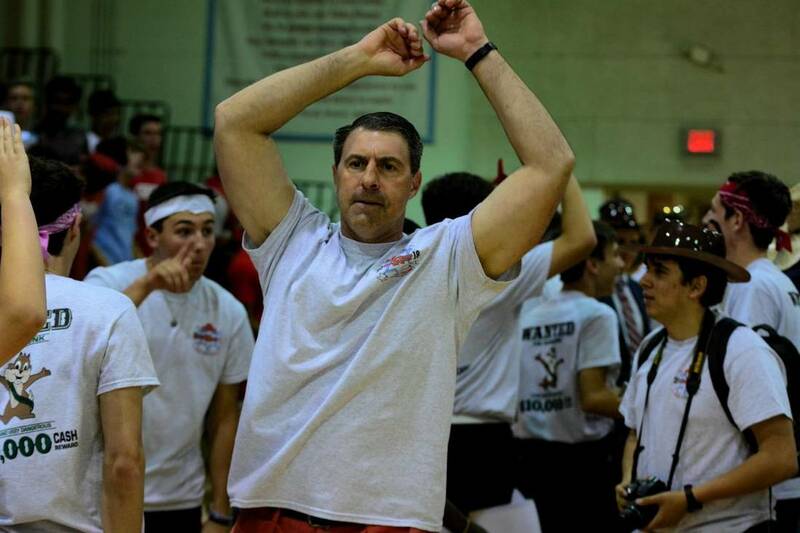 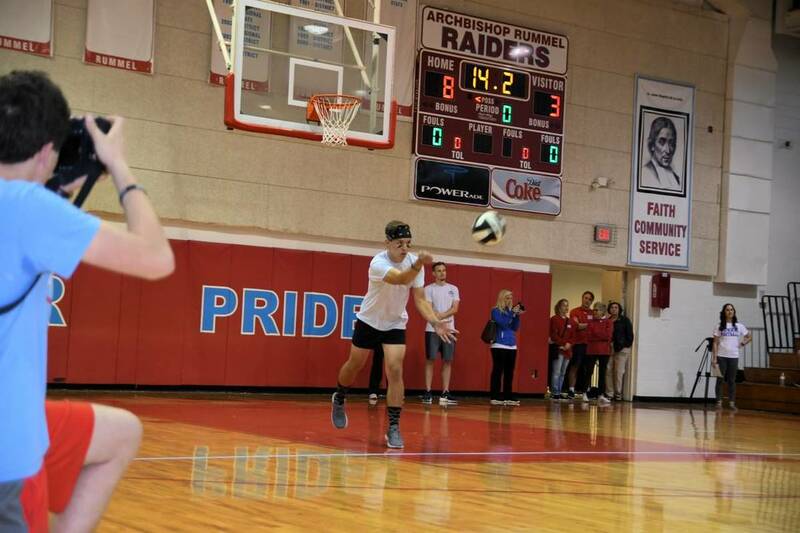 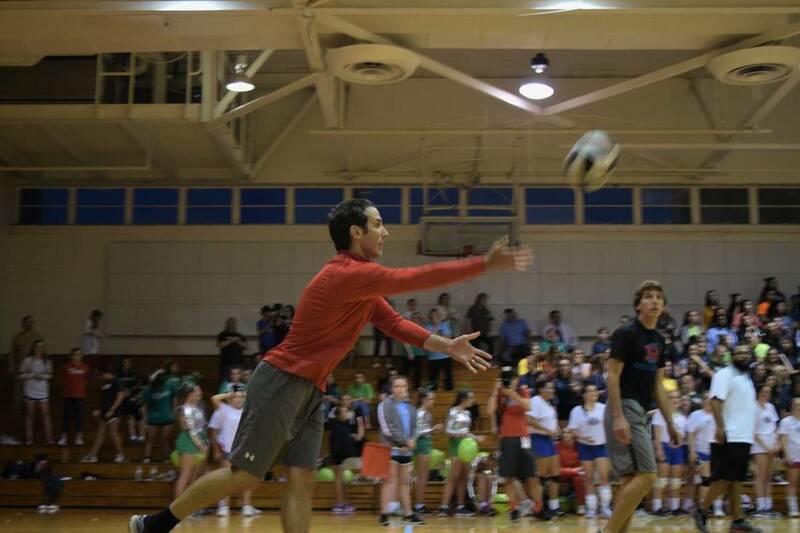 Next, the Raider faculty volleyball team dominated the Chapelle faculty team for the first time in THIRTEEN YEARS. 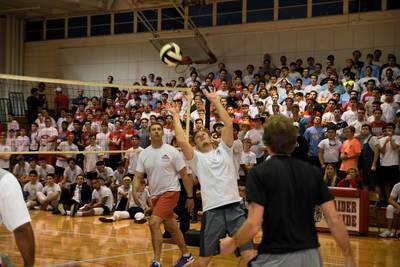 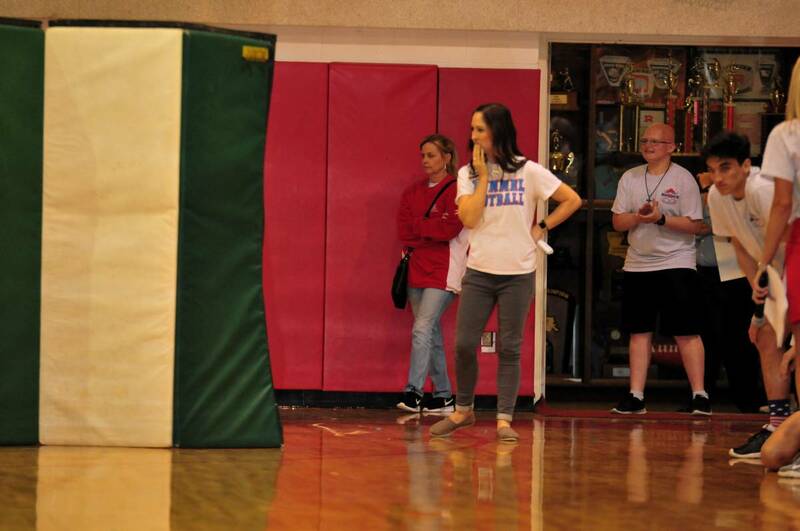 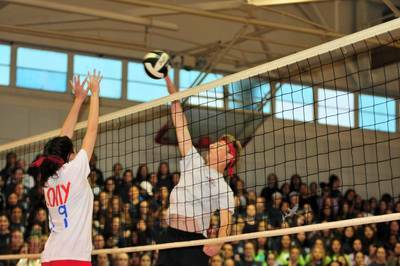 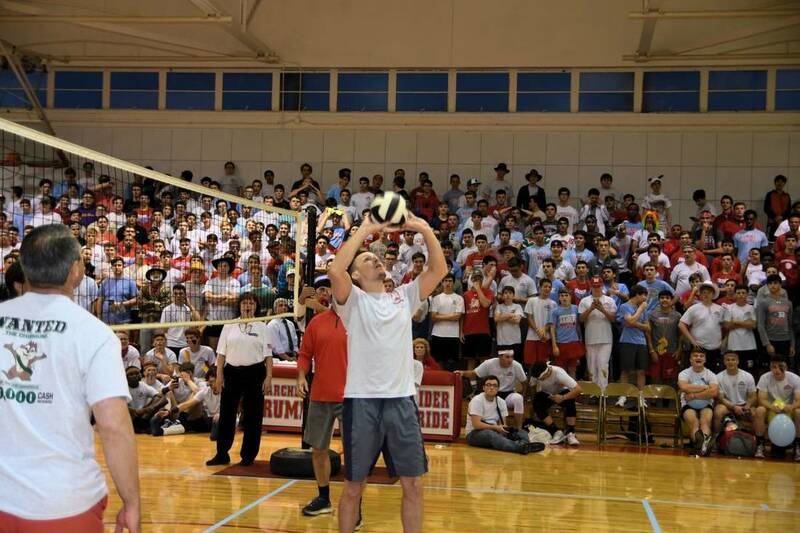 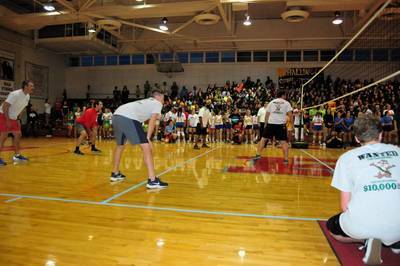 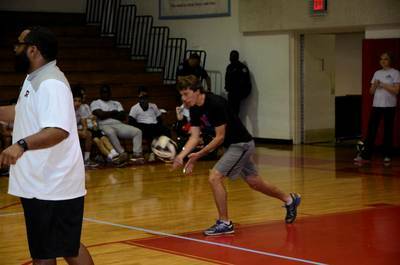 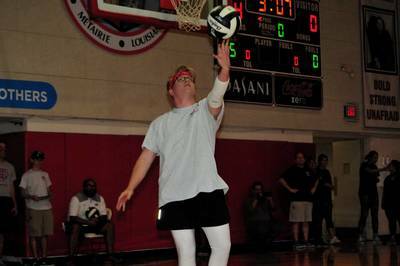 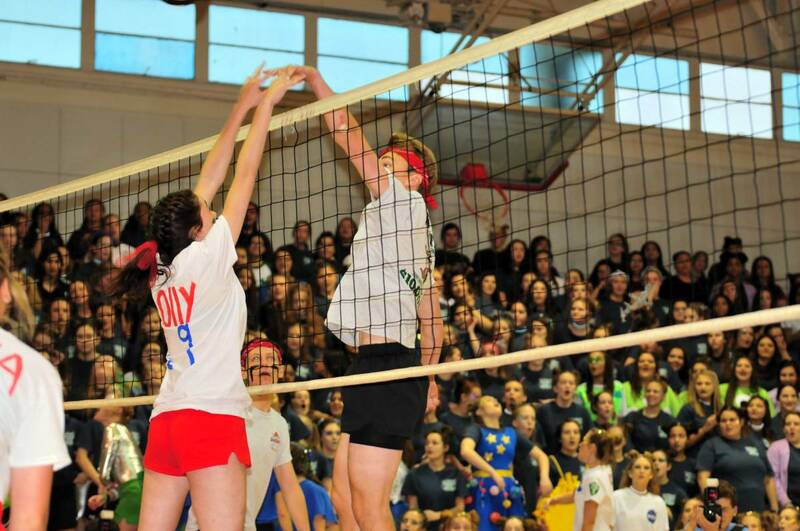 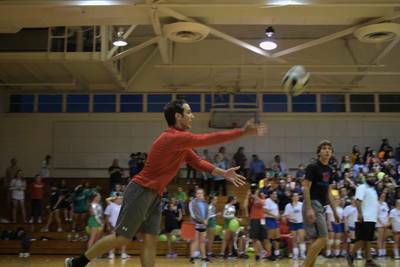 Sadly, the faculty volleyball game doesn't count towards points, so the score remained tied. 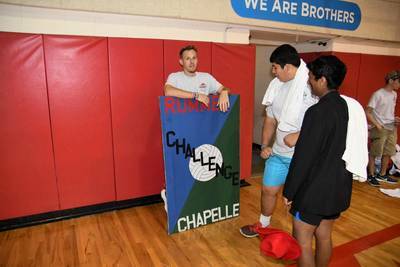 Chapelle took the lead quickly with wins in the hippity-hop relay, bridge ball, the balloon waddle, and the uniform swap. 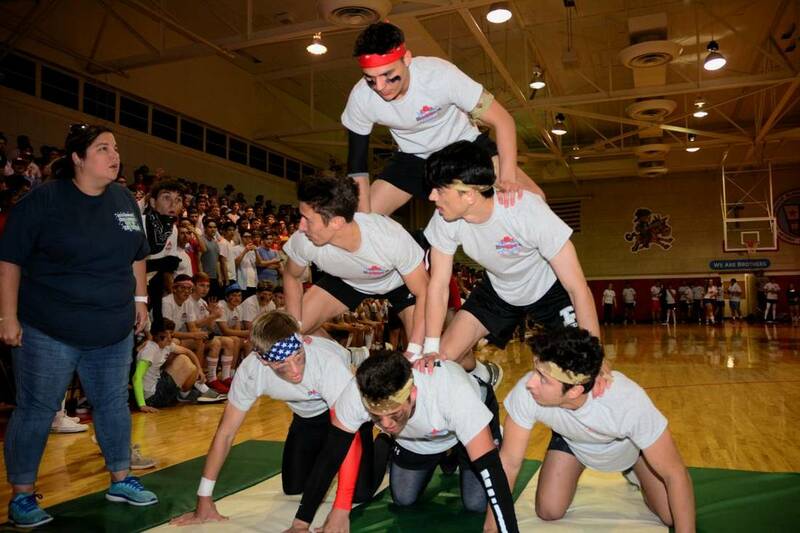 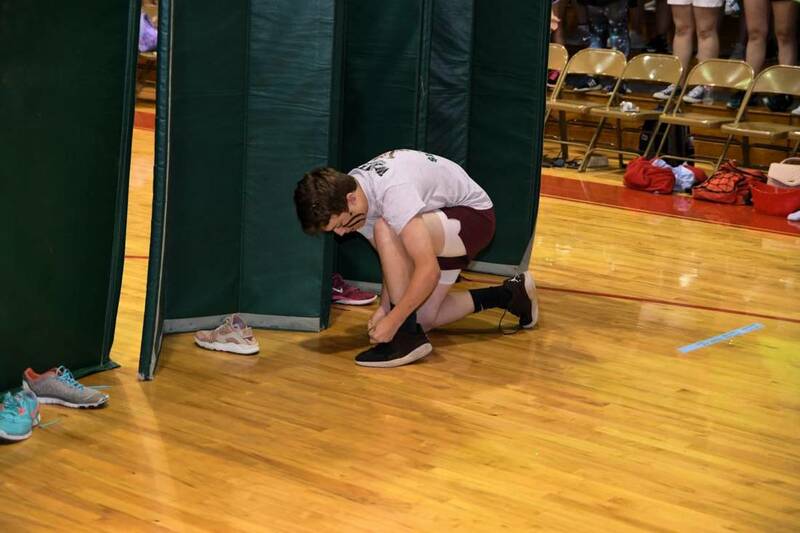 The Raiders went out with a valiant effort taking the win in the shoe find and the human pyramid relay, but they couldn't outscore the Chipmunks this year. 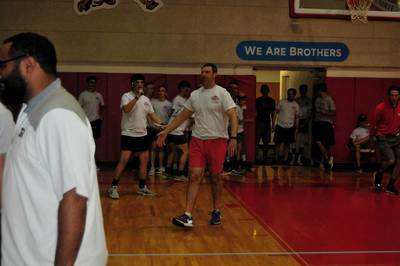 Participants from both schools played well and all enjoyed and fun evening. 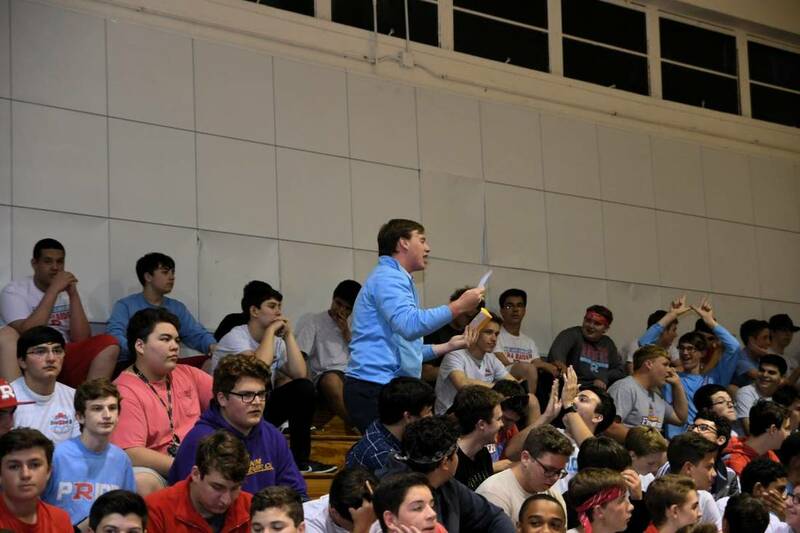 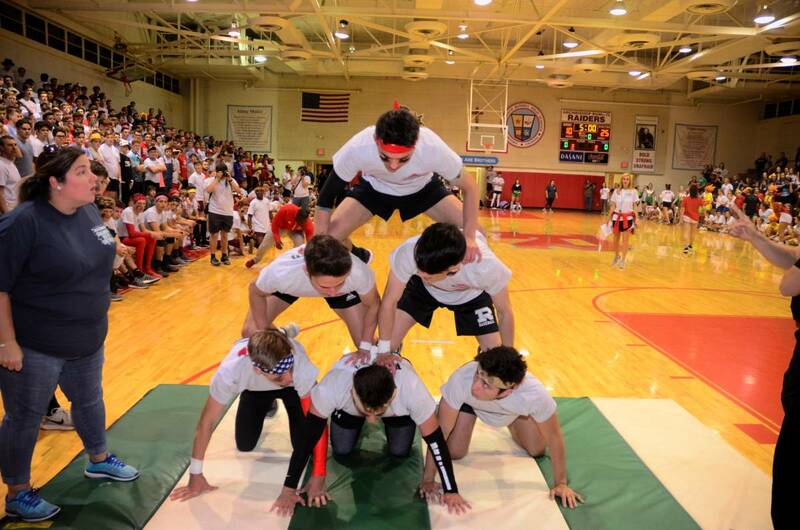 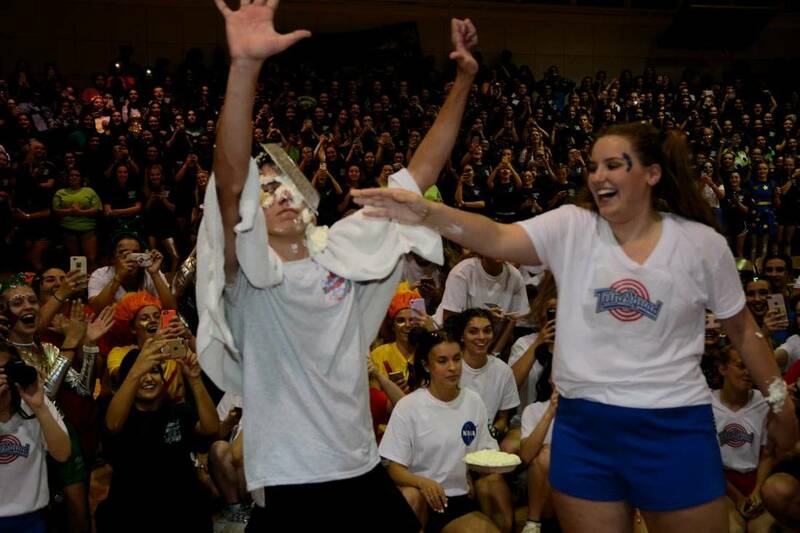 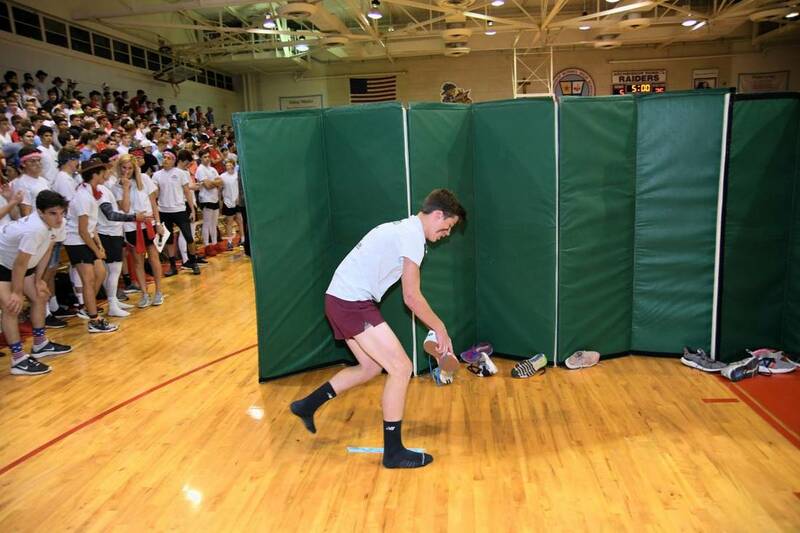 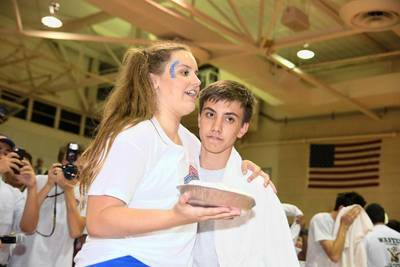 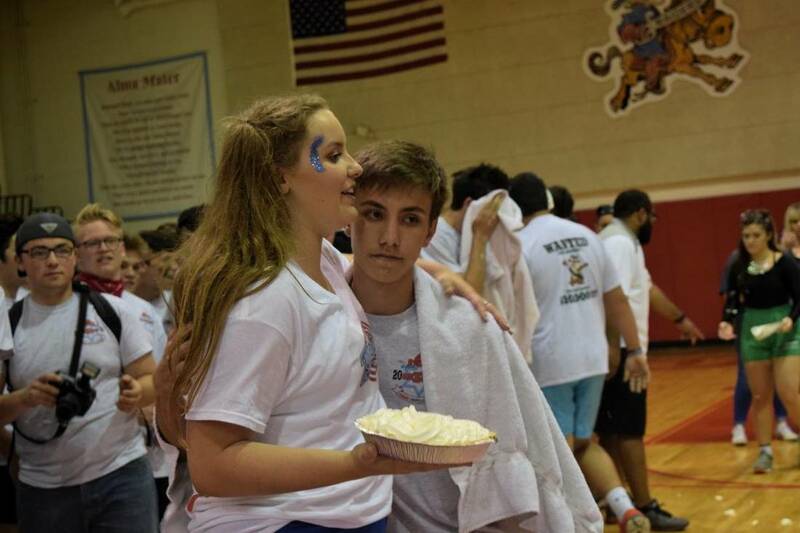 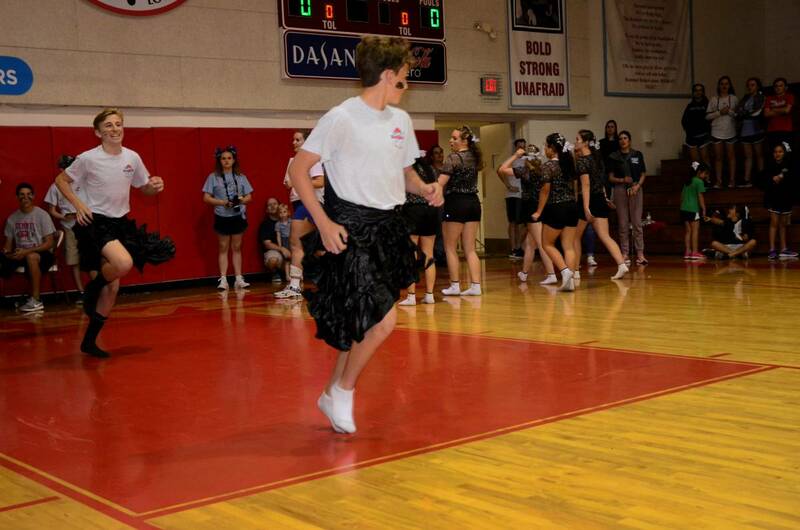 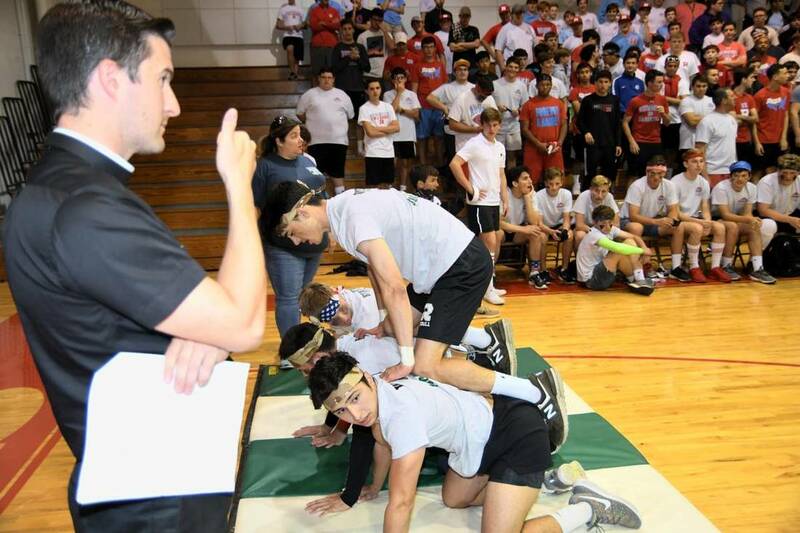 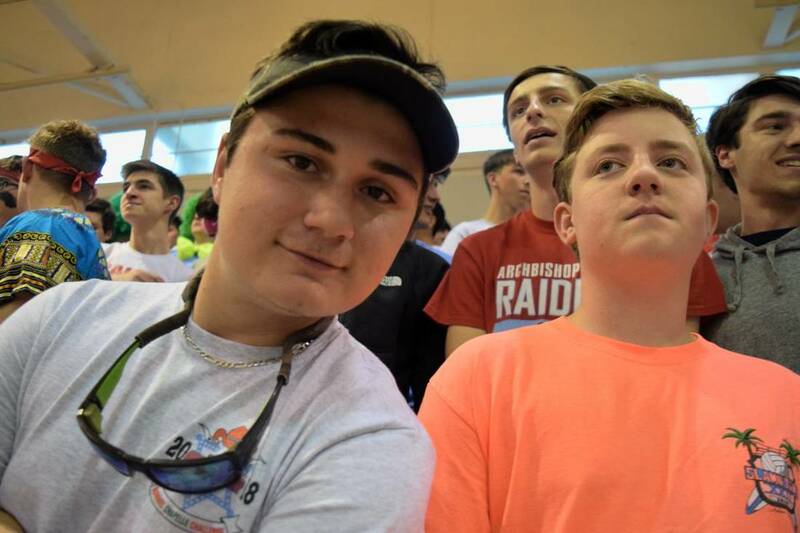 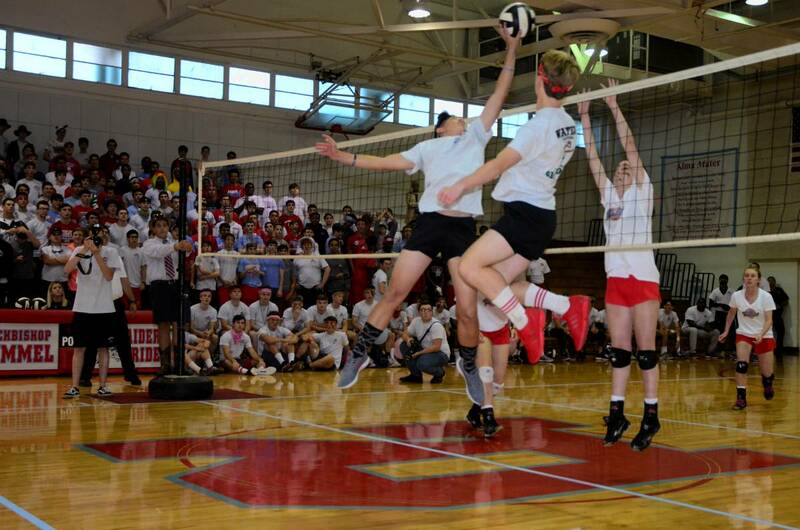 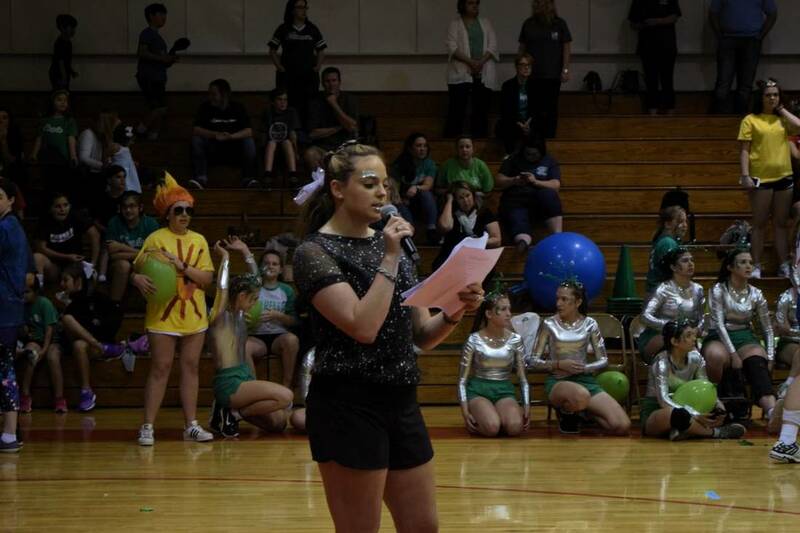 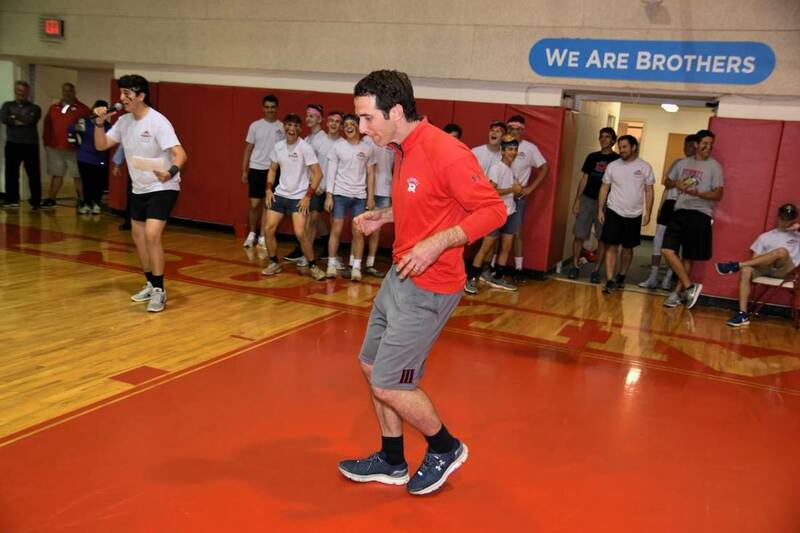 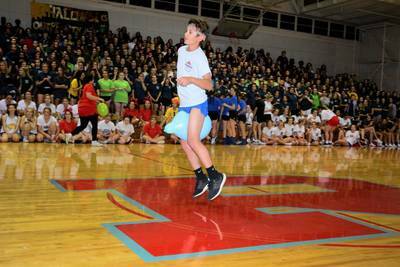 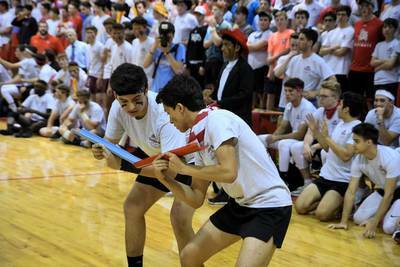 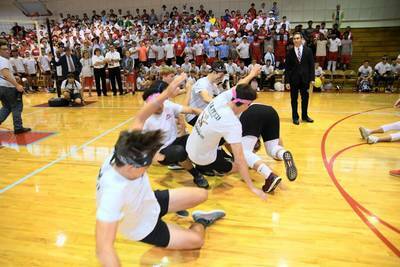 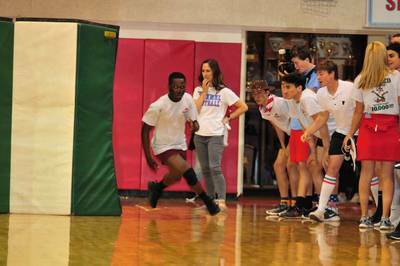 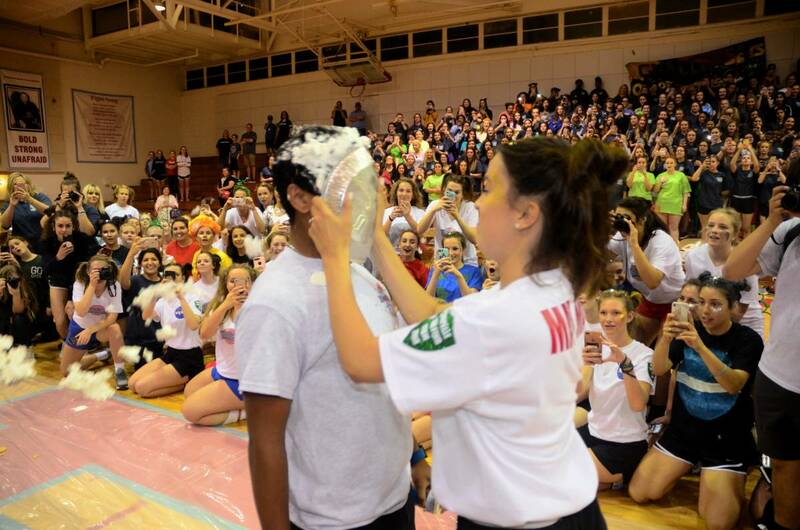 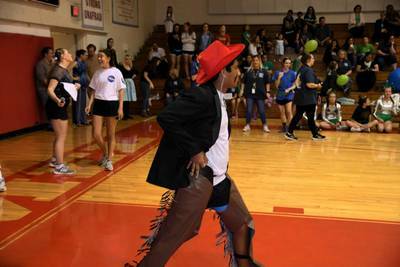 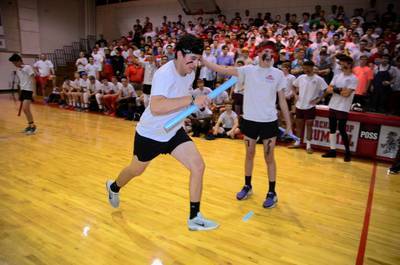 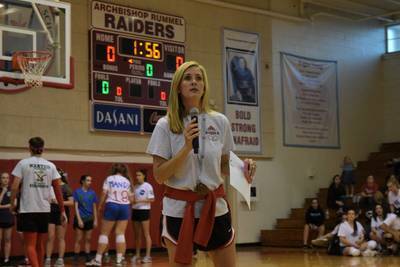 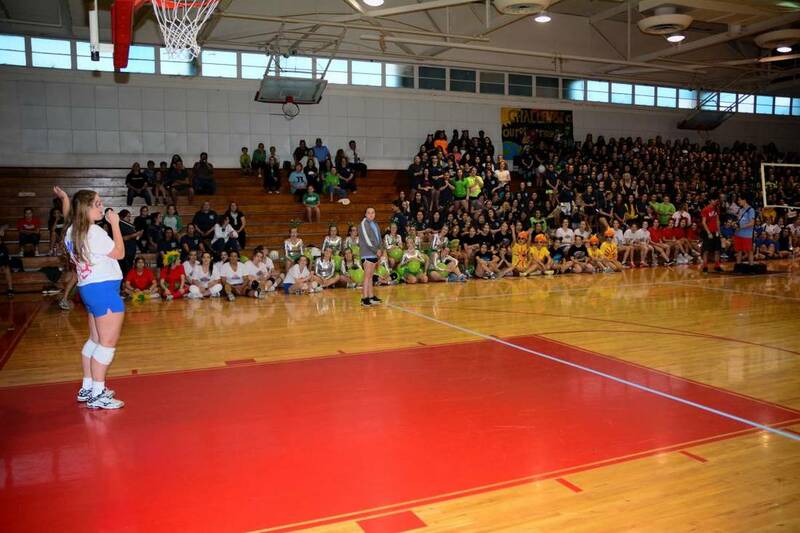 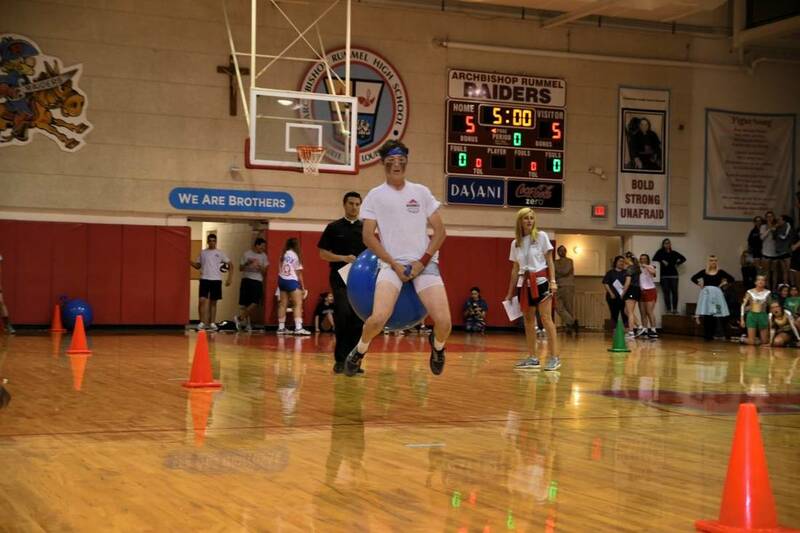 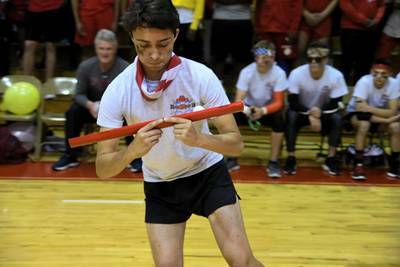 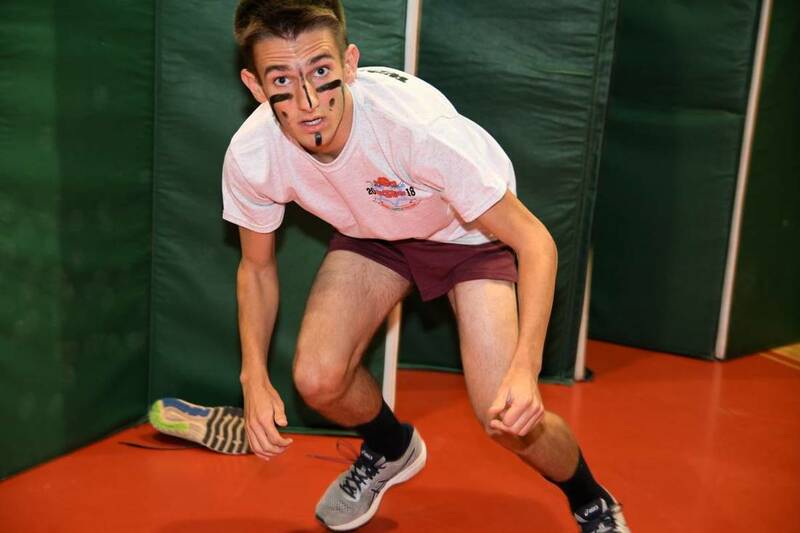 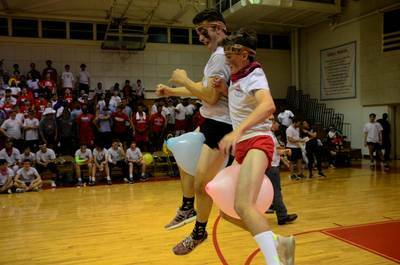 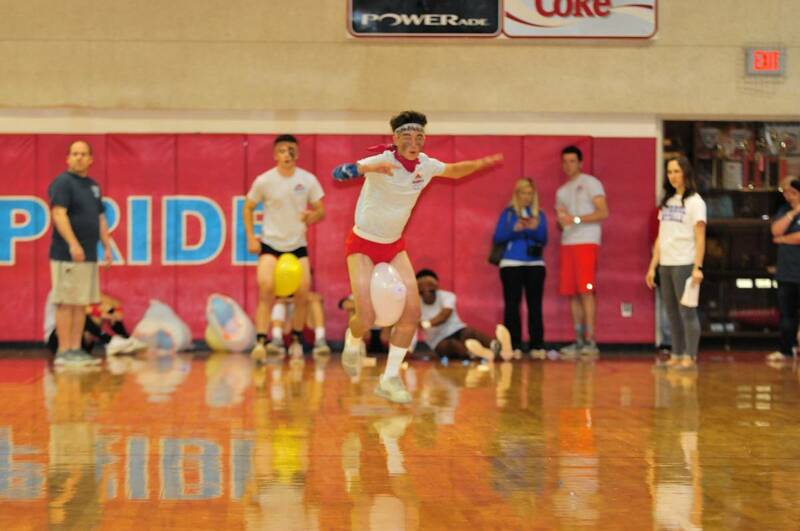 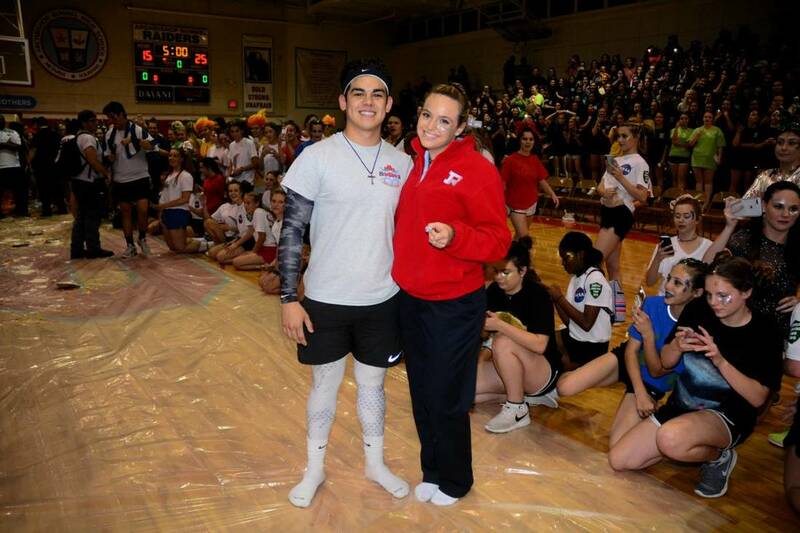 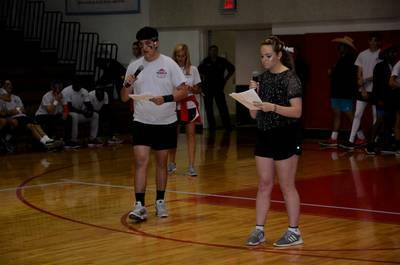 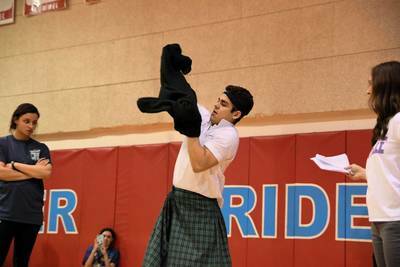 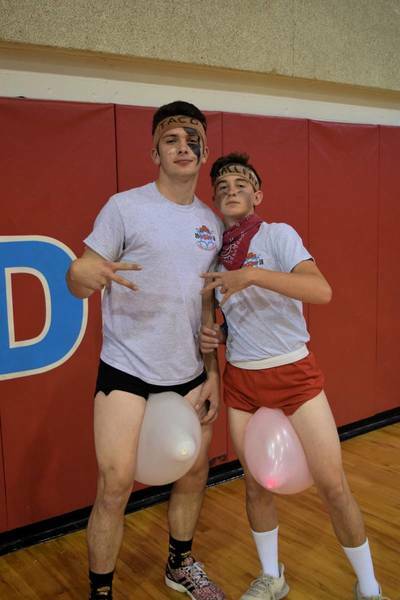 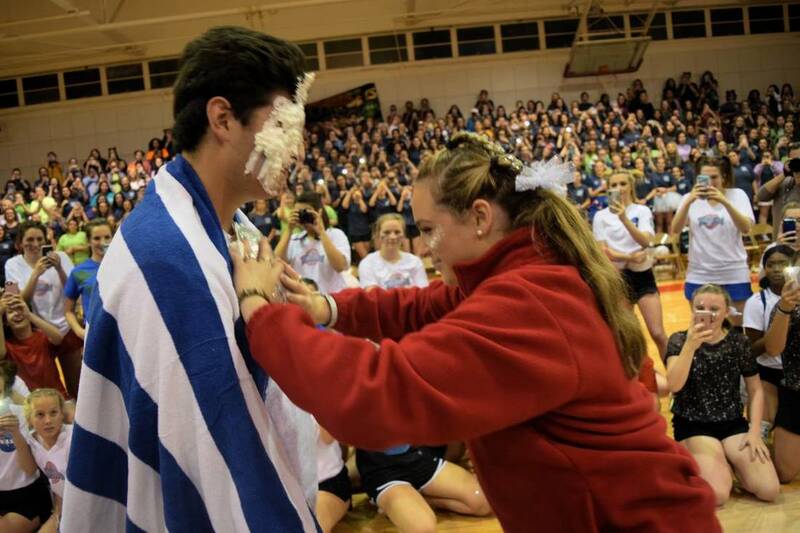 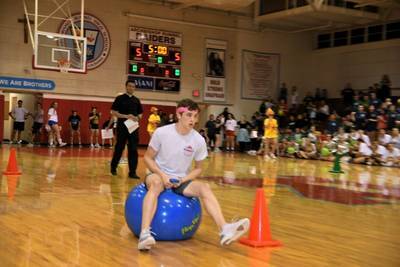 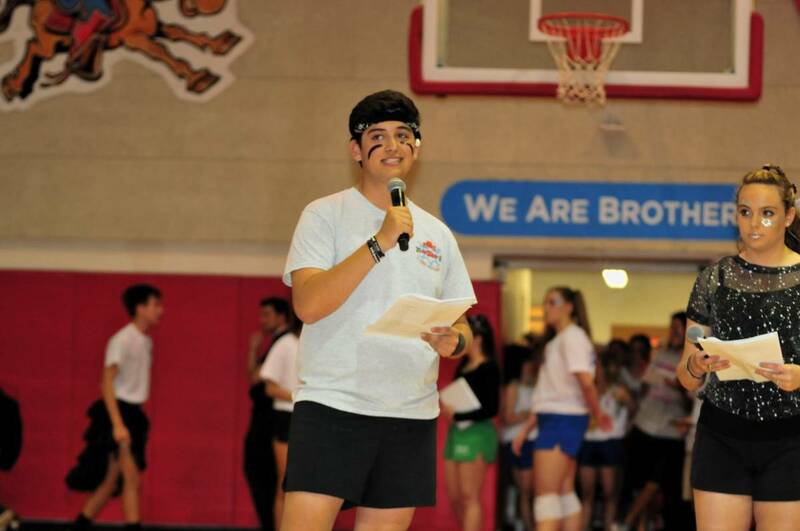 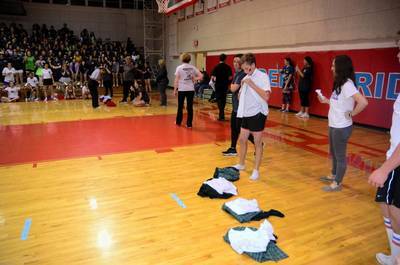 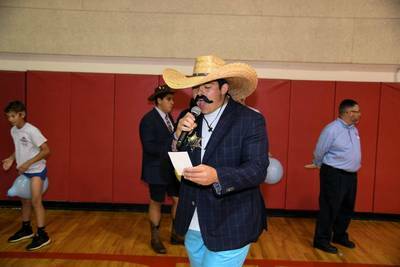 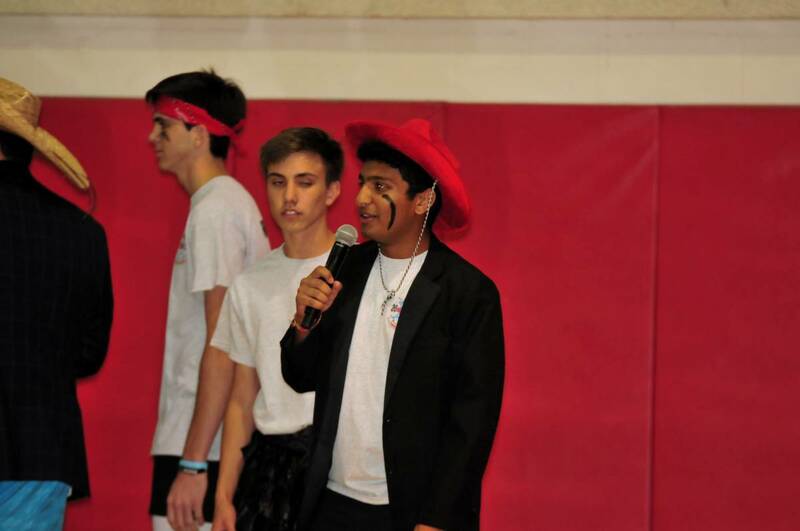 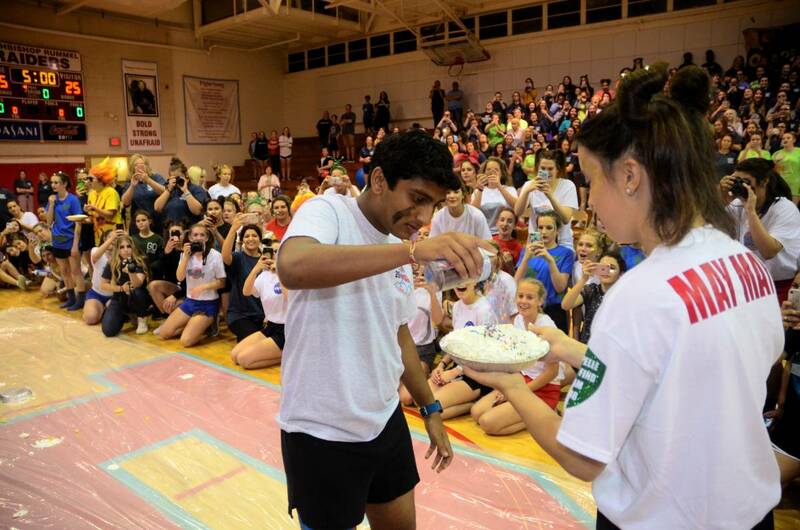 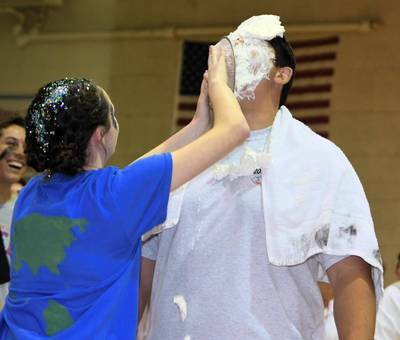 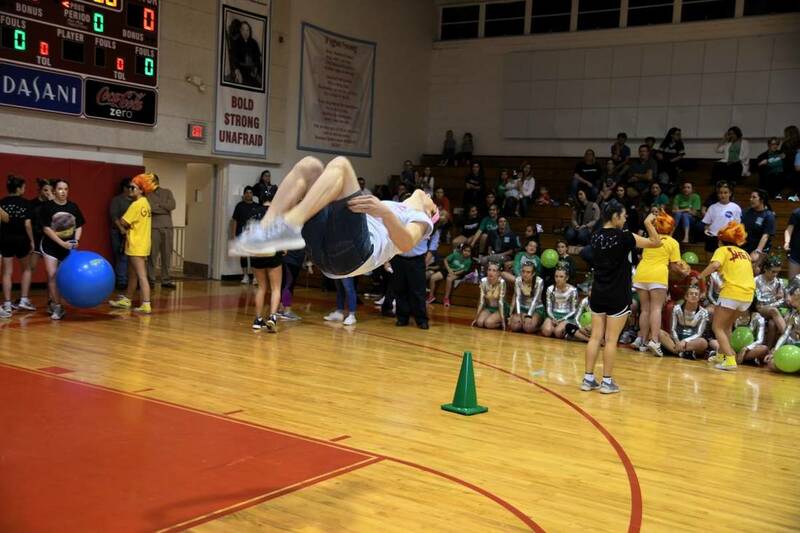 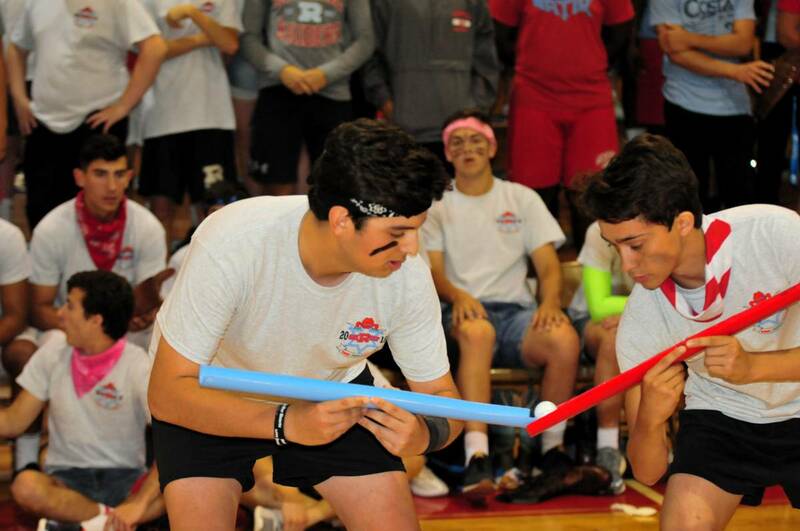 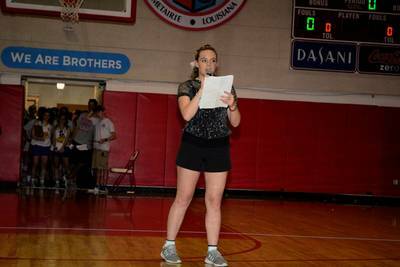 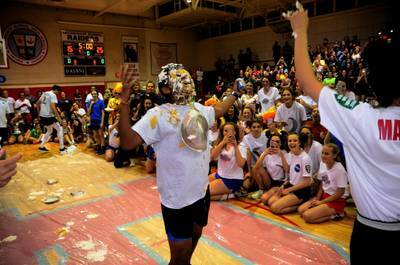 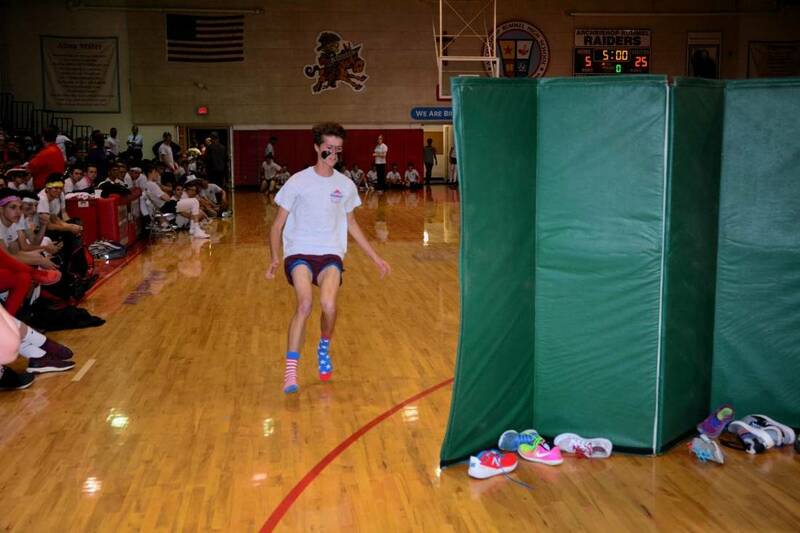 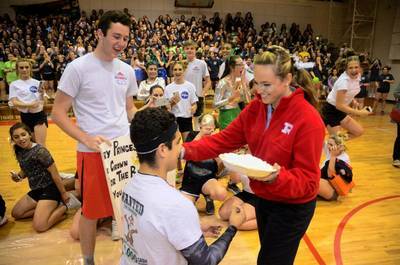 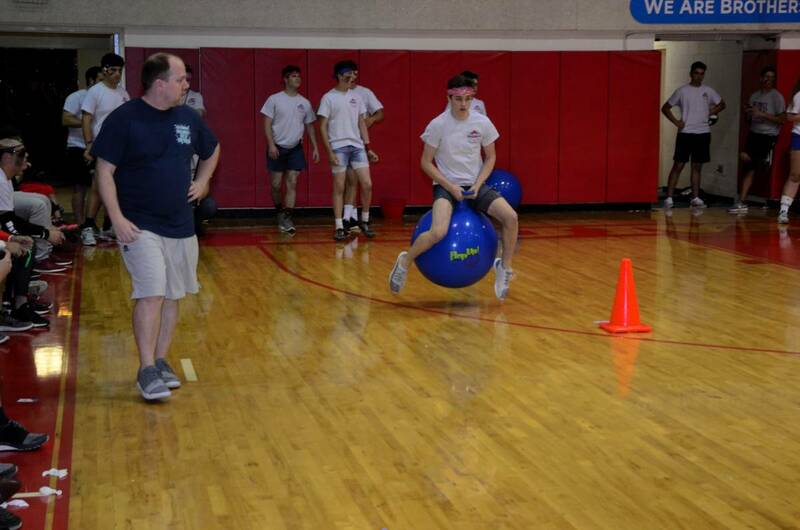 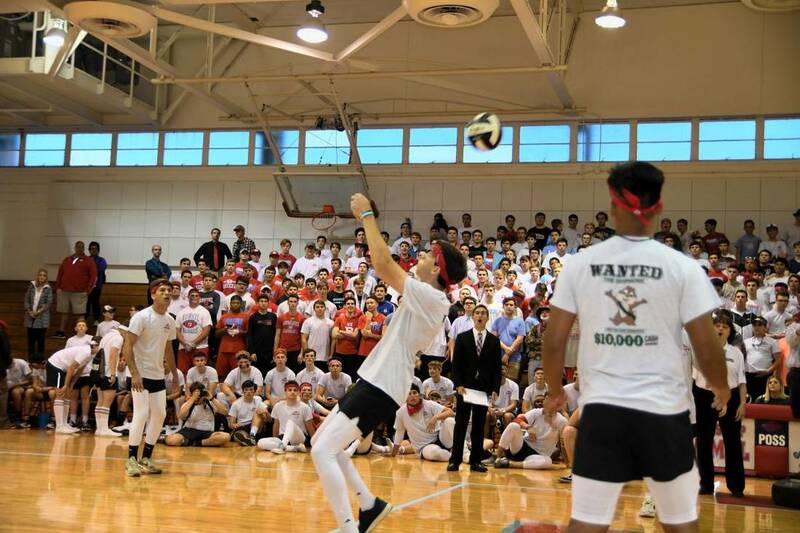 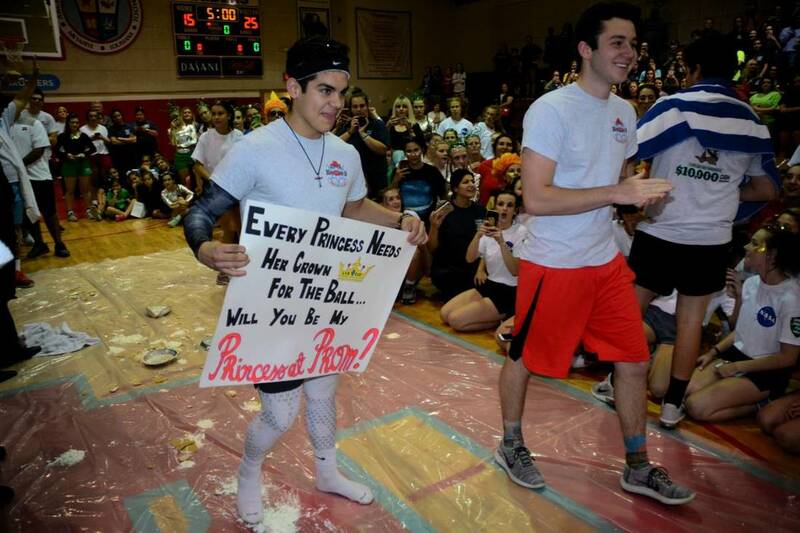 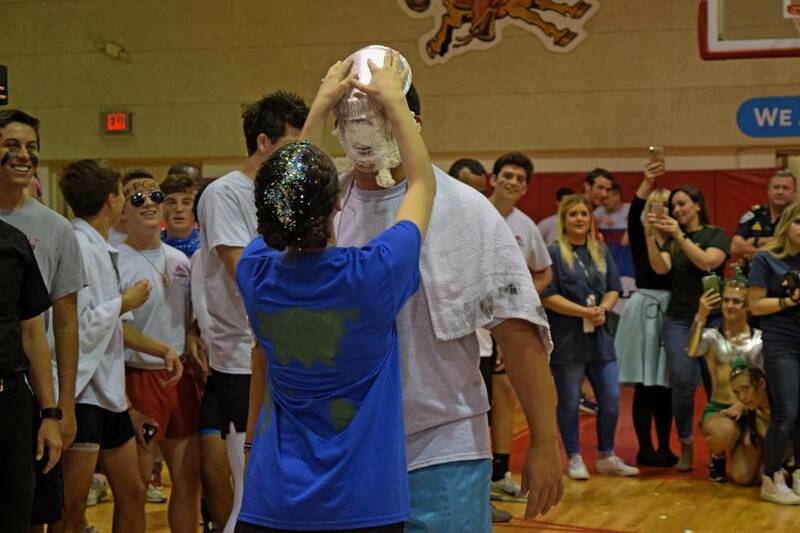 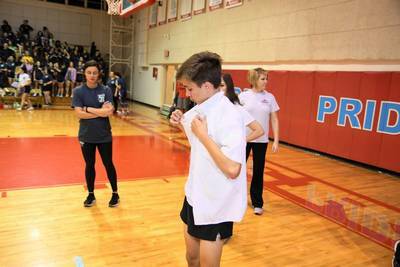 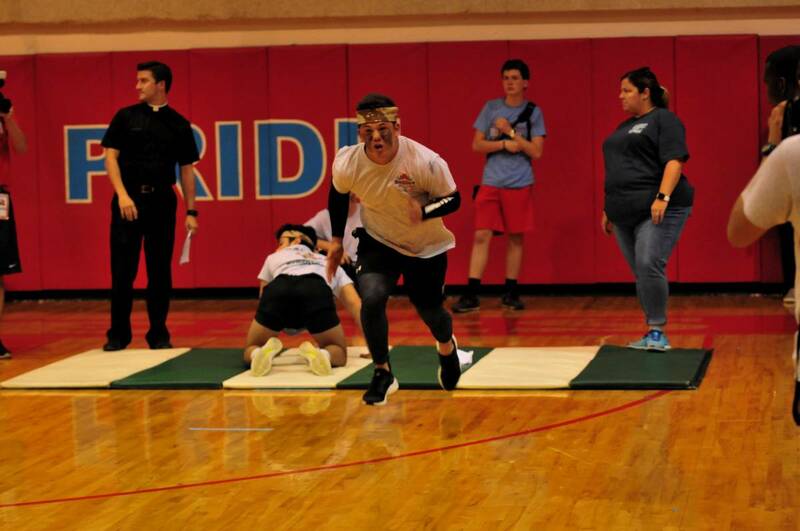 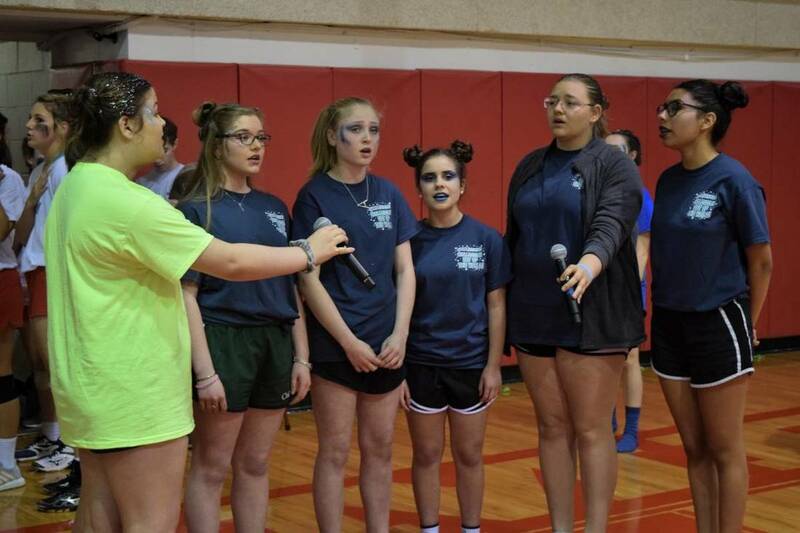 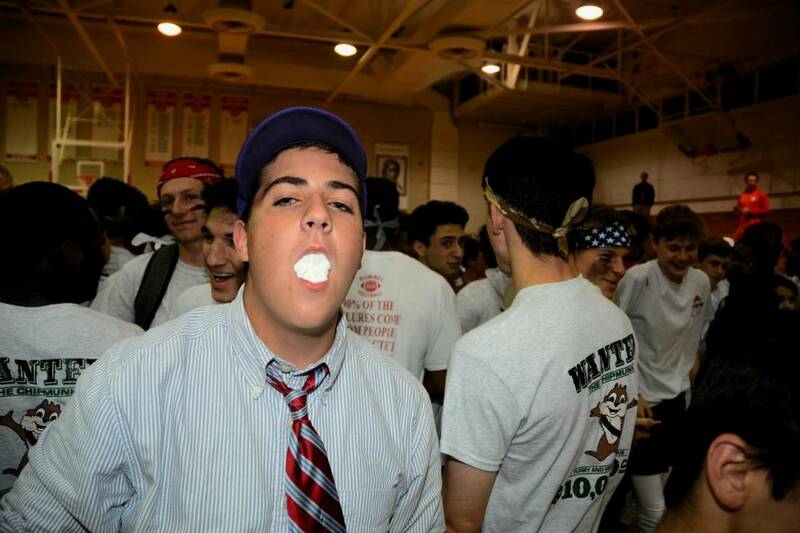 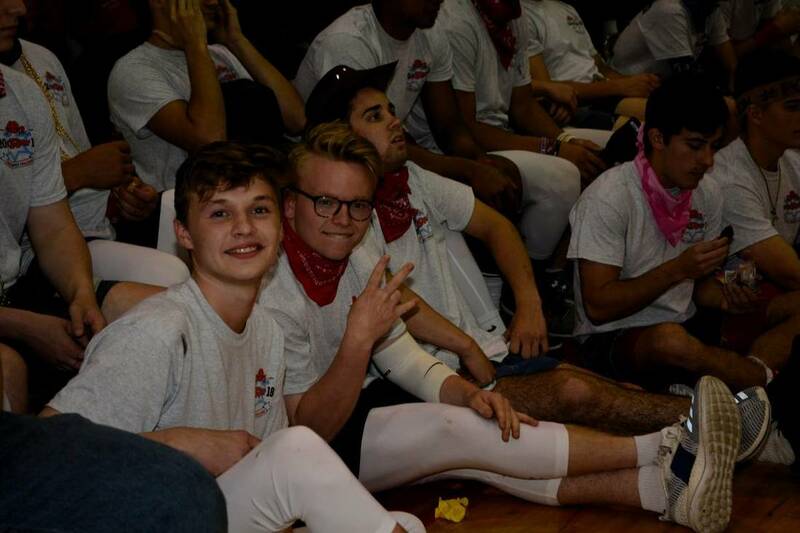 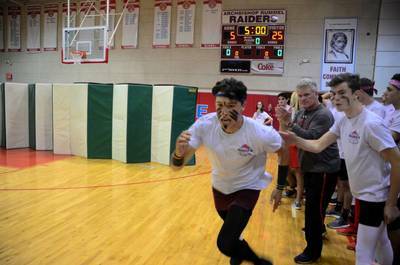 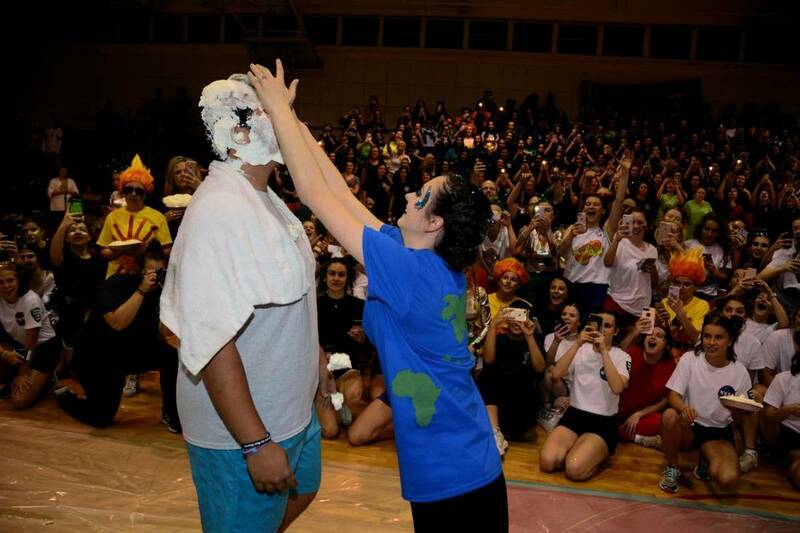 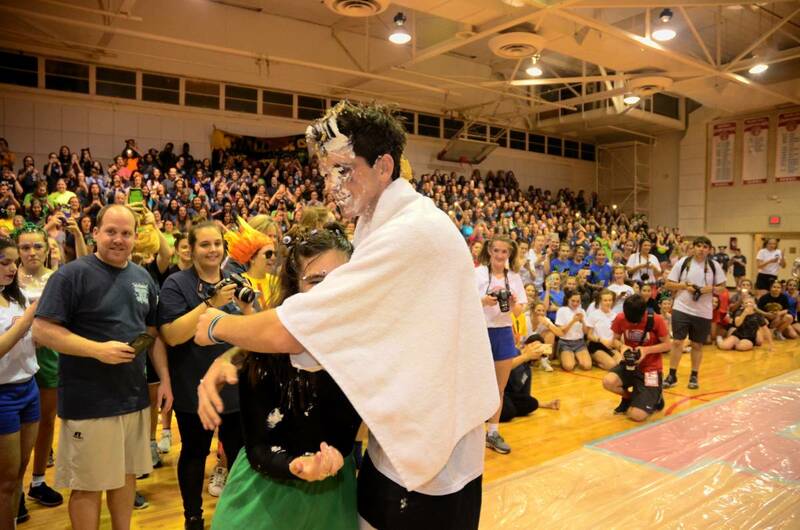 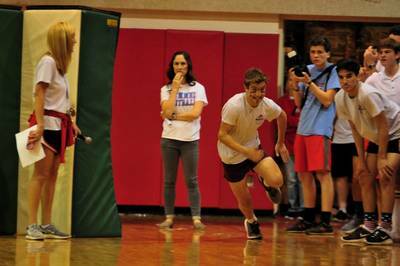 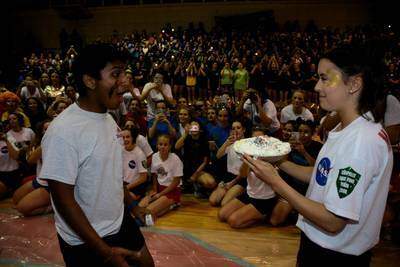 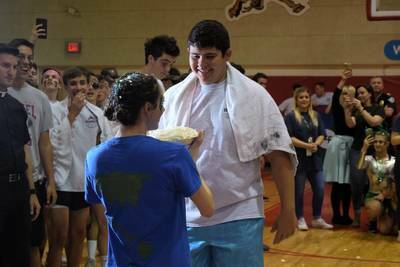 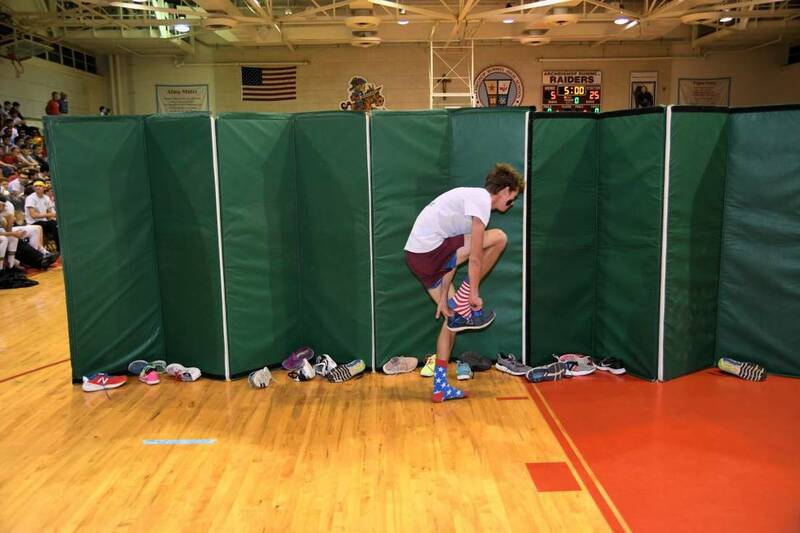 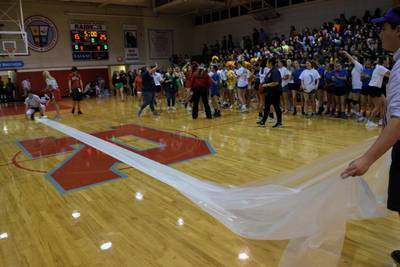 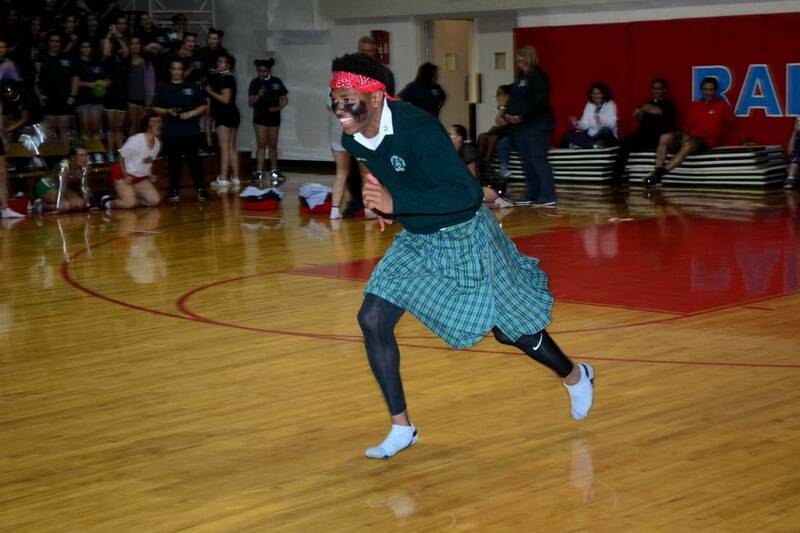 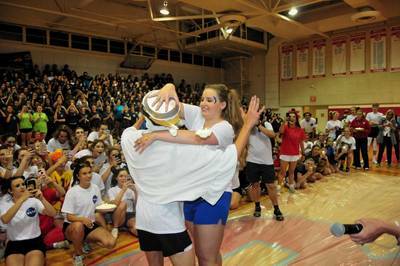 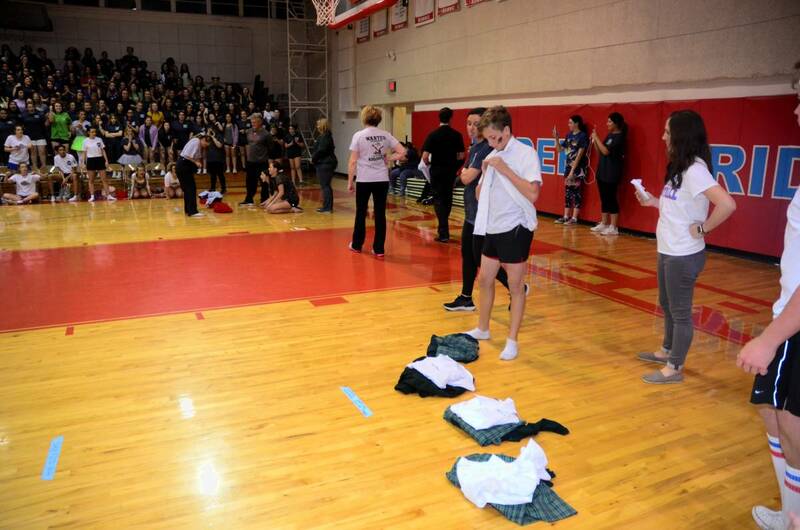 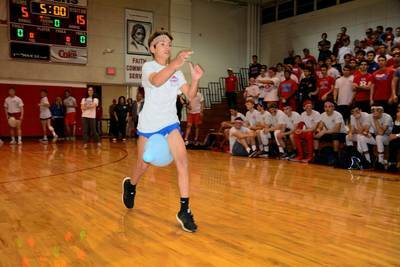 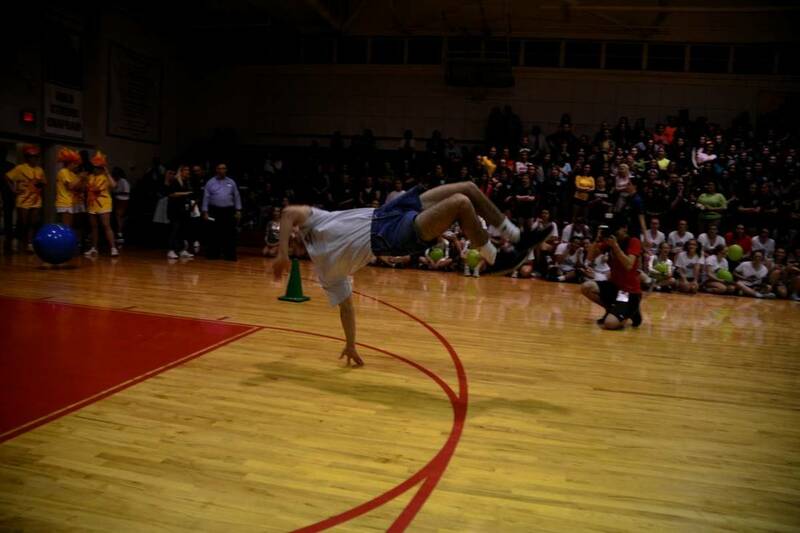 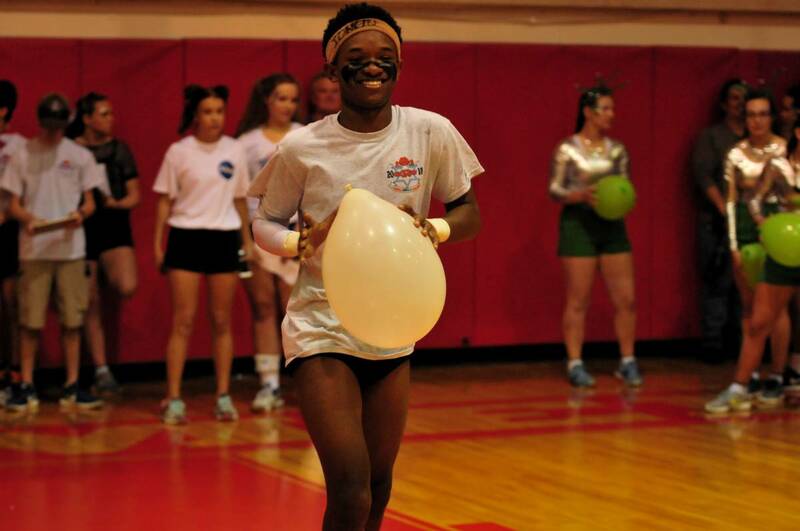 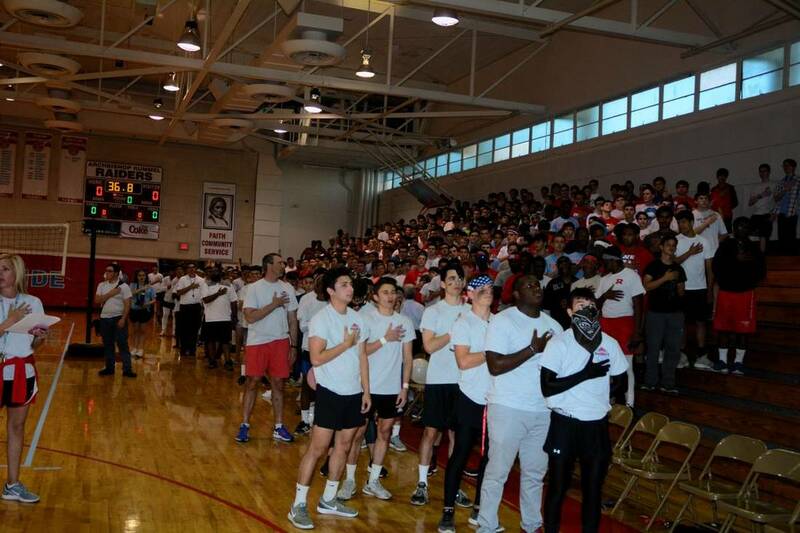 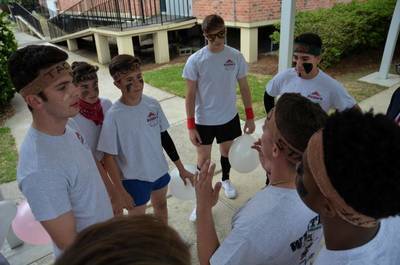 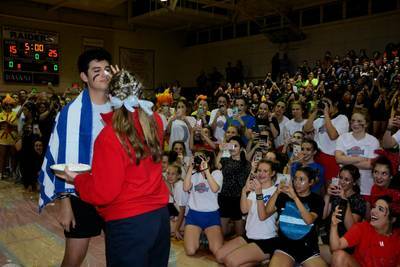 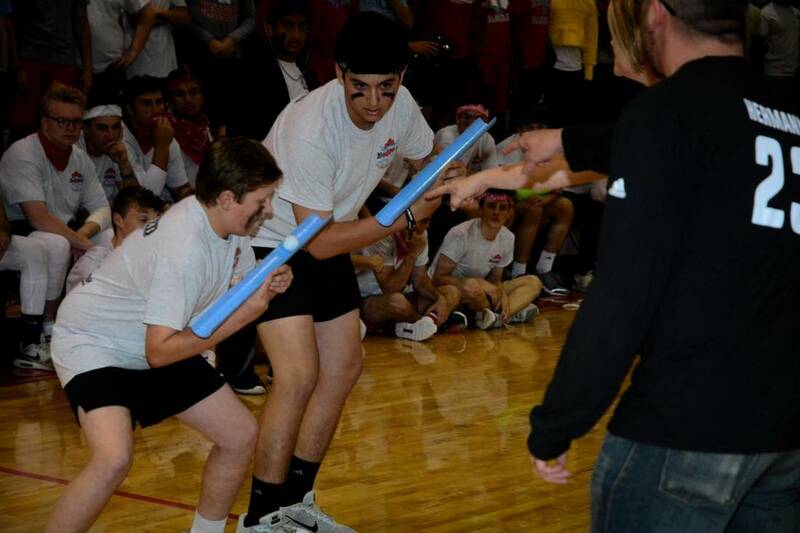 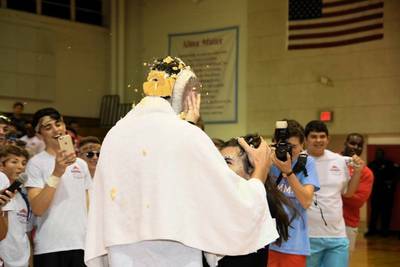 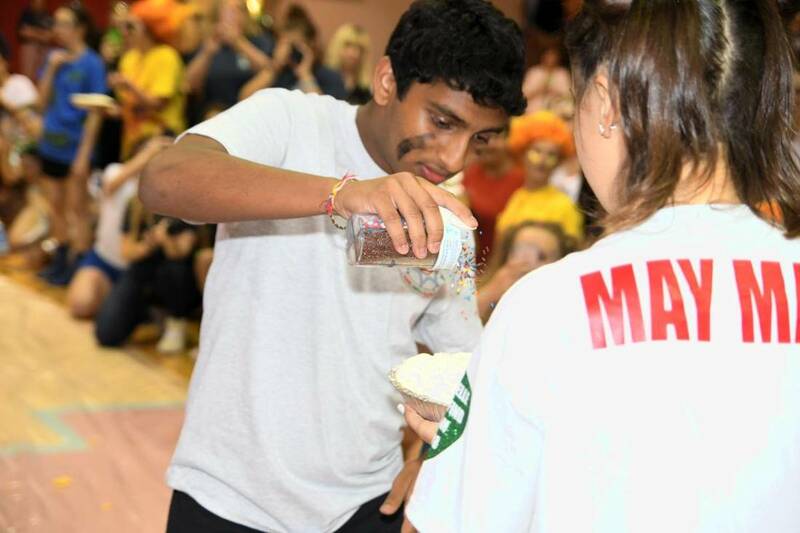 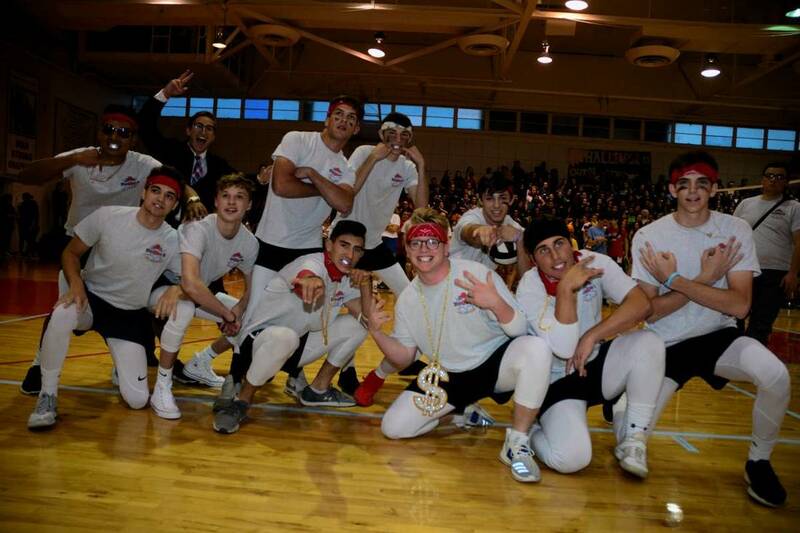 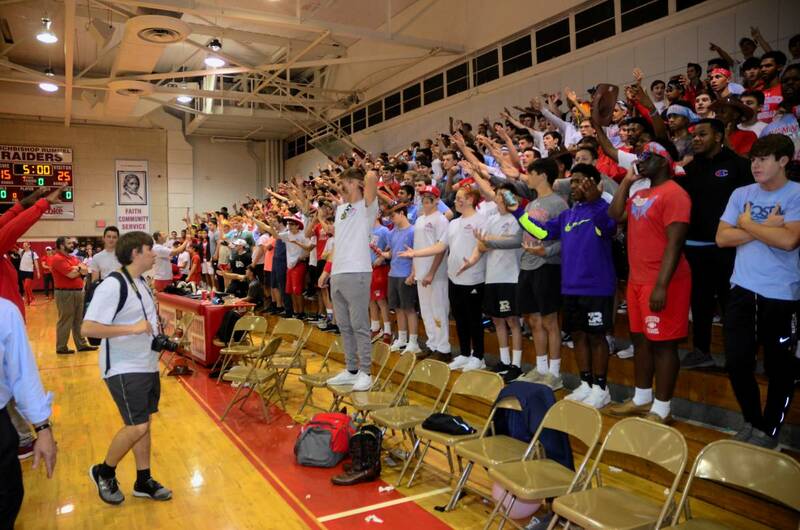 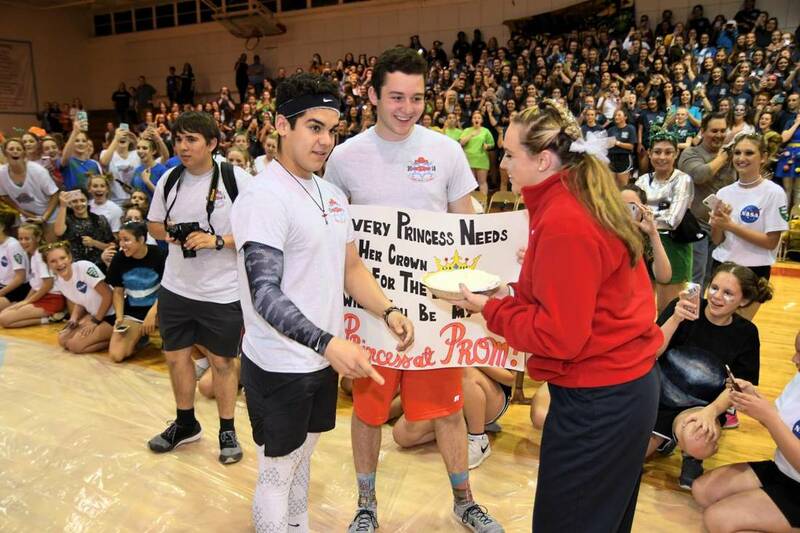 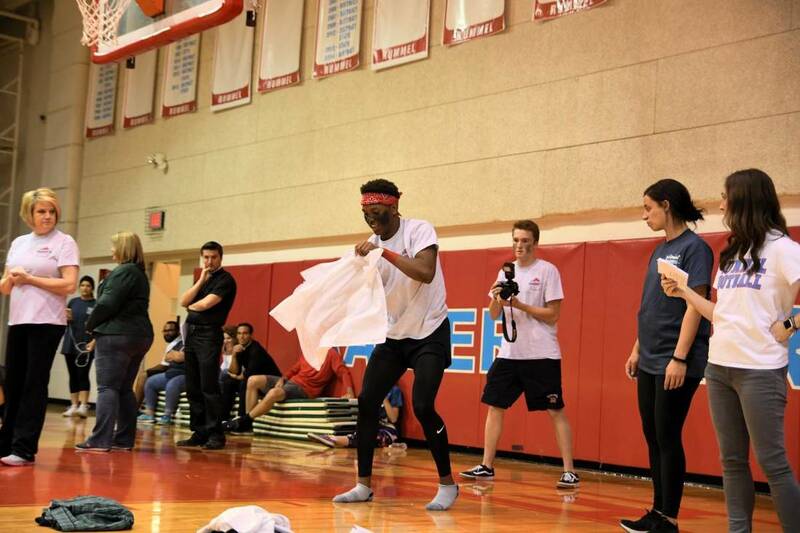 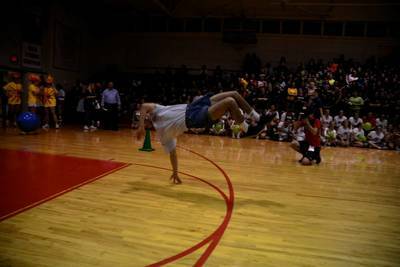 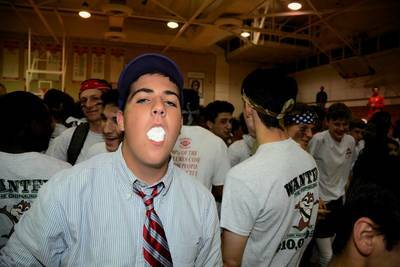 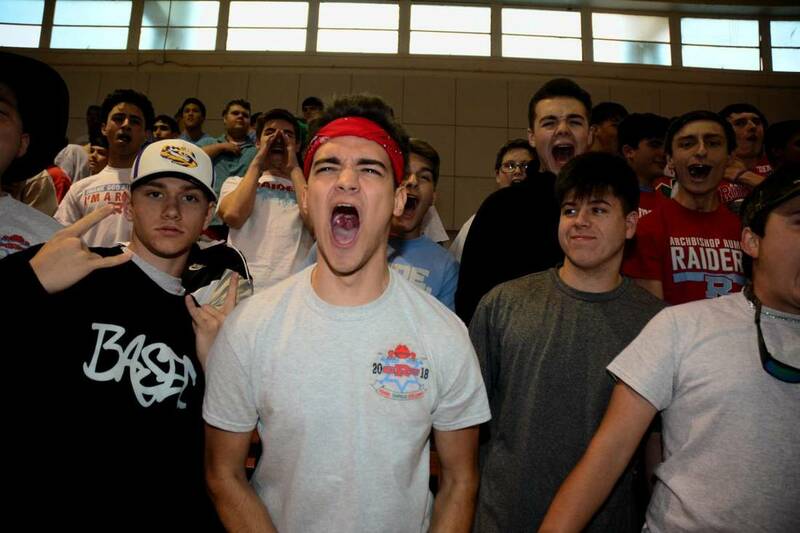 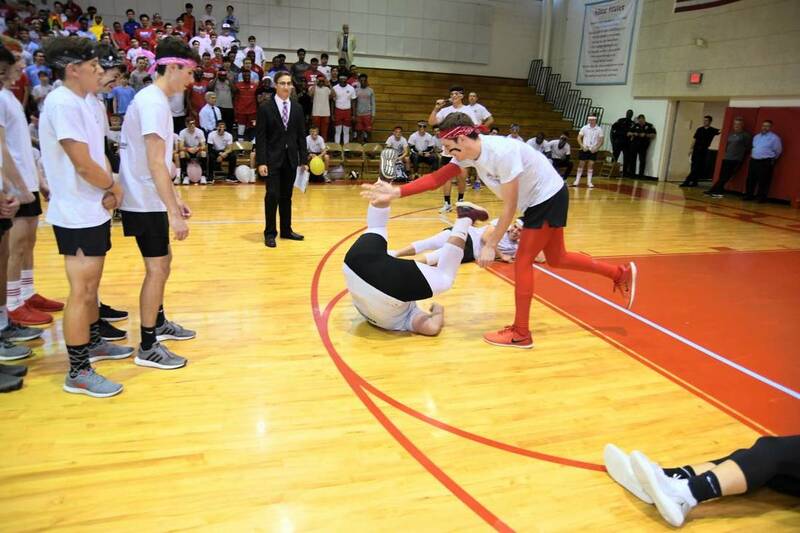 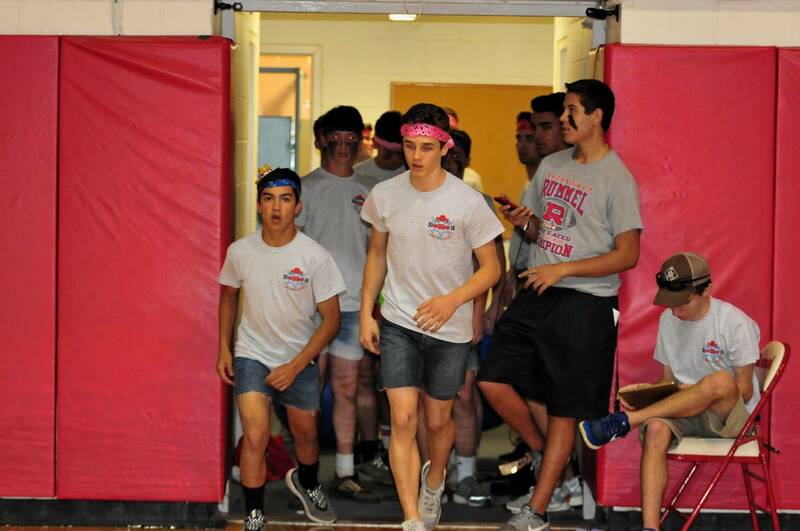 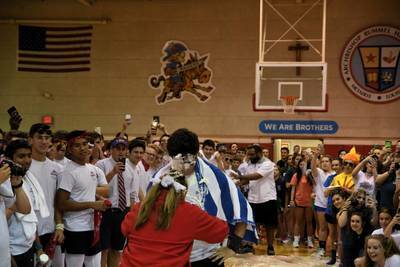 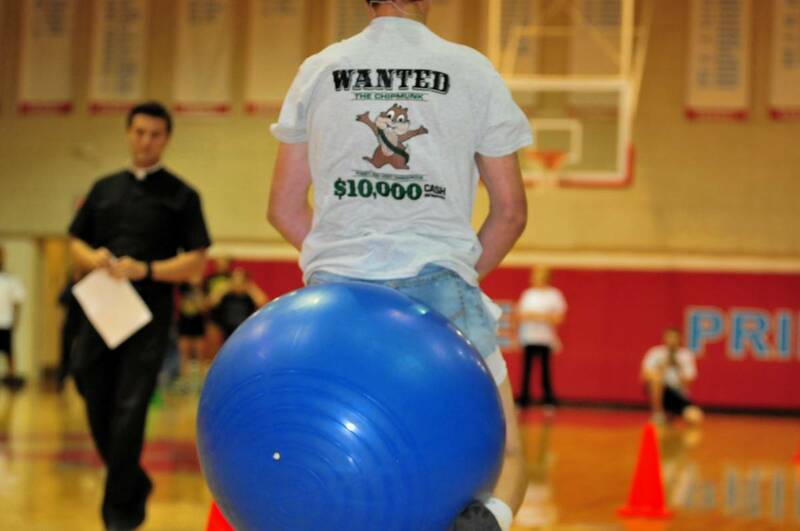 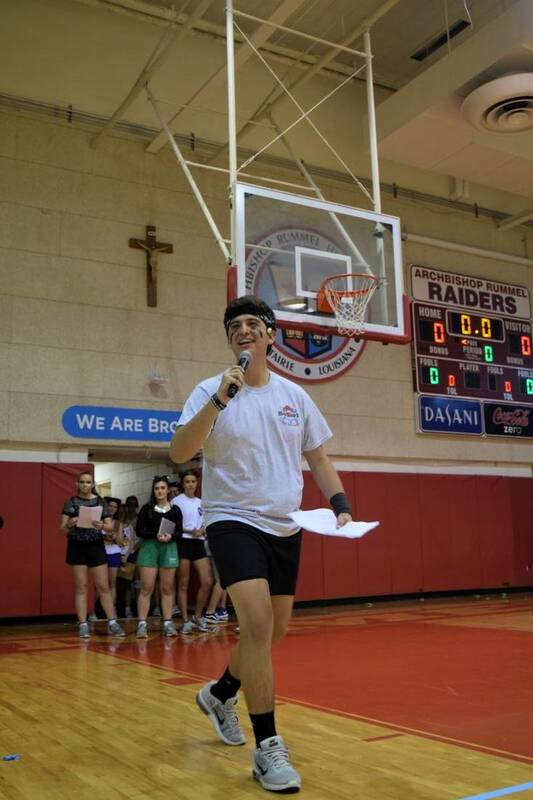 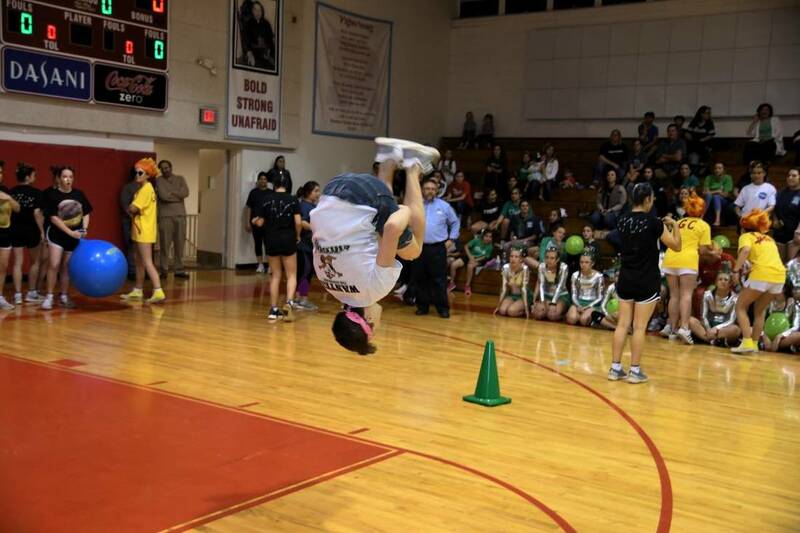 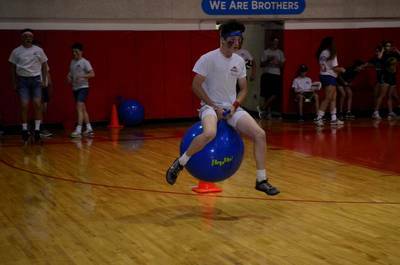 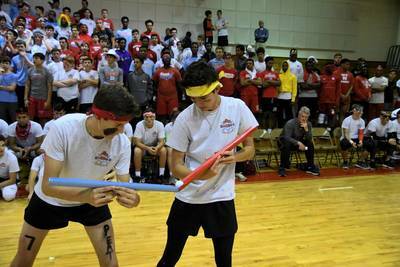 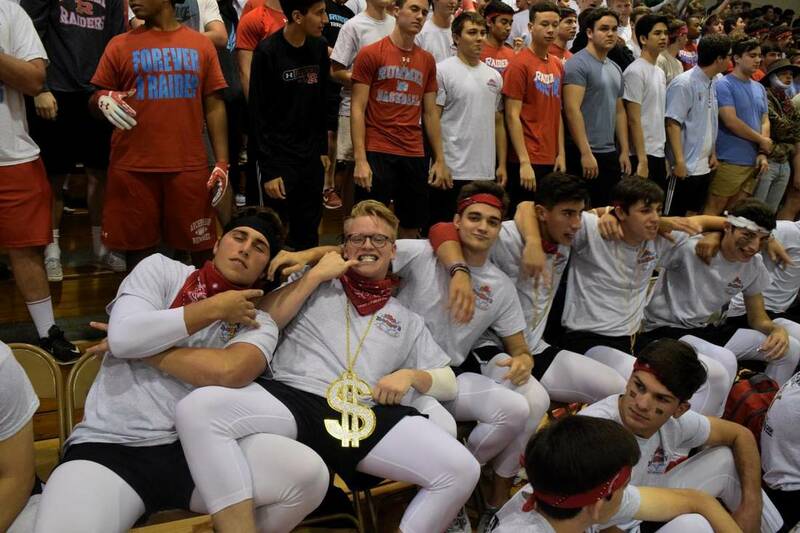 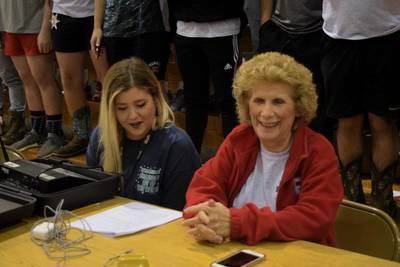 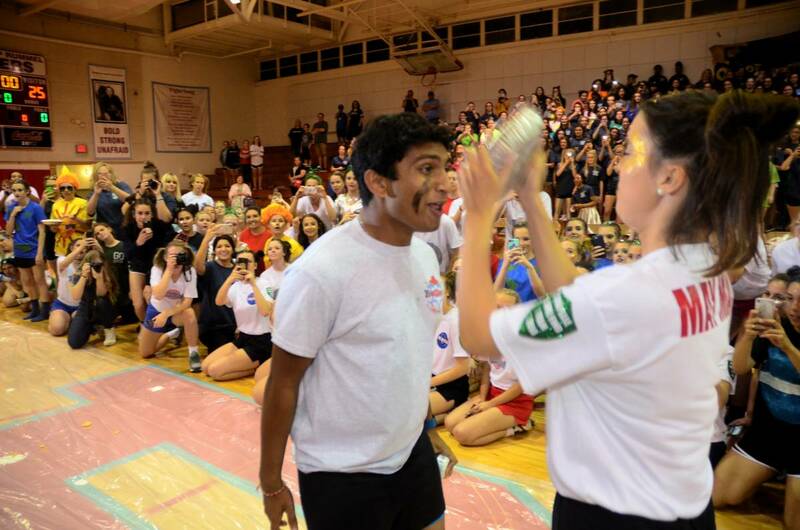 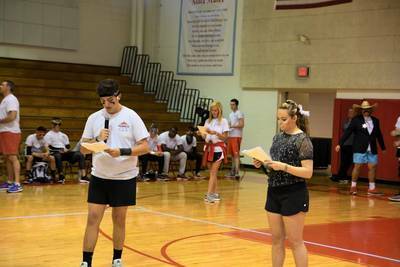 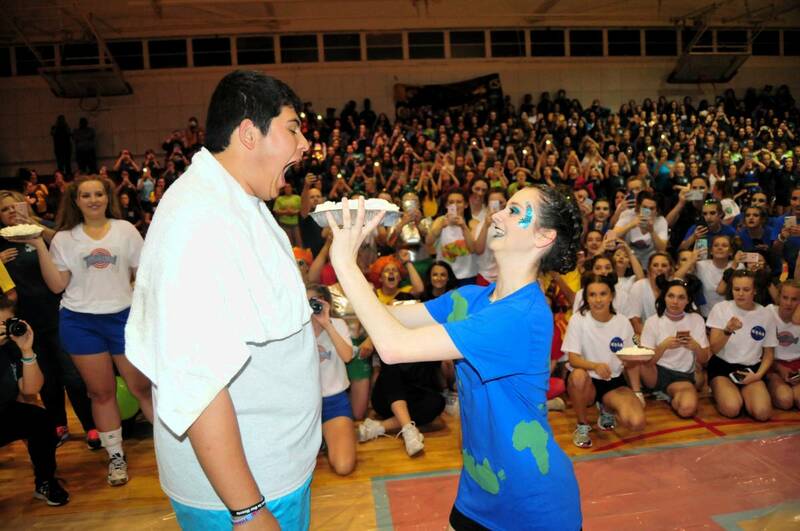 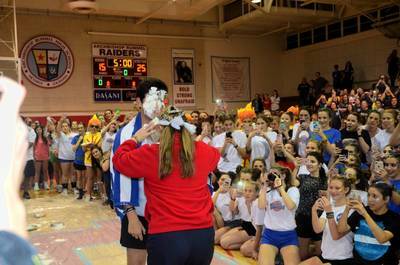 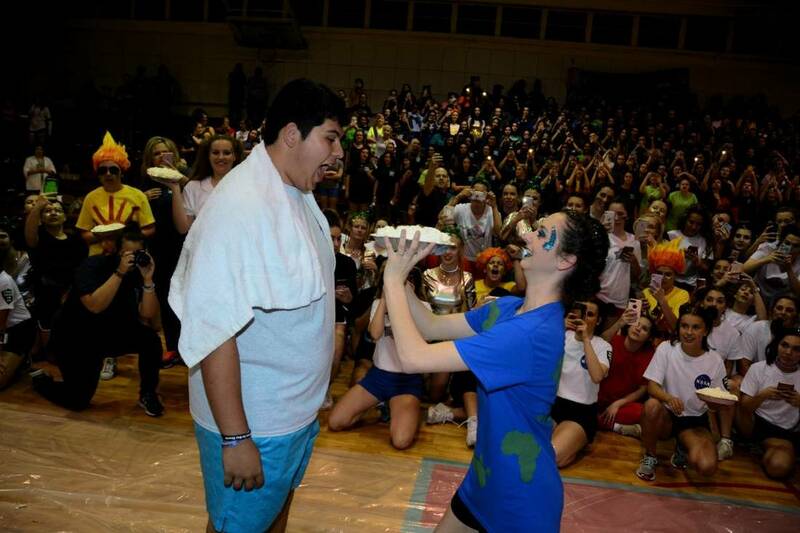 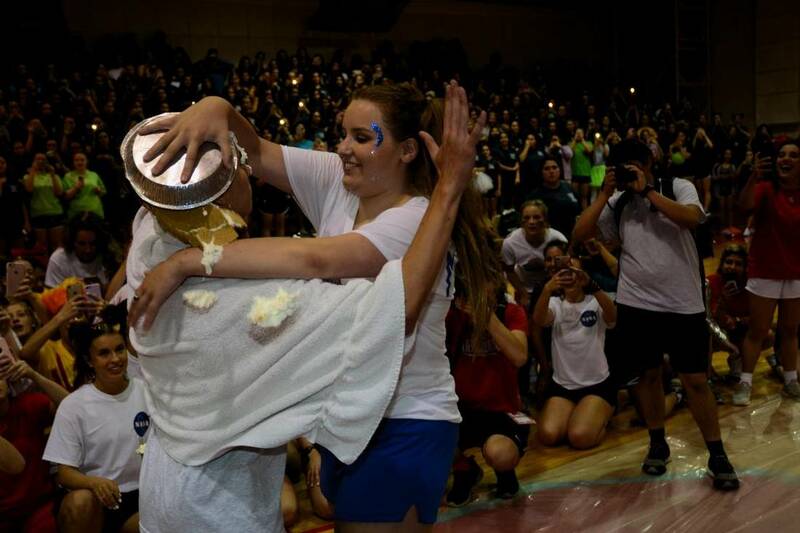 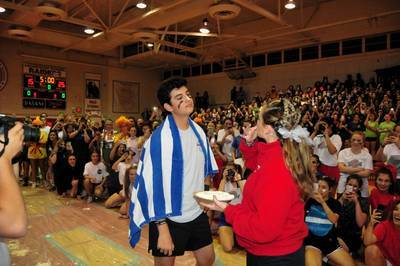 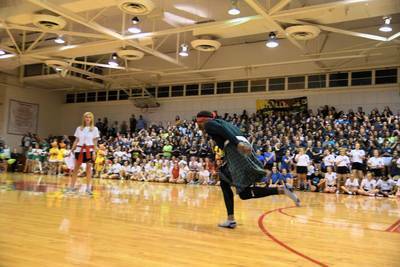 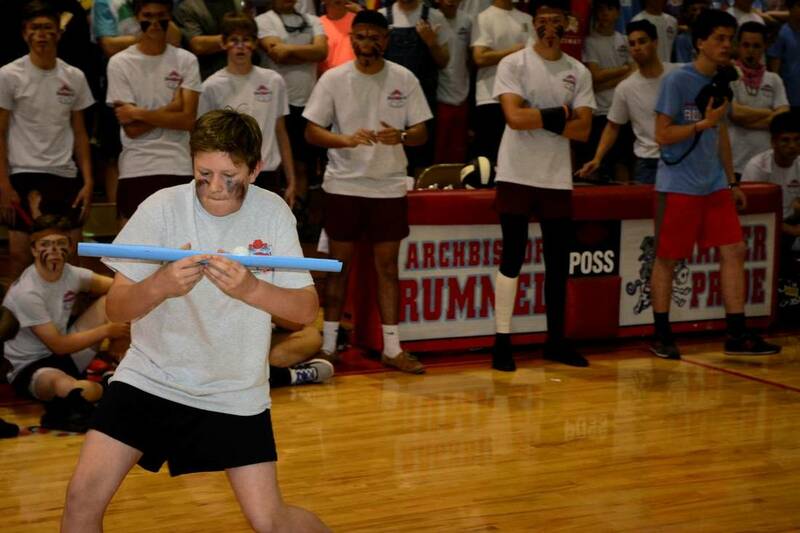 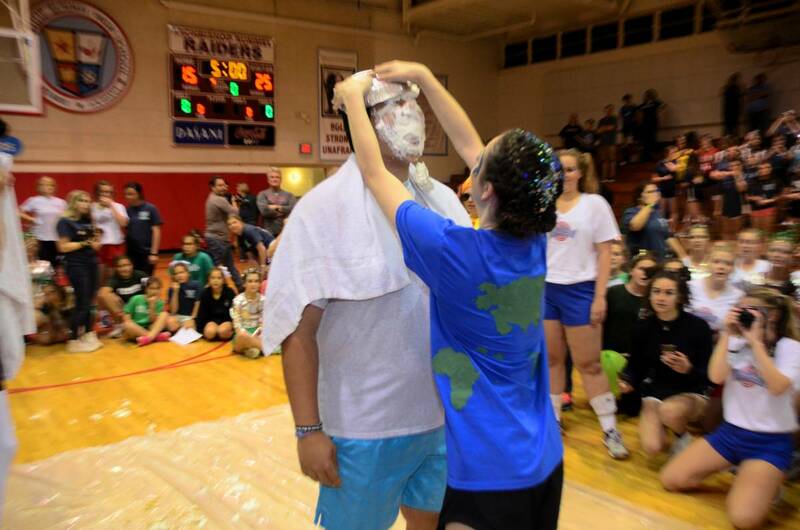 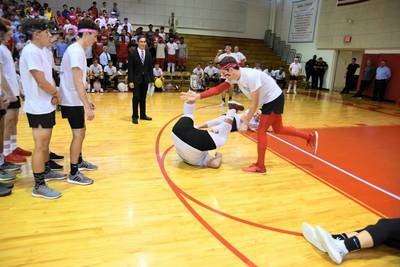 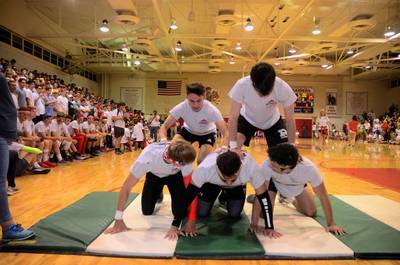 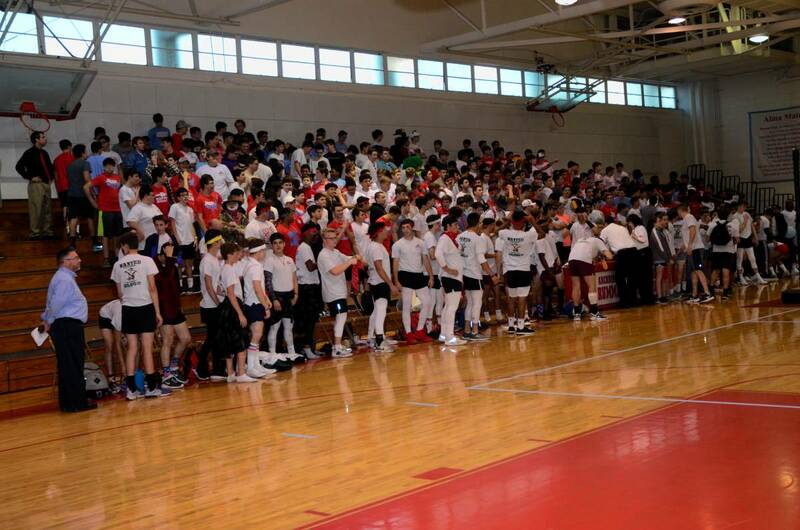 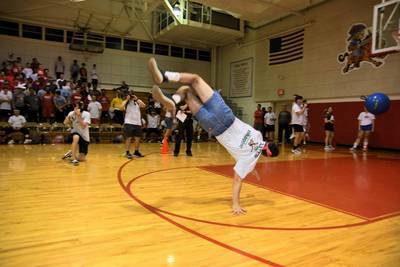 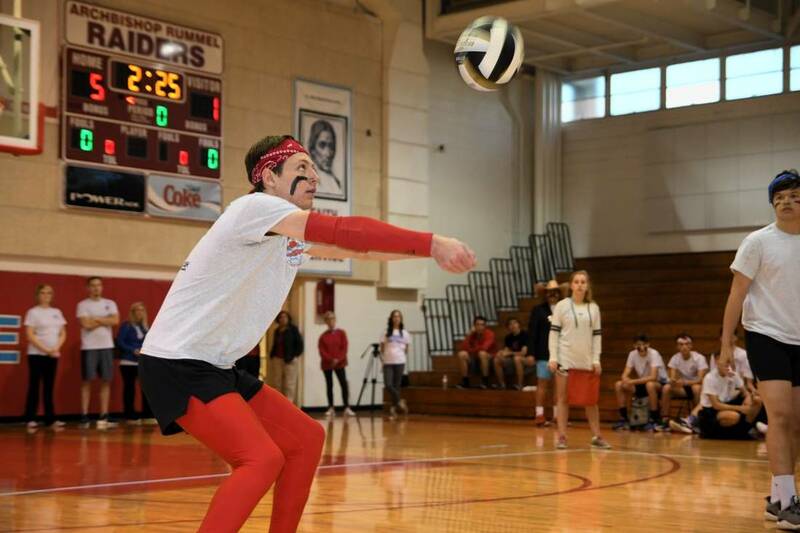 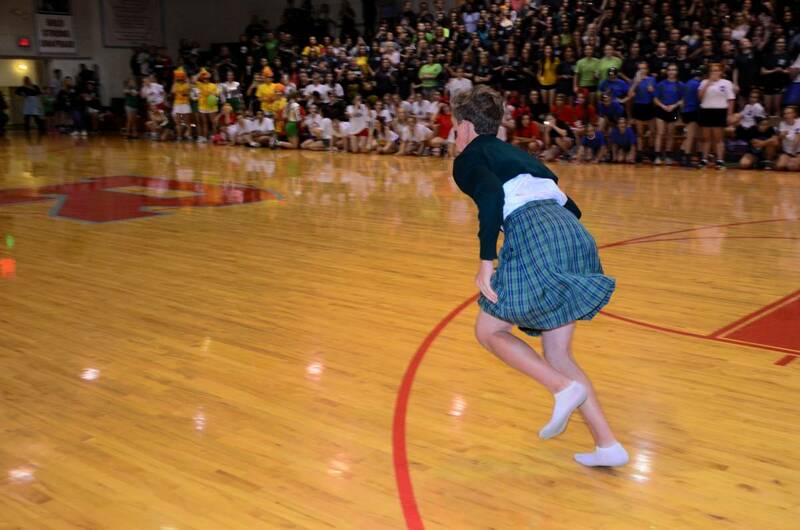 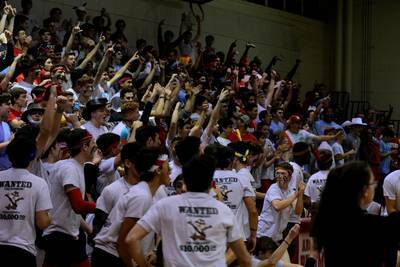 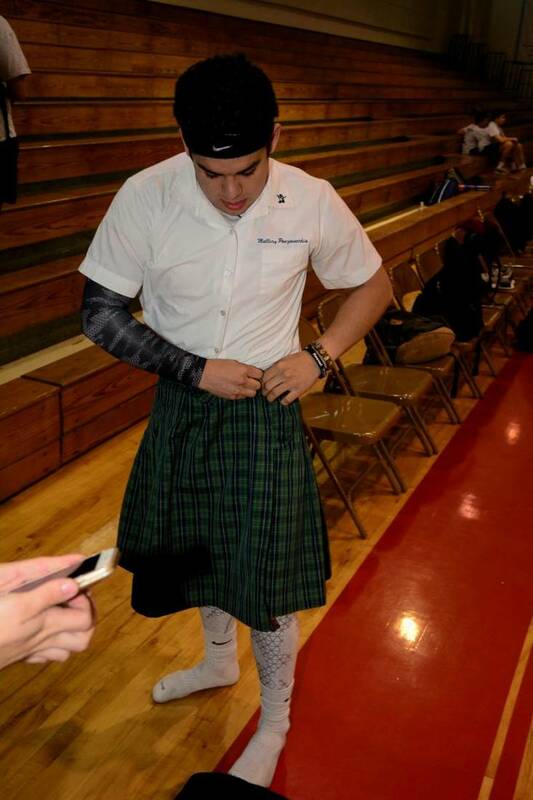 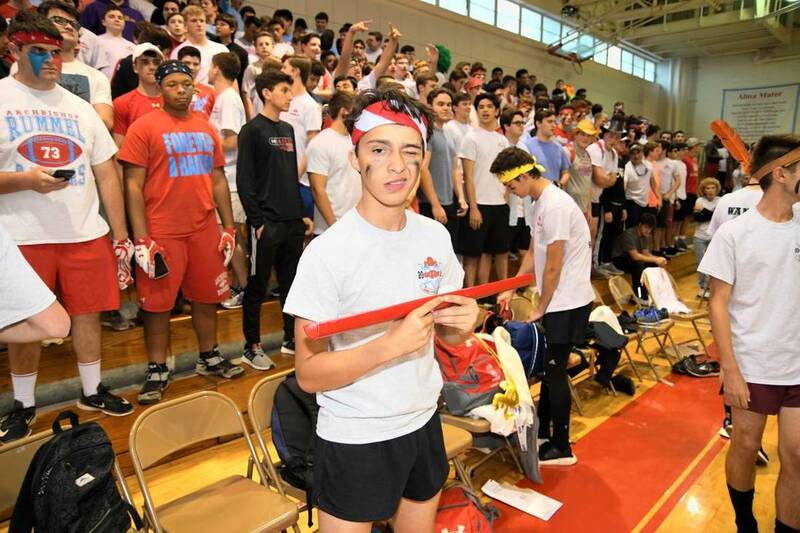 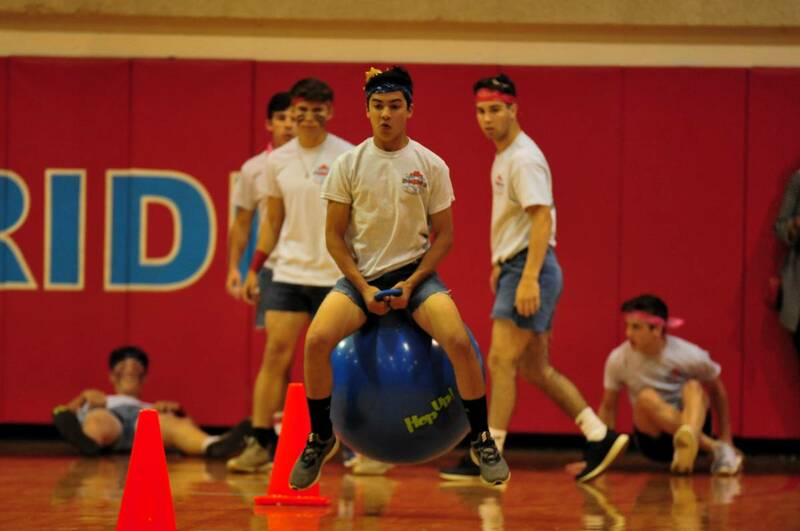 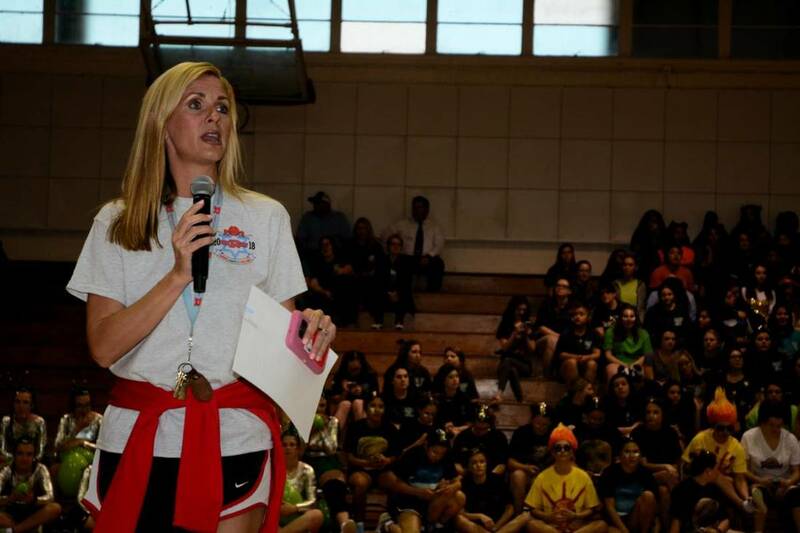 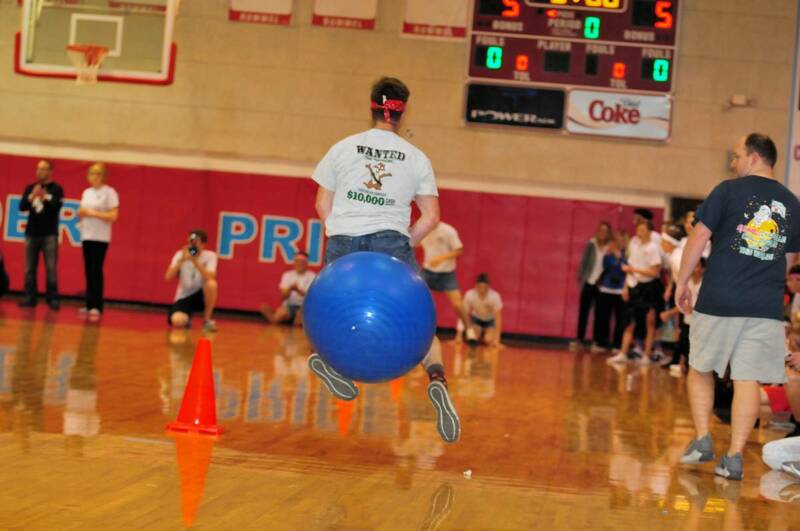 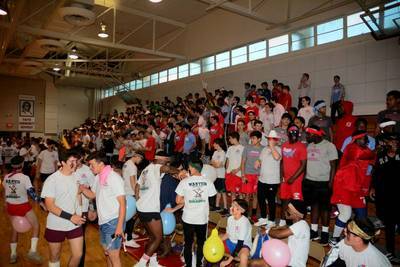 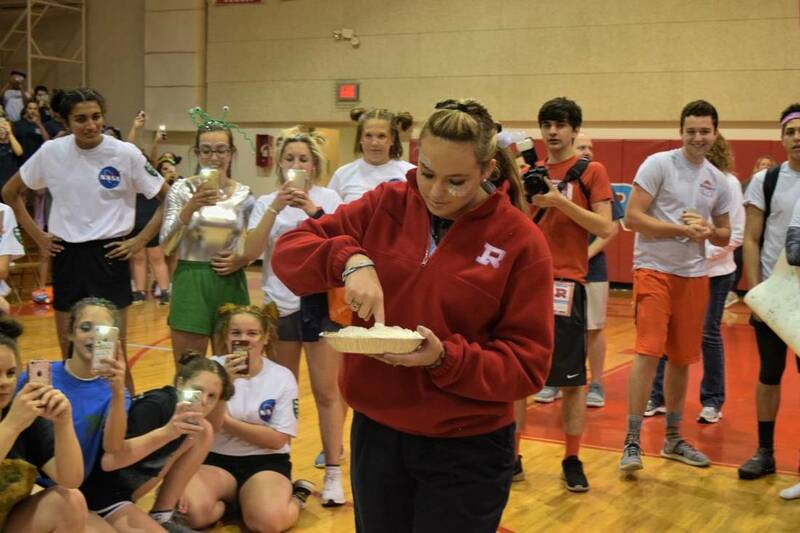 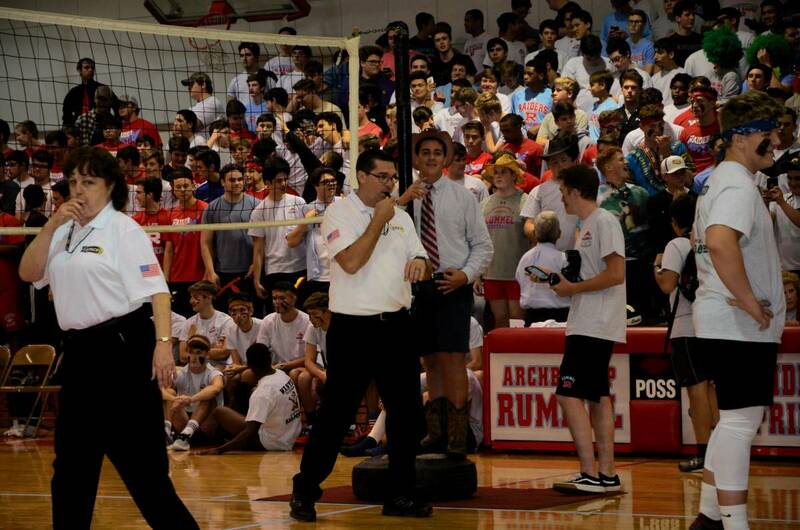 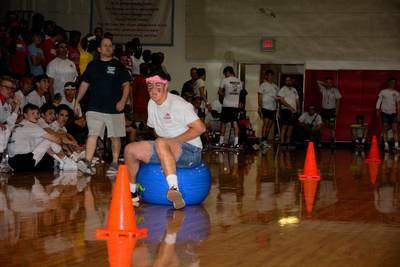 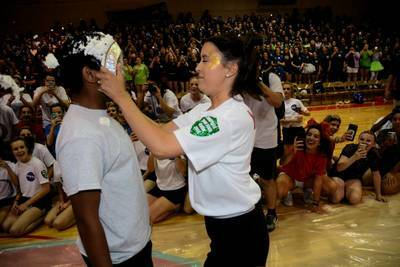 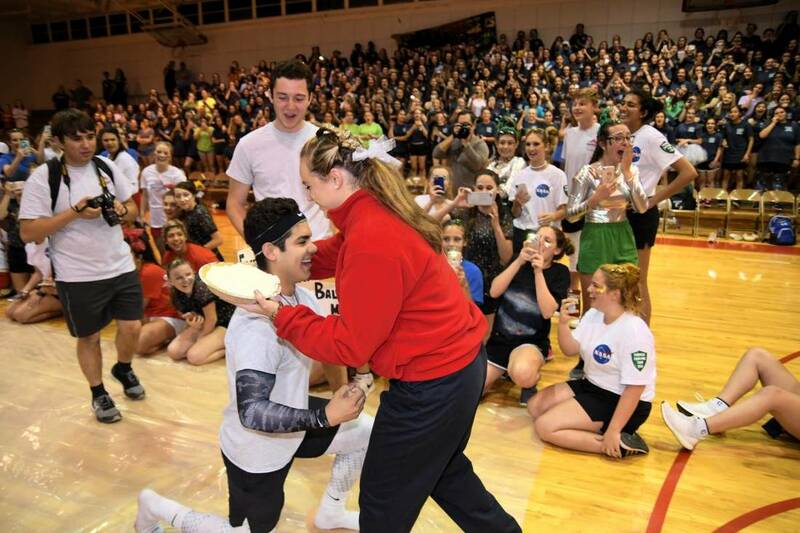 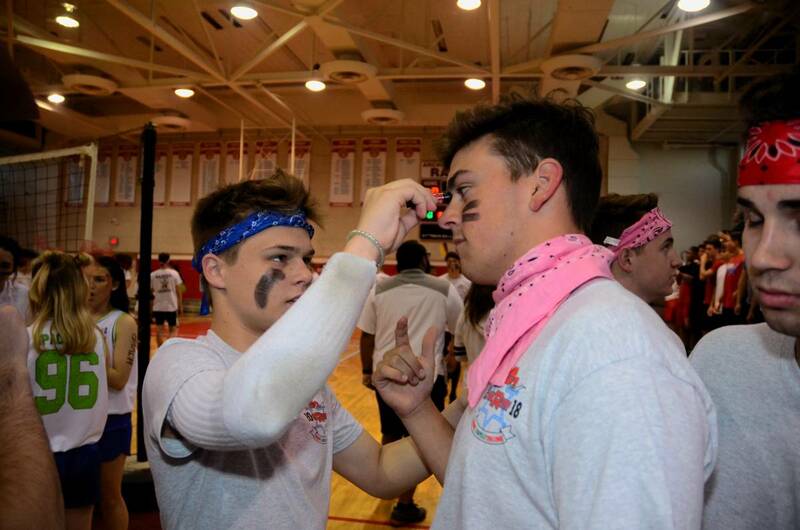 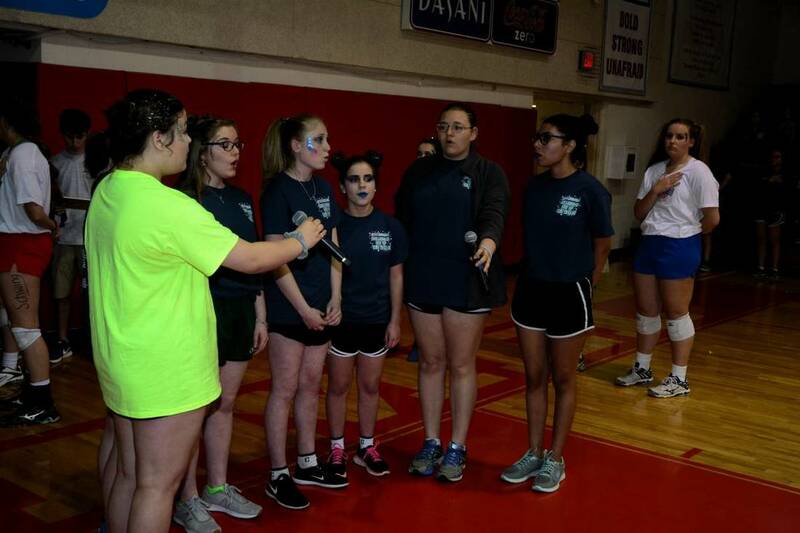 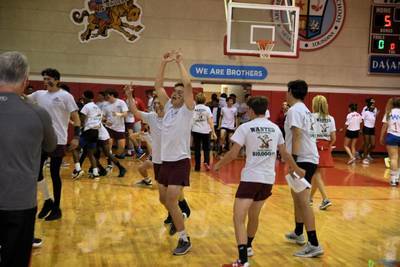 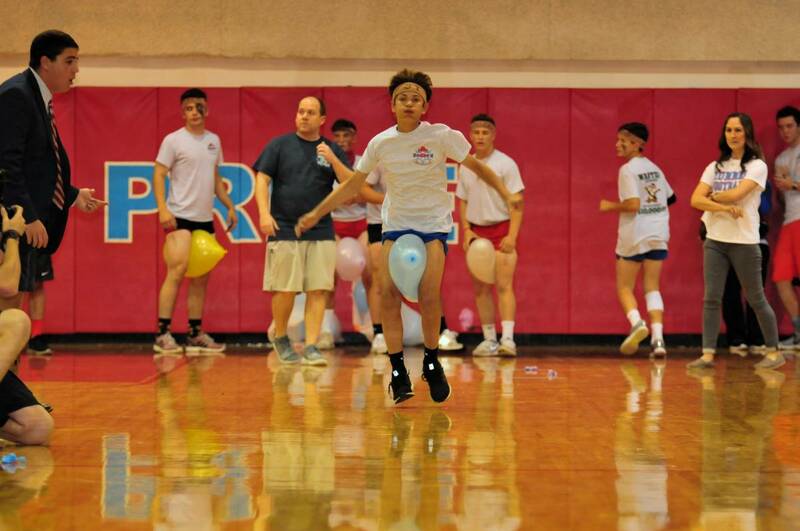 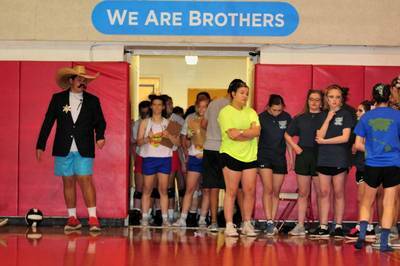 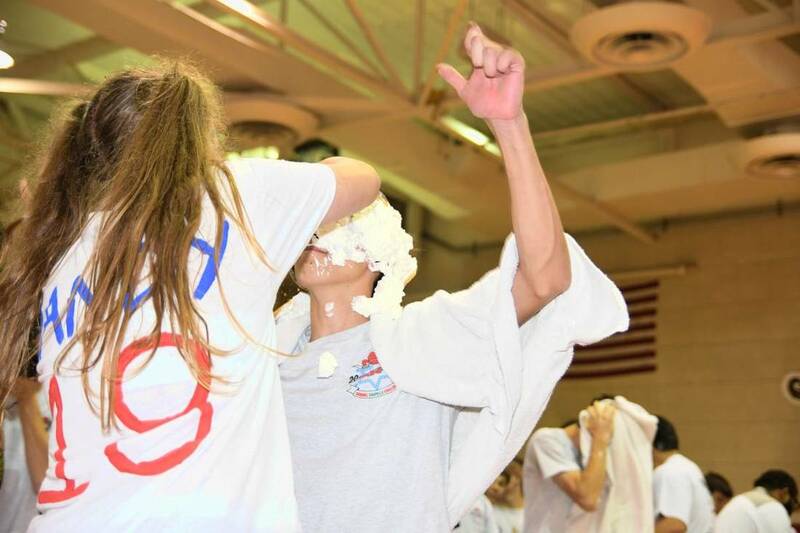 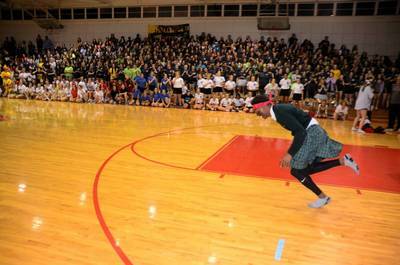 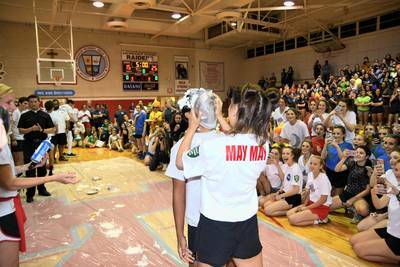 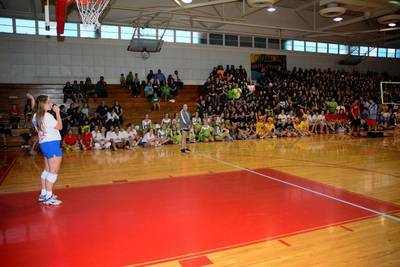 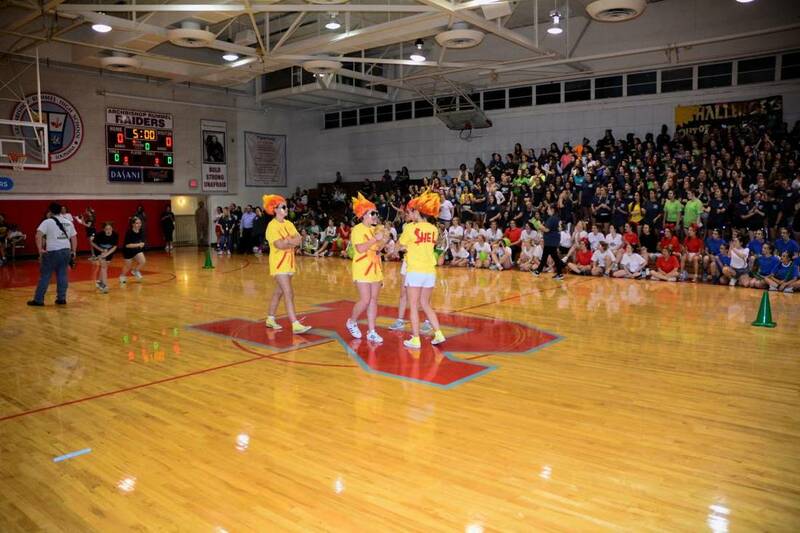 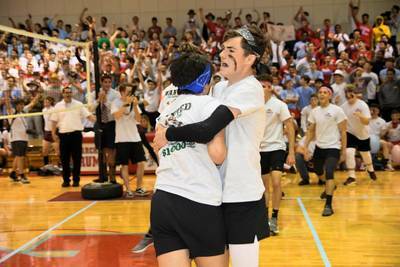 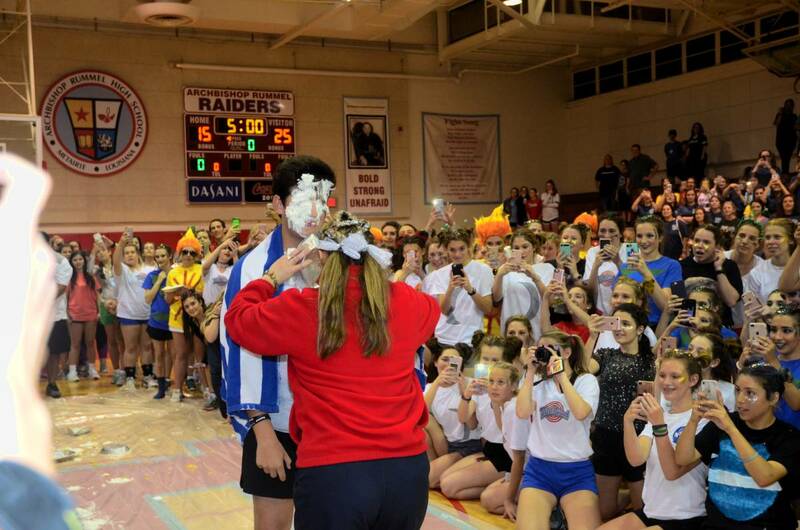 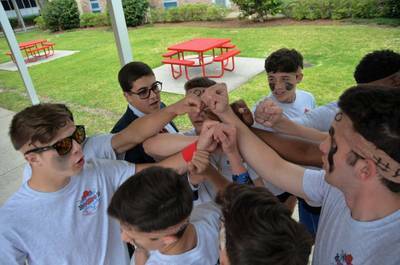 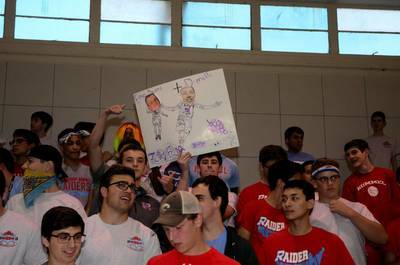 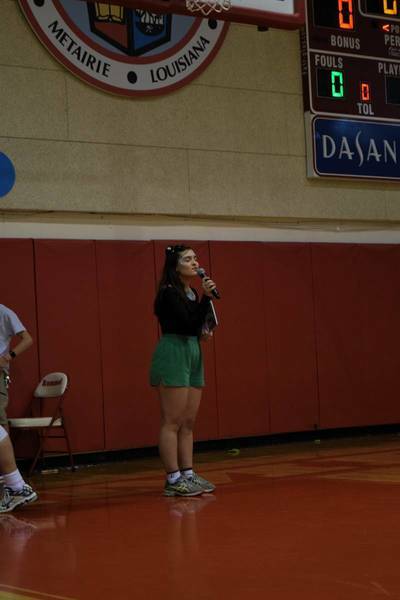 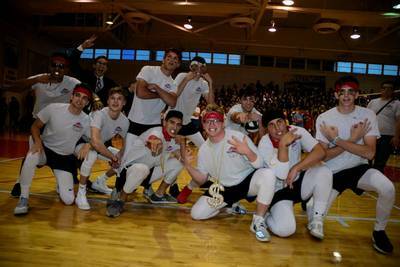 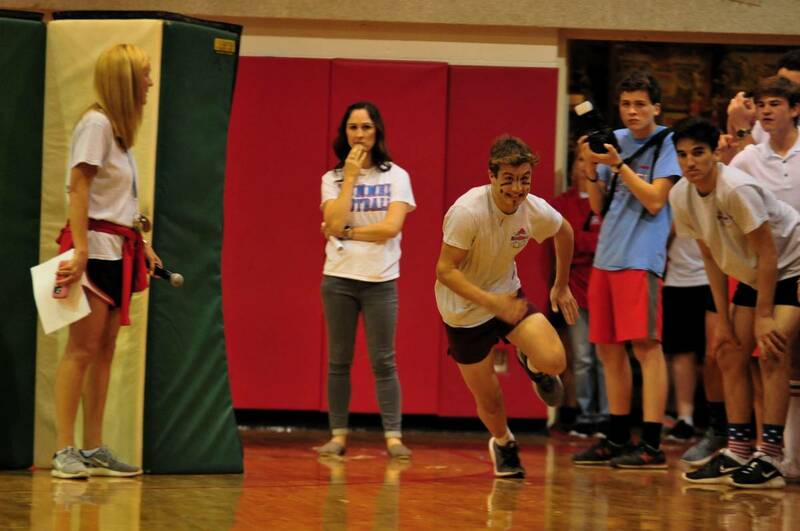 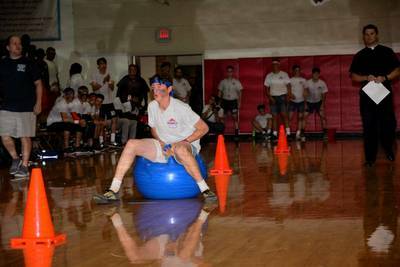 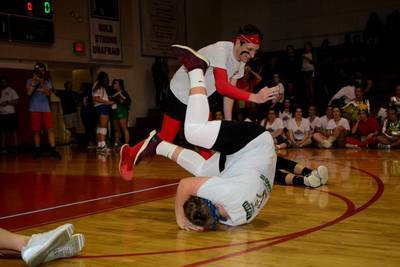 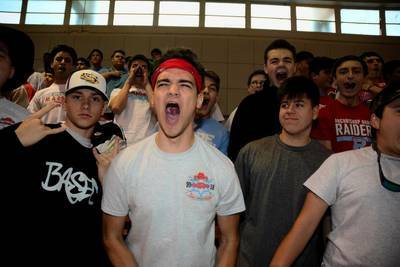 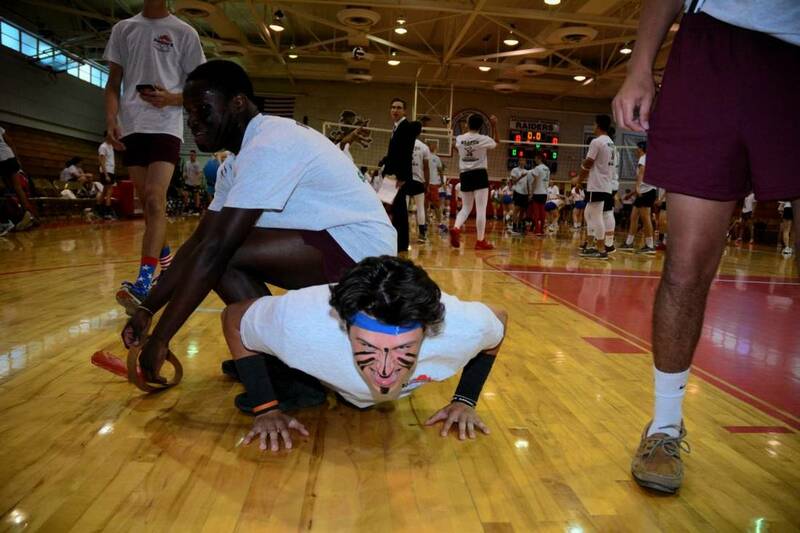 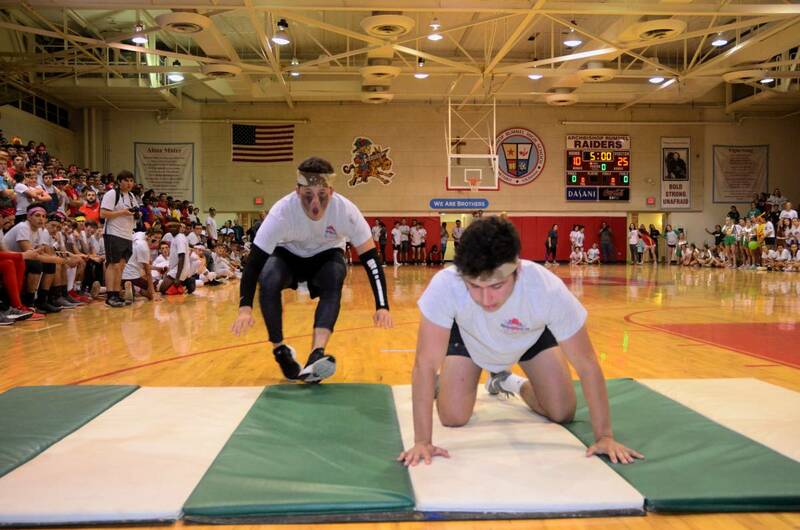 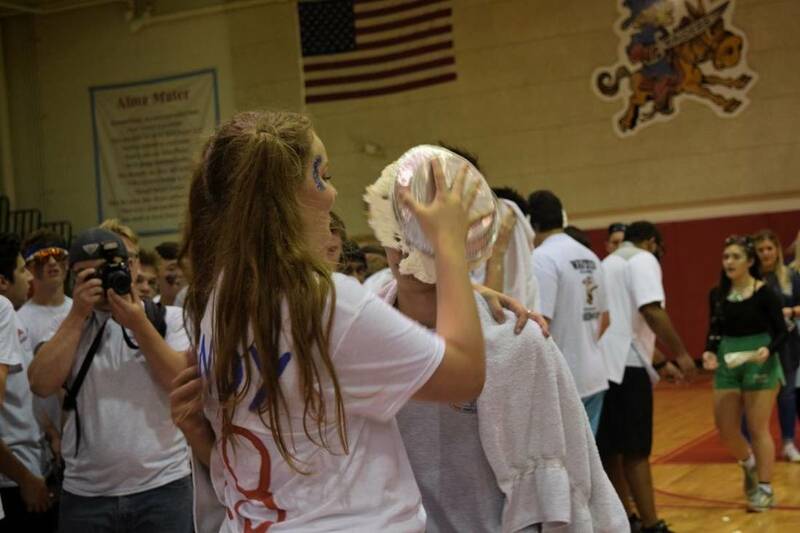 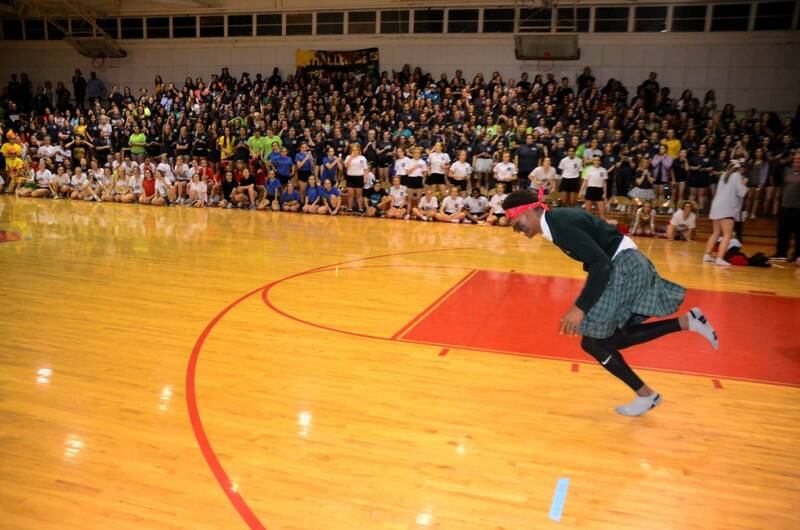 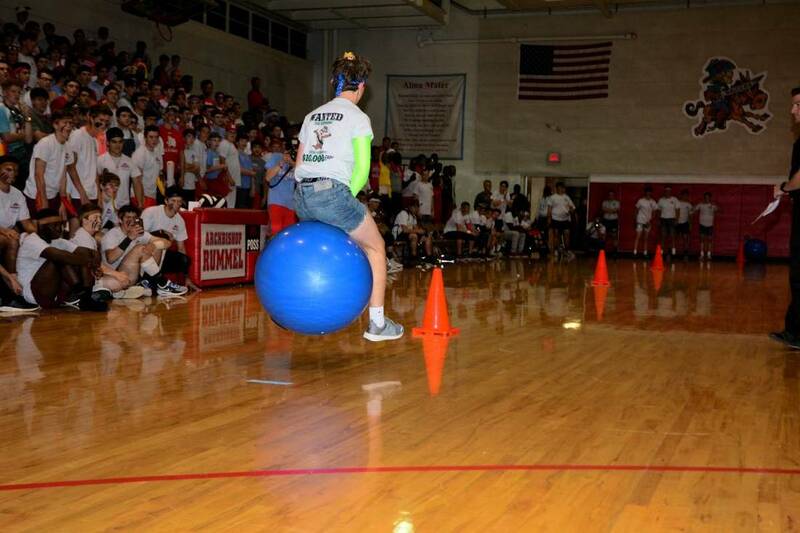 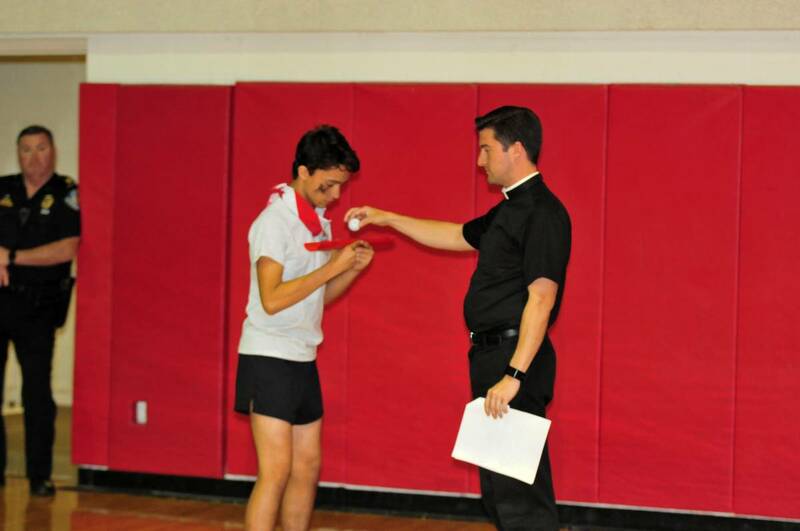 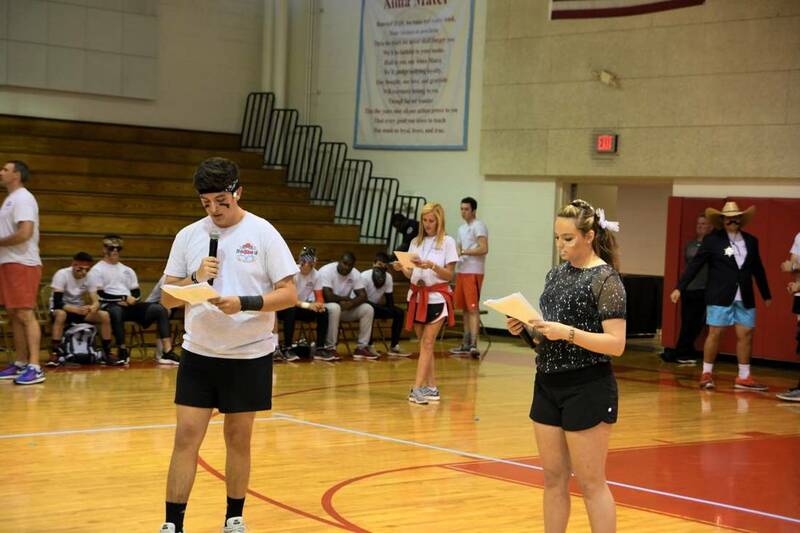 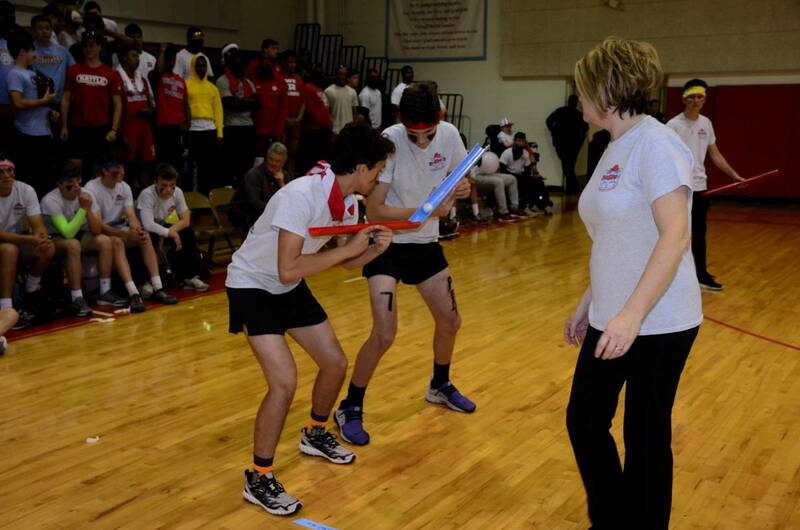 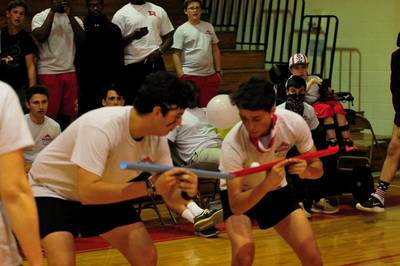 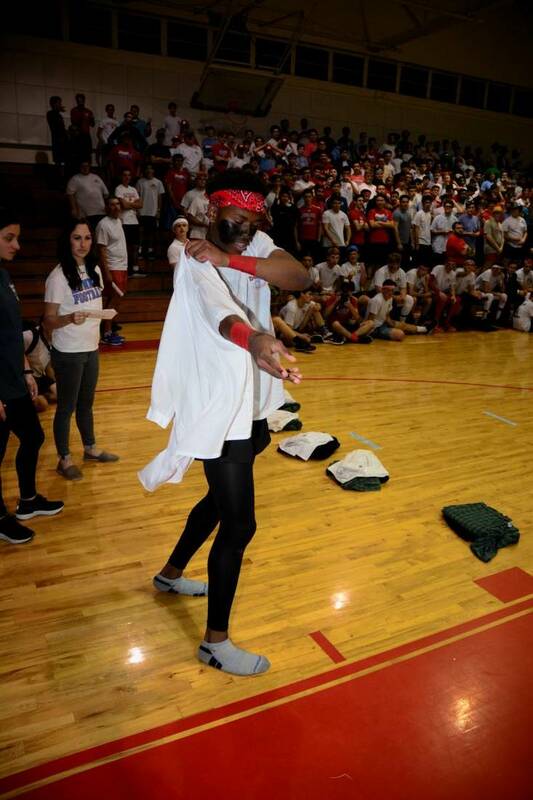 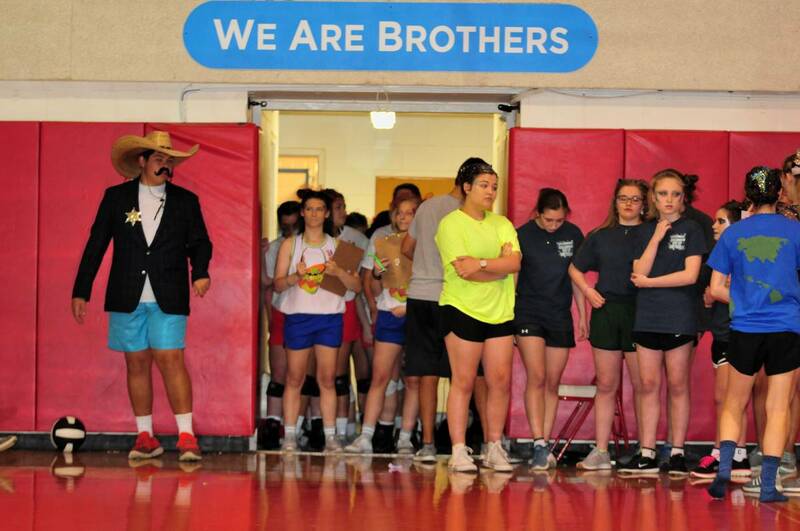 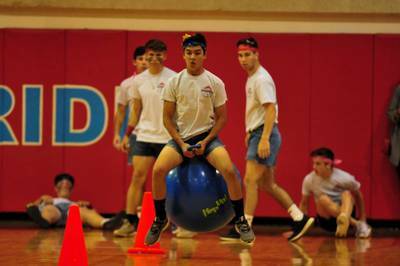 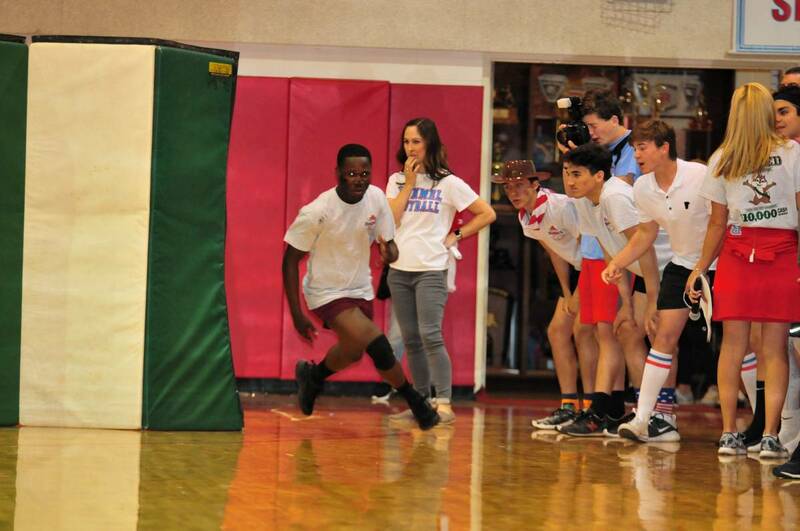 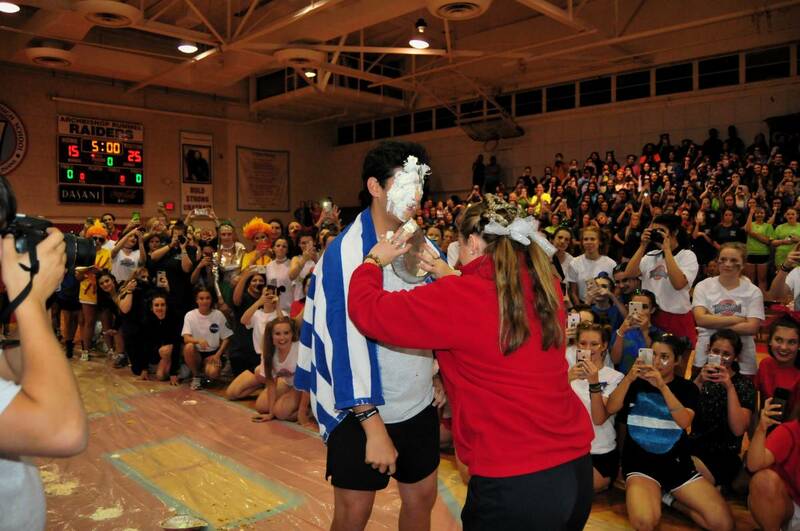 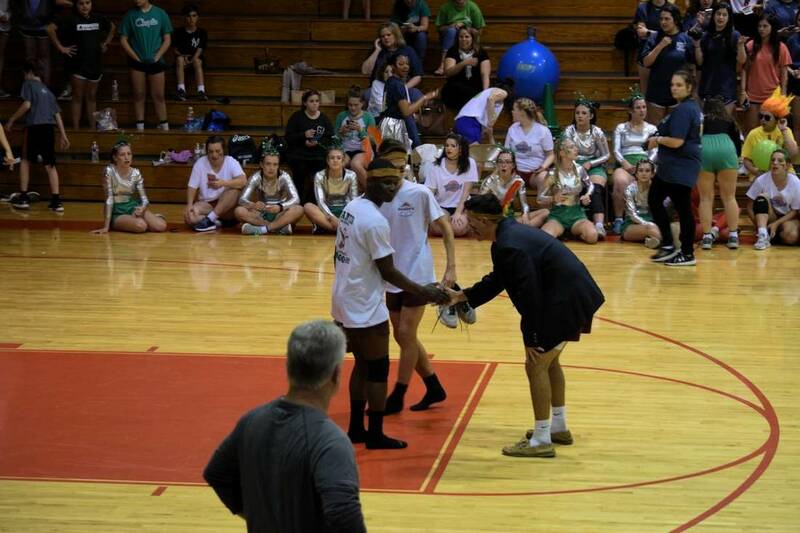 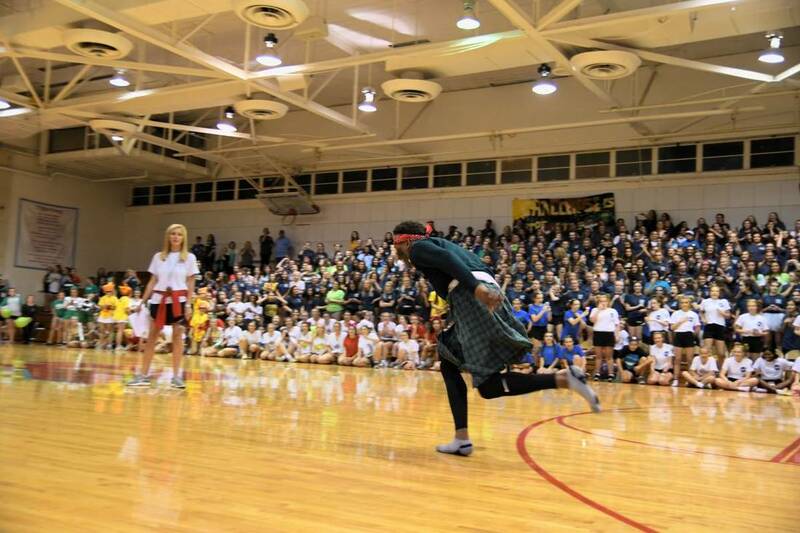 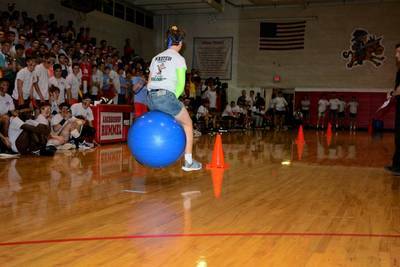 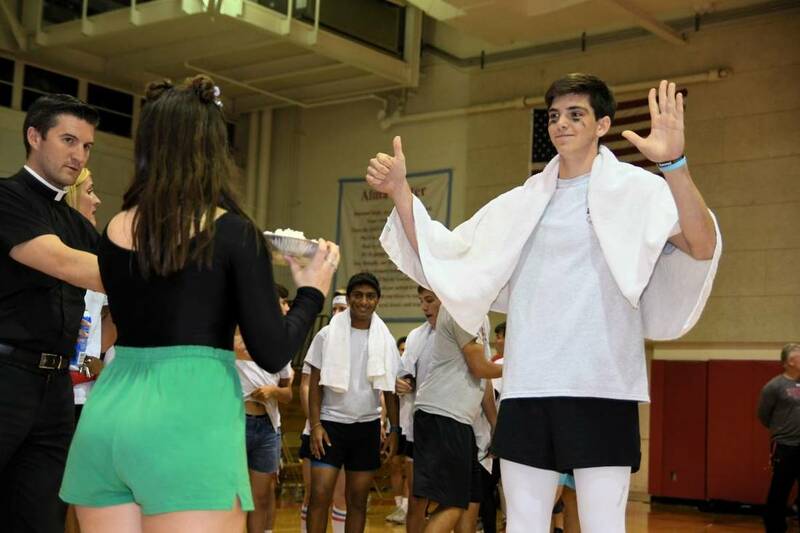 The annual Rummel/Chapelle Challenge is organized by both school's Student Council Executive Boards and moderators.